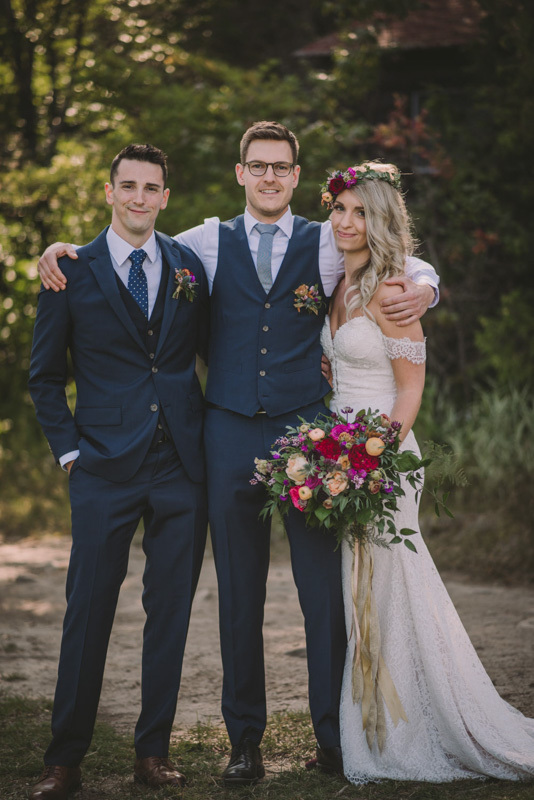 When I first met Christy and Justin, it was a rainy day in a Starbucks – where we sat for over an hour chatting and laughing! 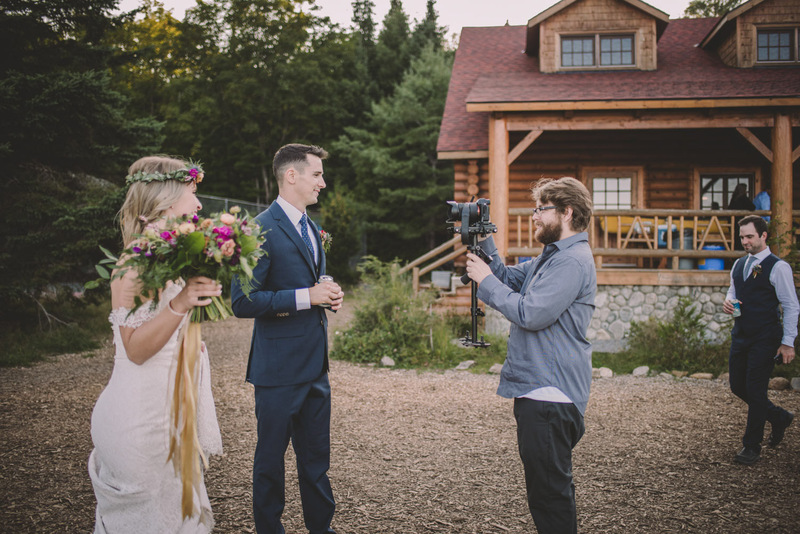 I suppose what a lot of people don’t know – or don’t consider – is that when a wedding photographer sits down with a couple, the interview is in fact going both ways. 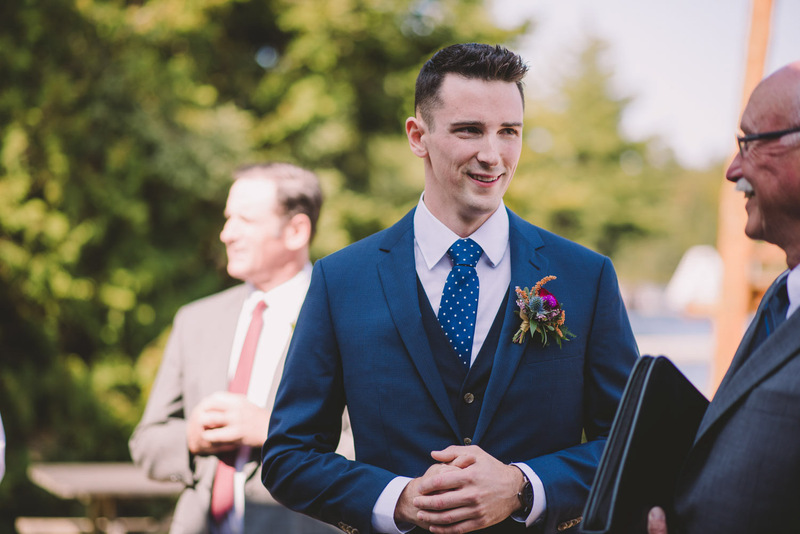 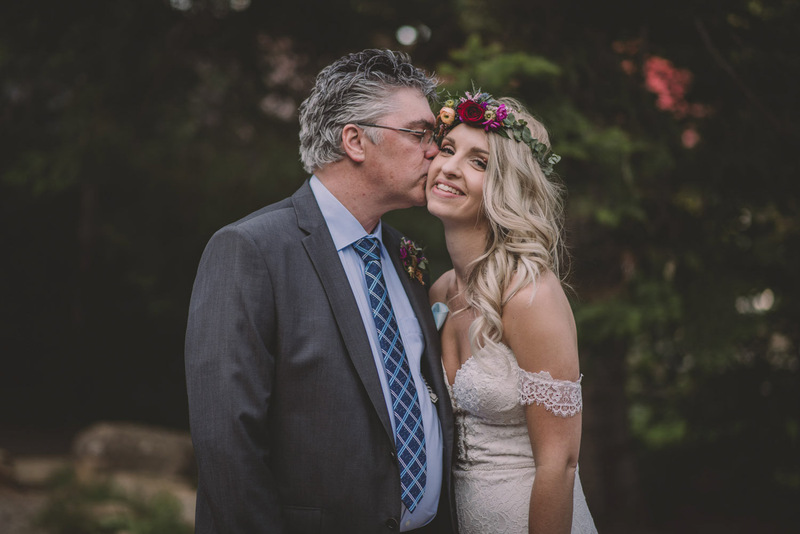 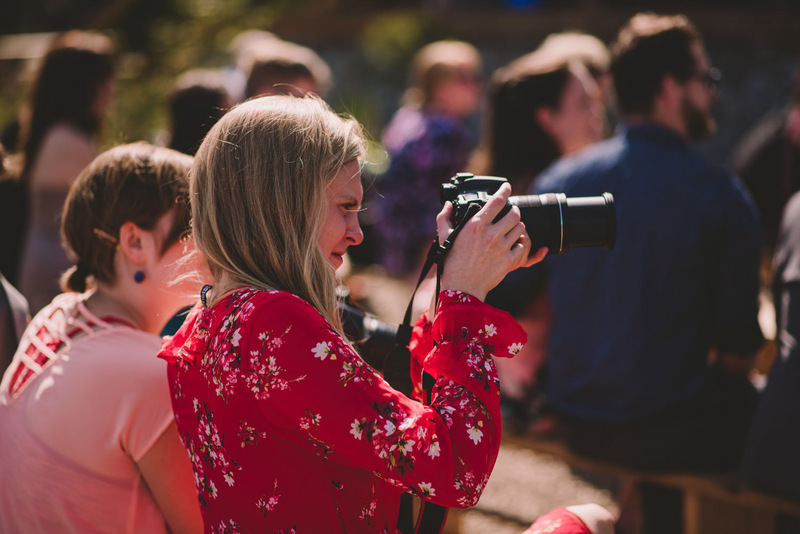 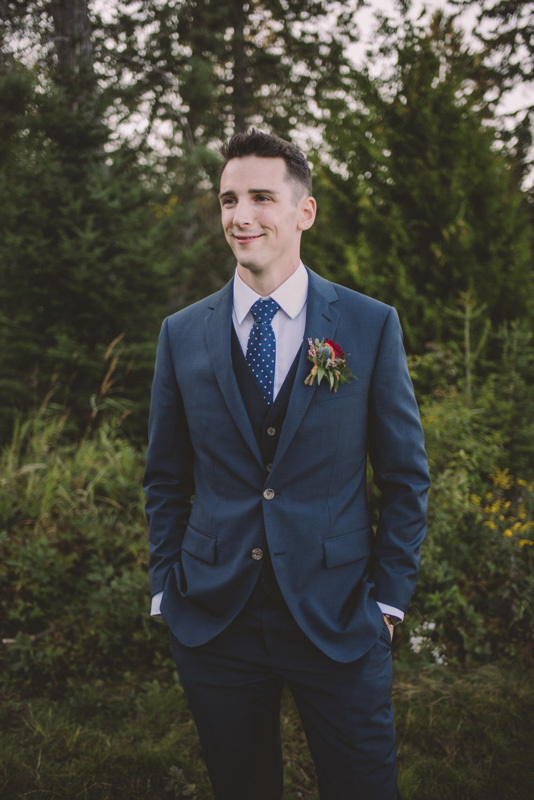 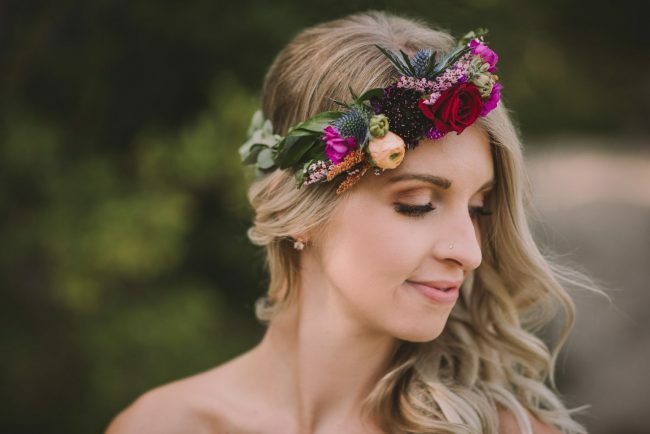 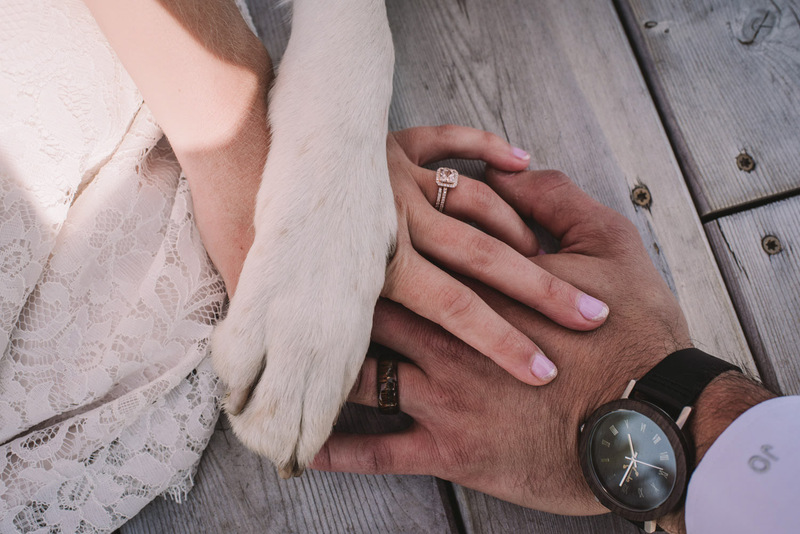 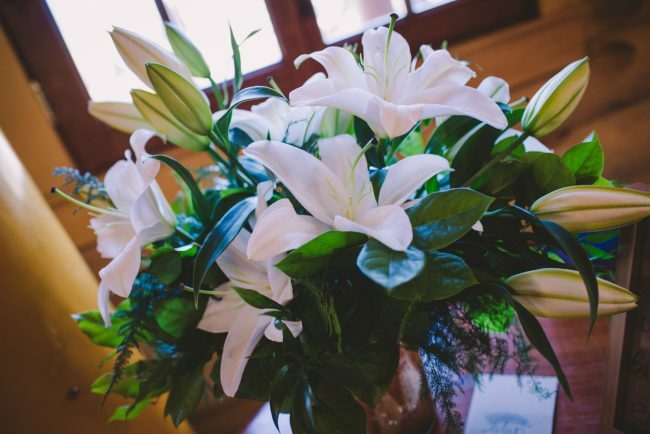 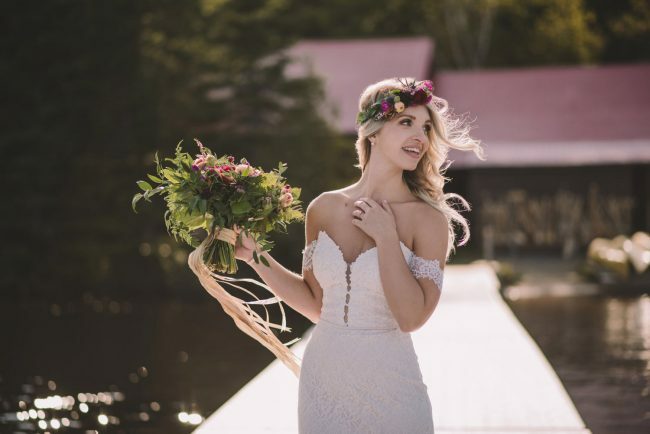 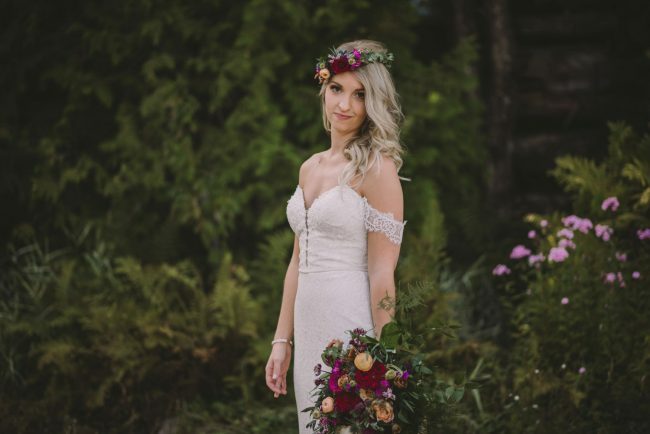 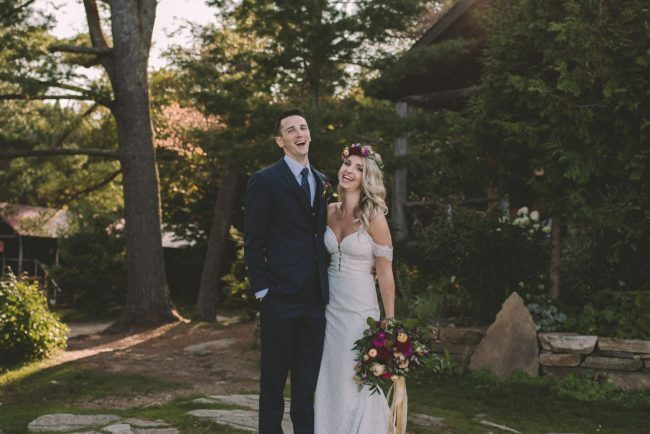 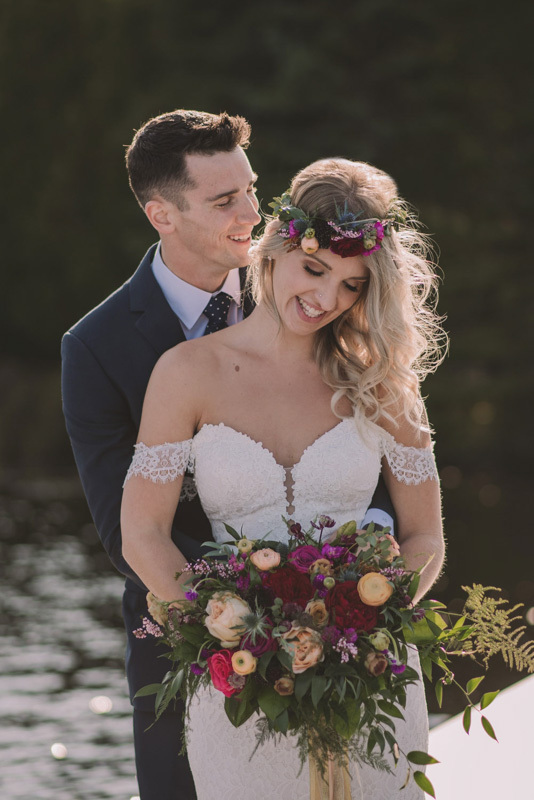 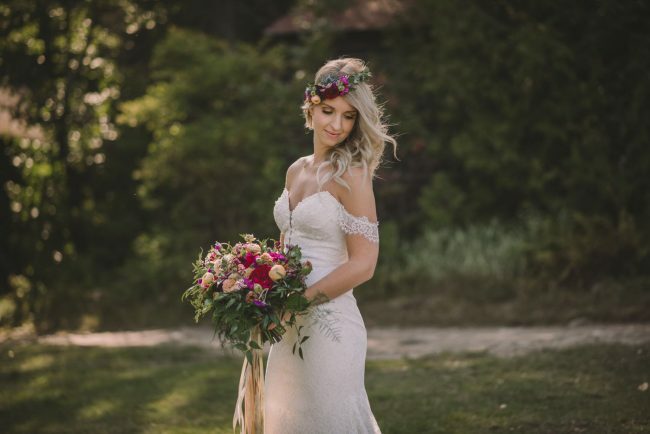 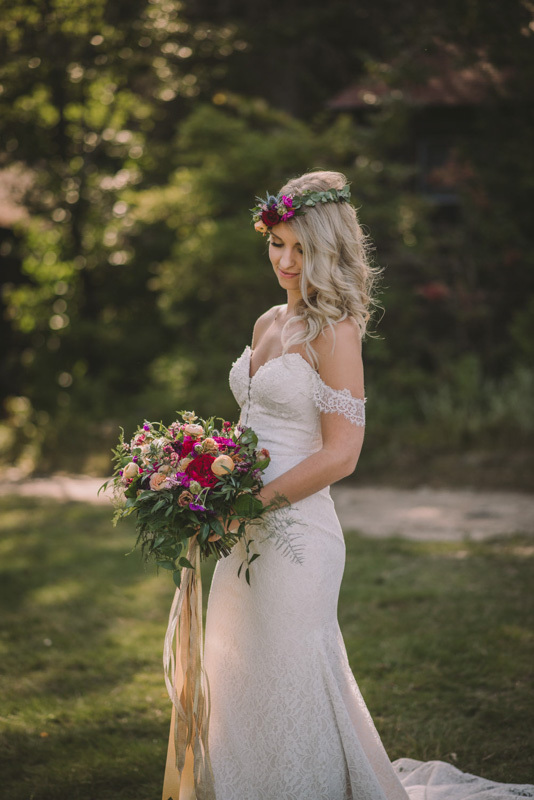 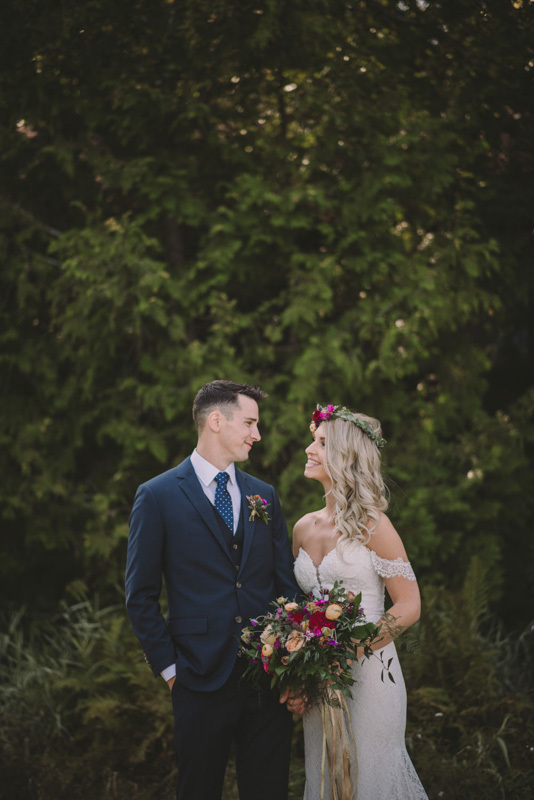 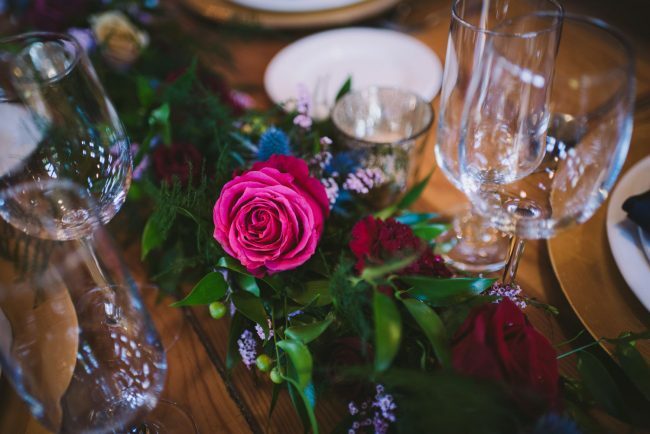 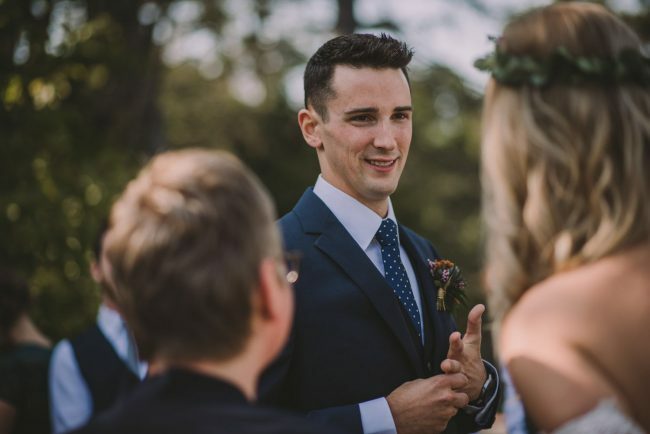 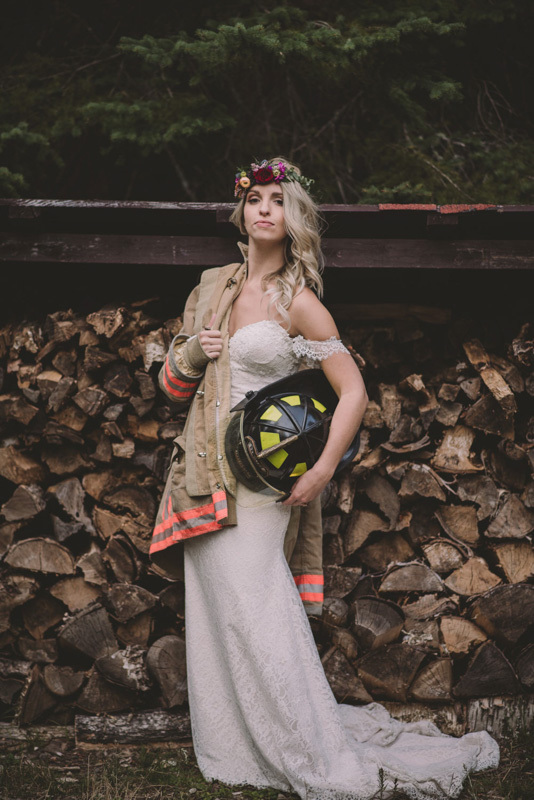 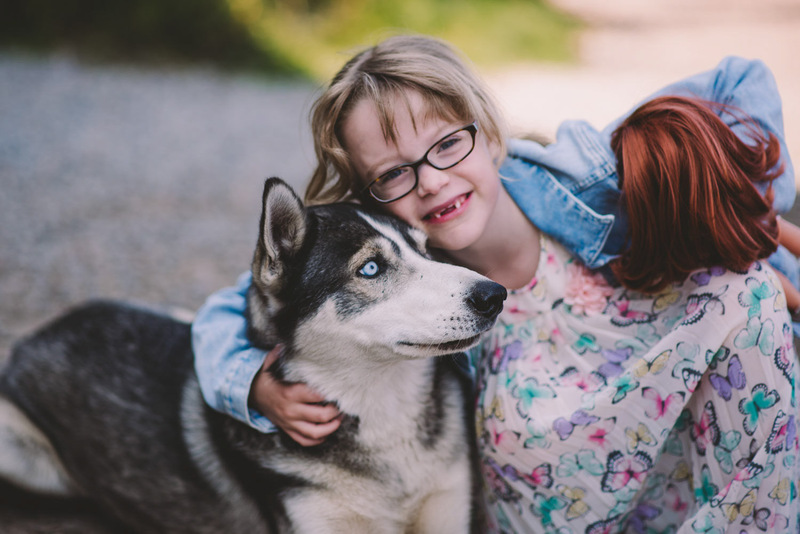 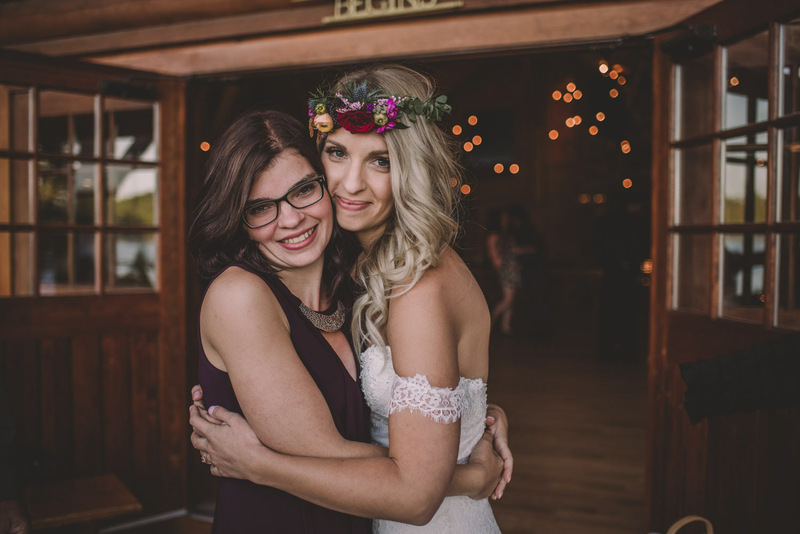 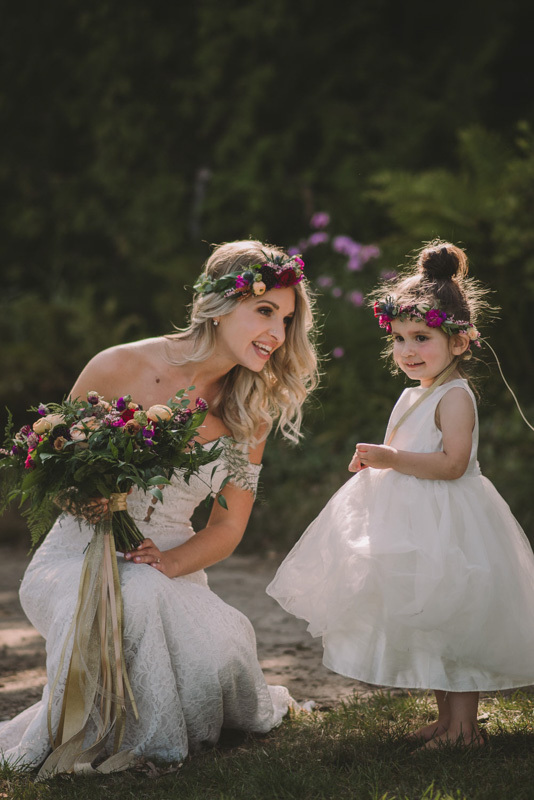 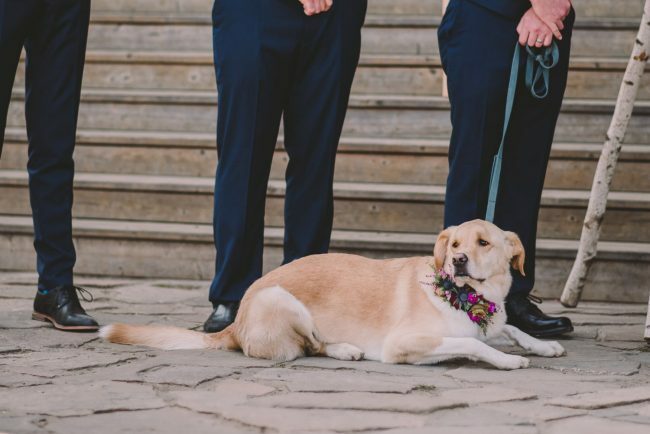 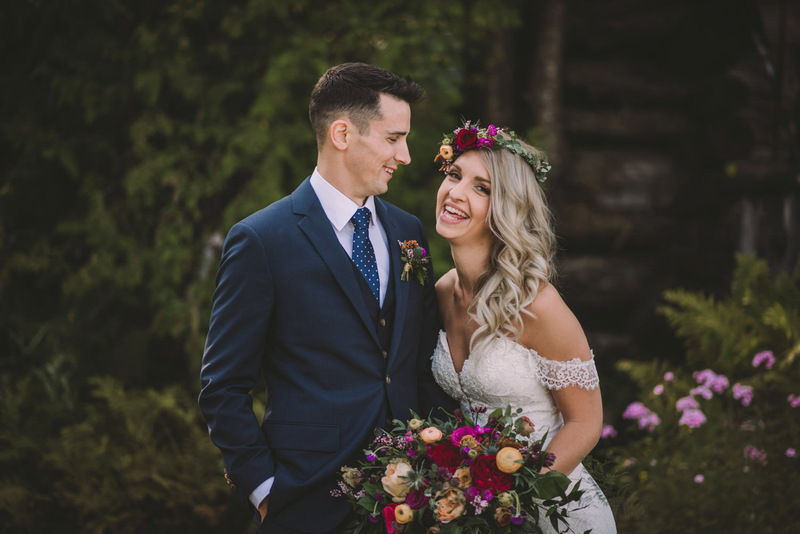 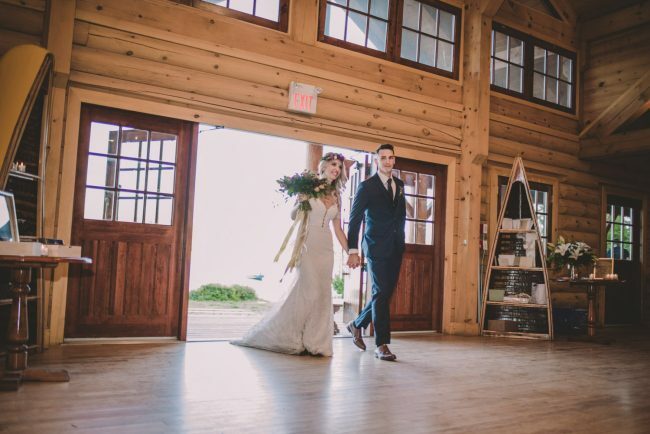 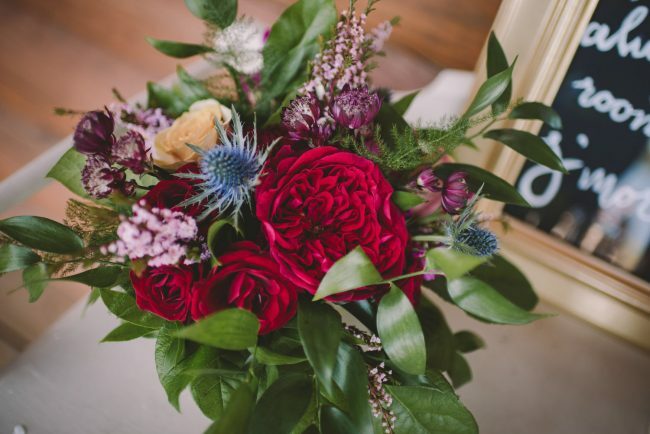 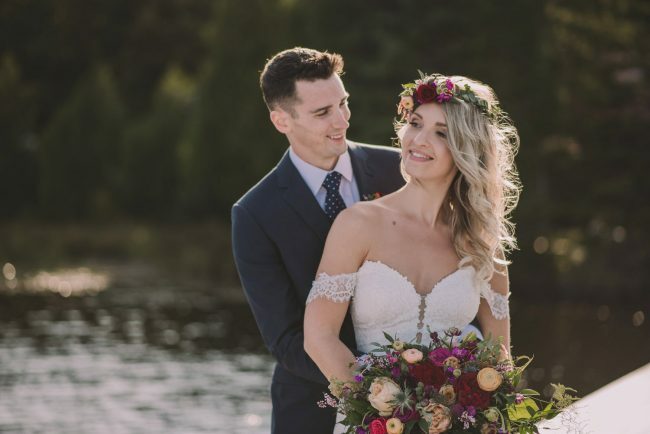 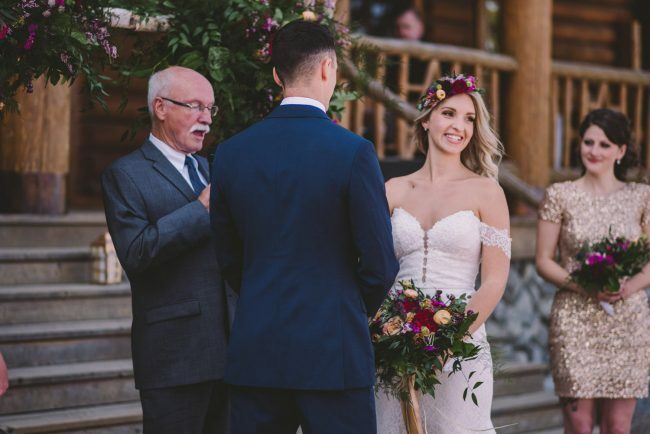 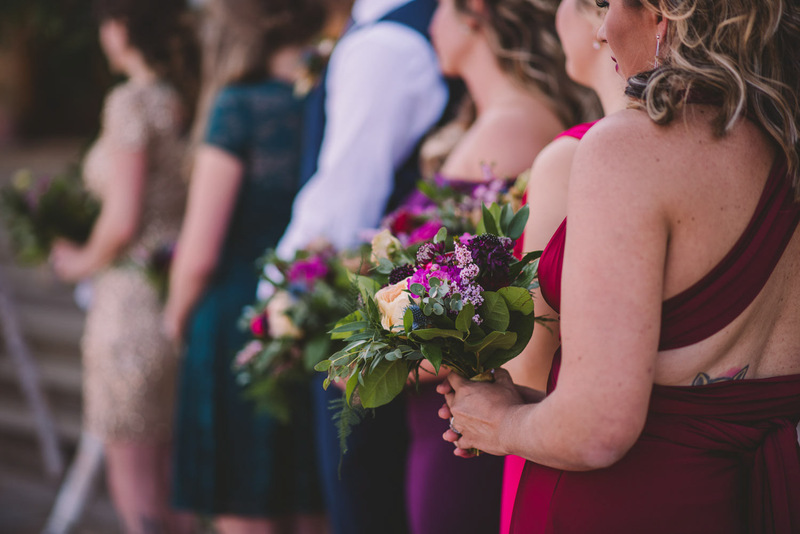 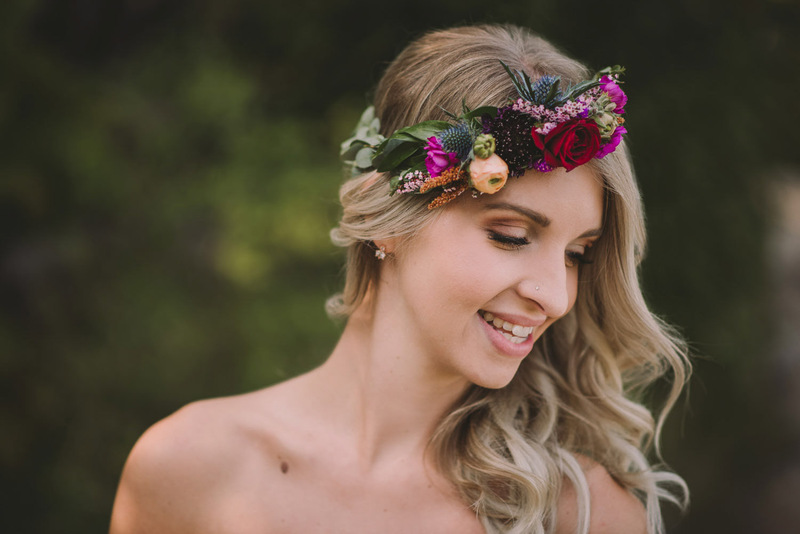 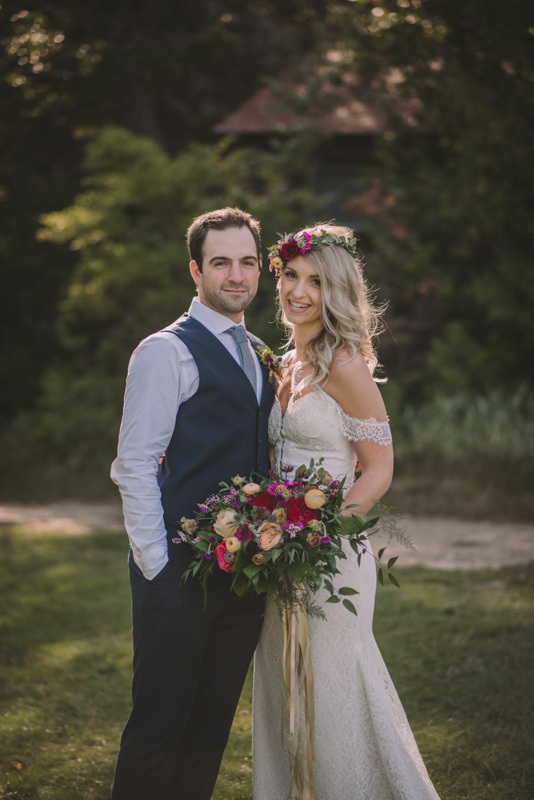 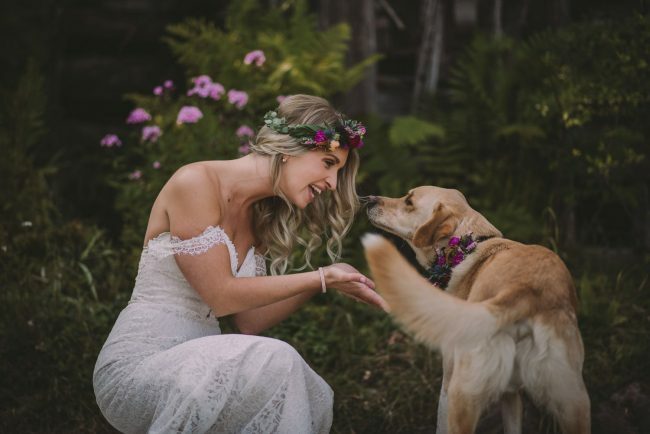 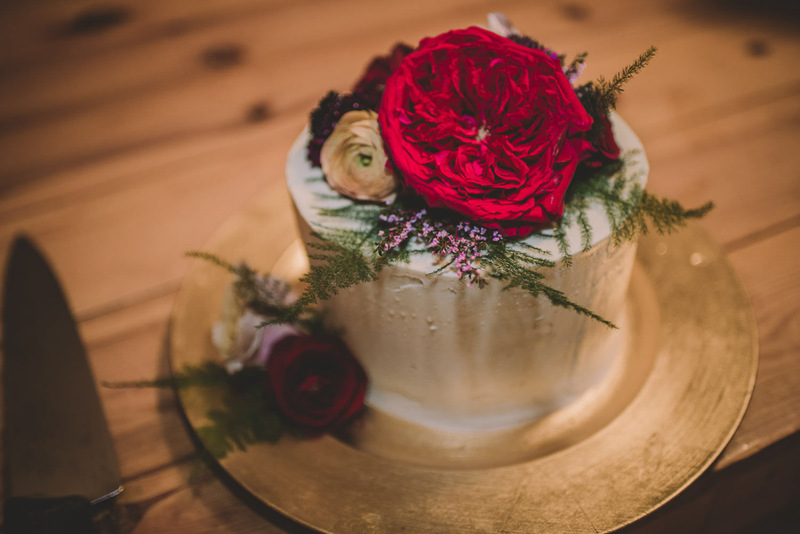 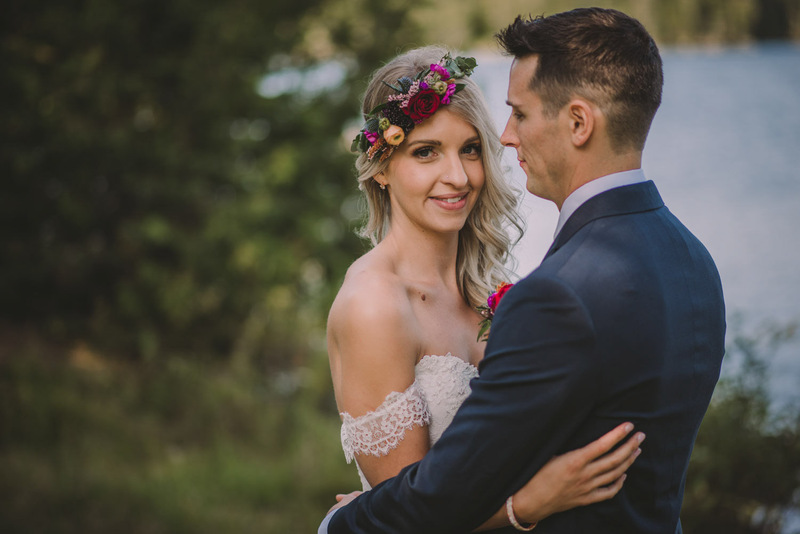 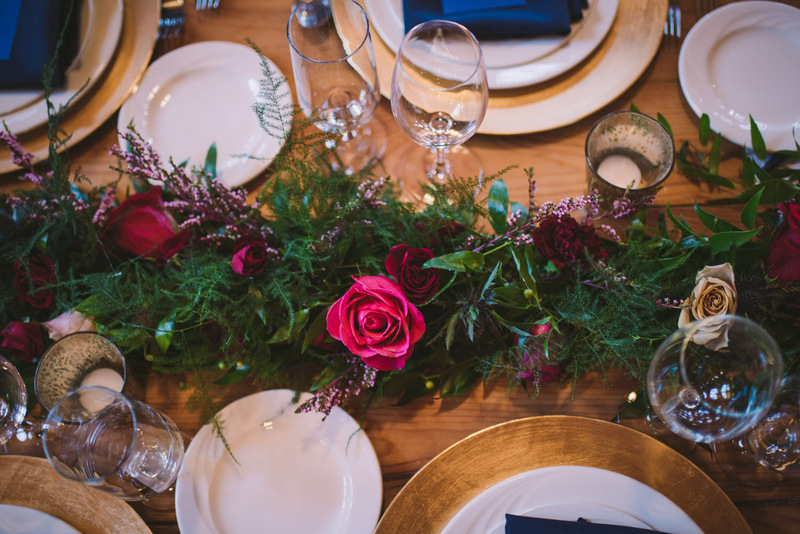 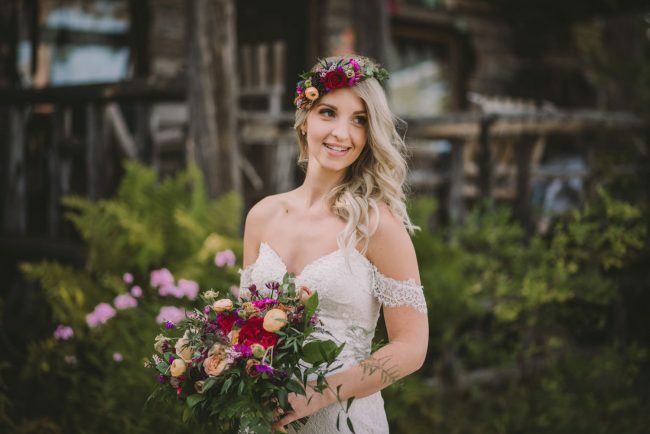 The couple is deciding whether or not they’d like to work with you as a photographer – and as a photographer you’re deciding whether or not the couple is a good fit for you and your work. 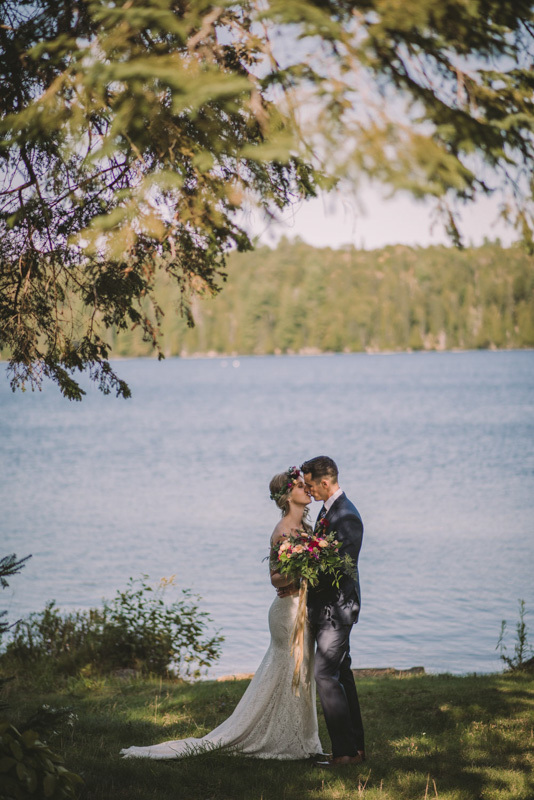 As a photographer, I’ve had the privilege of working with SO many amazing people and couples! 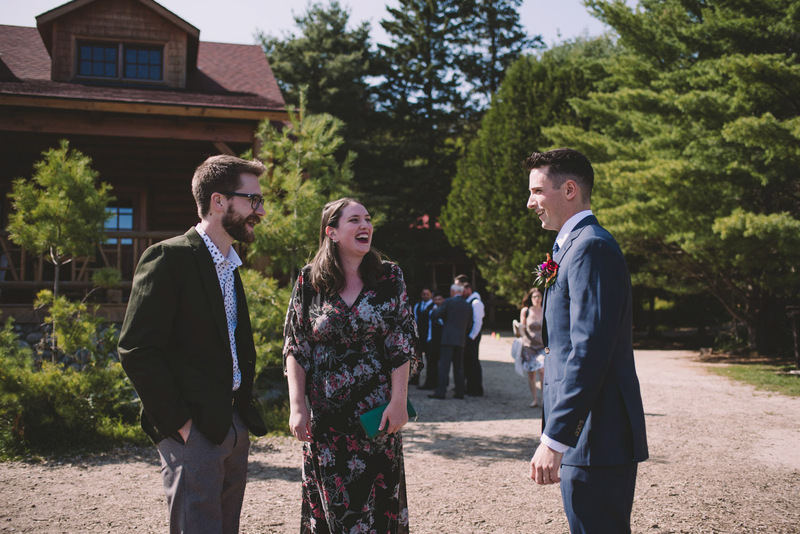 I knew that Christy and Justin would be amazing to work with when we had so much in common and our meeting went much longer – and with even more laughter – than my meetings usually go! 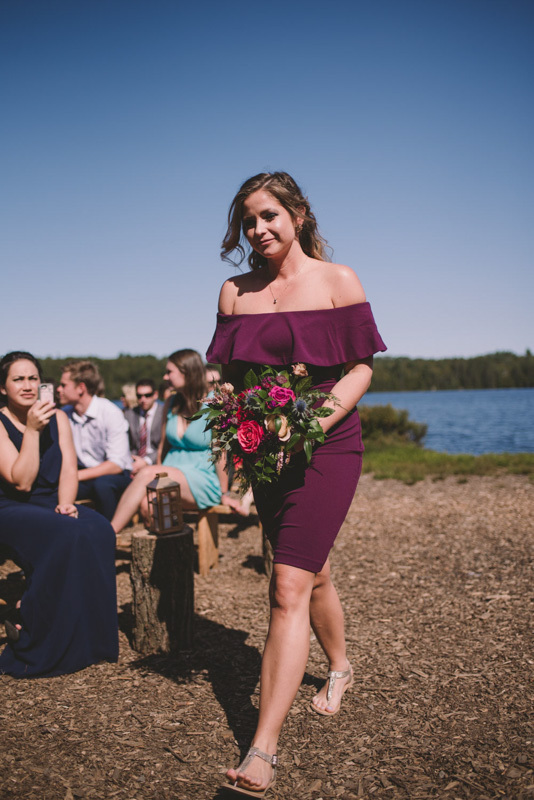 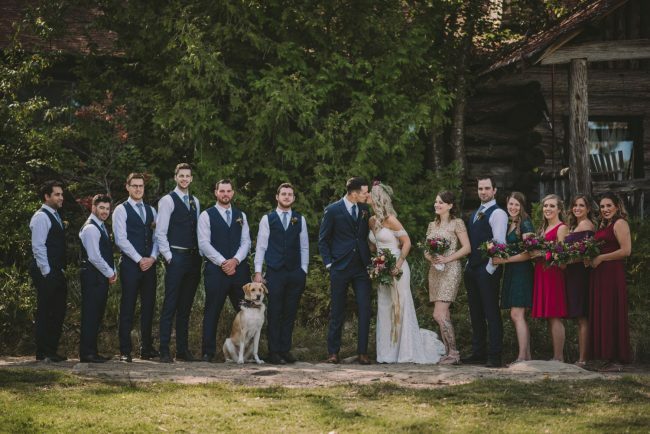 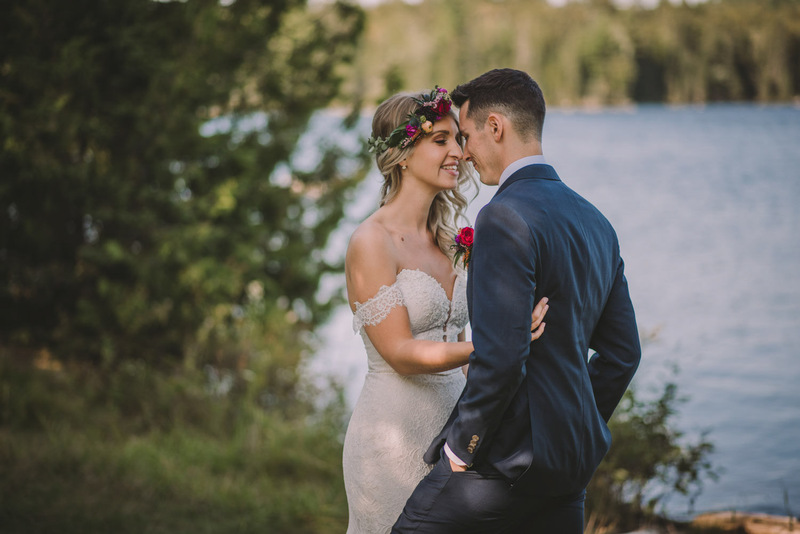 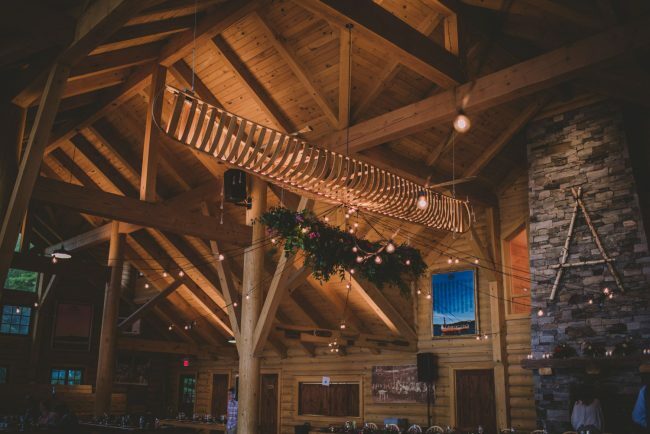 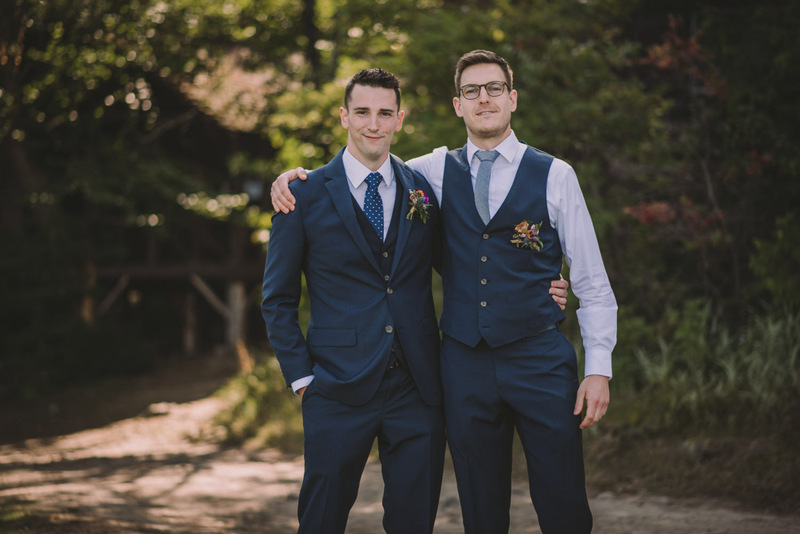 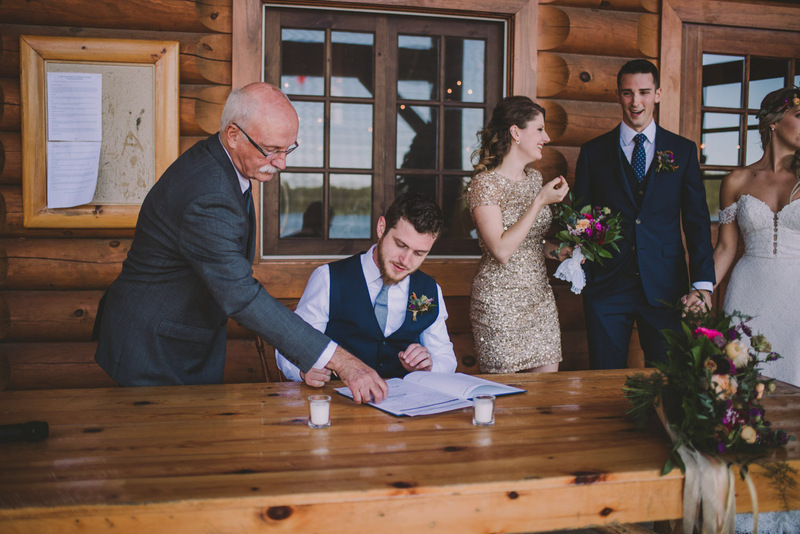 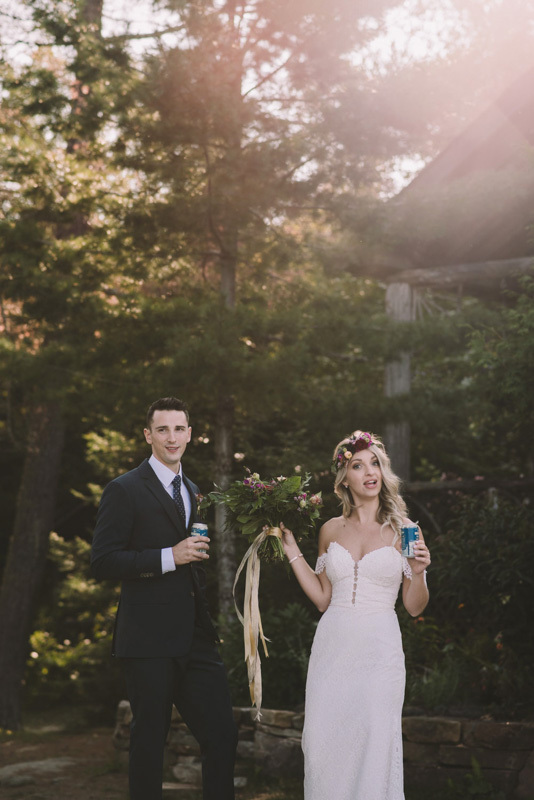 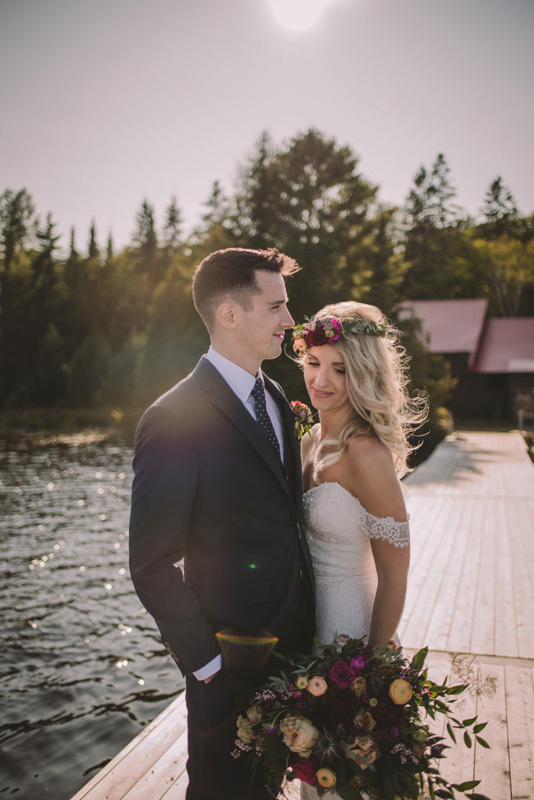 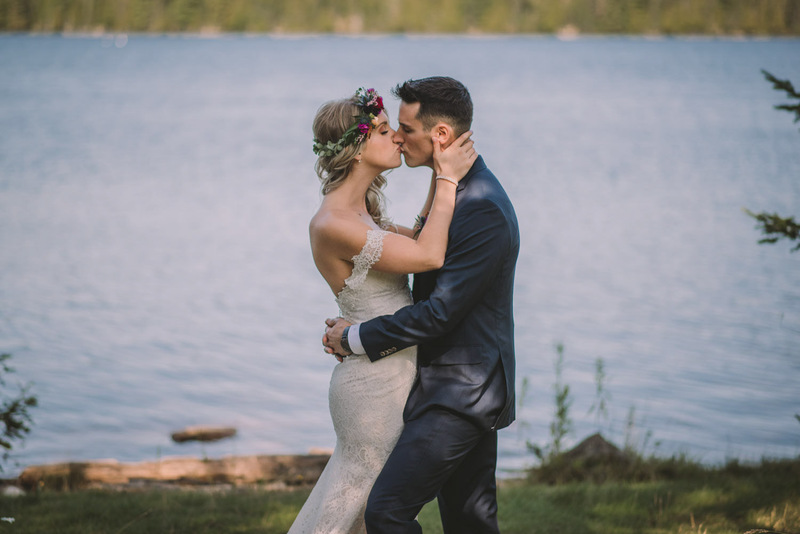 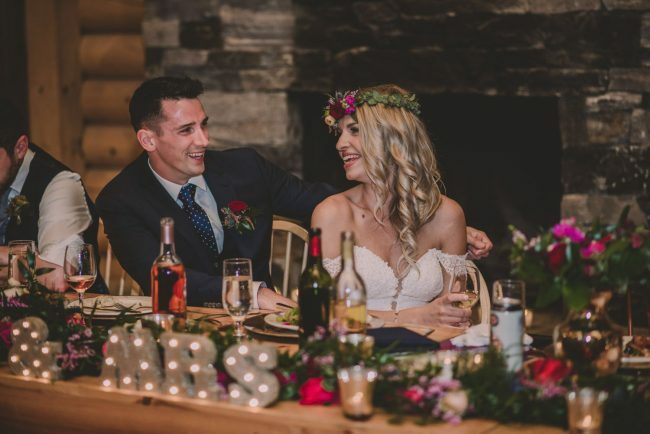 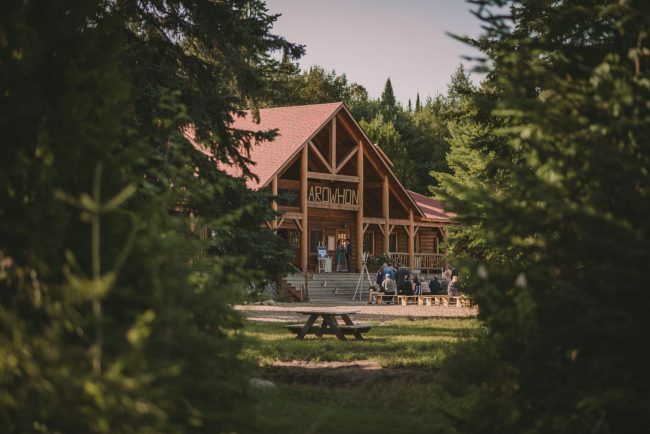 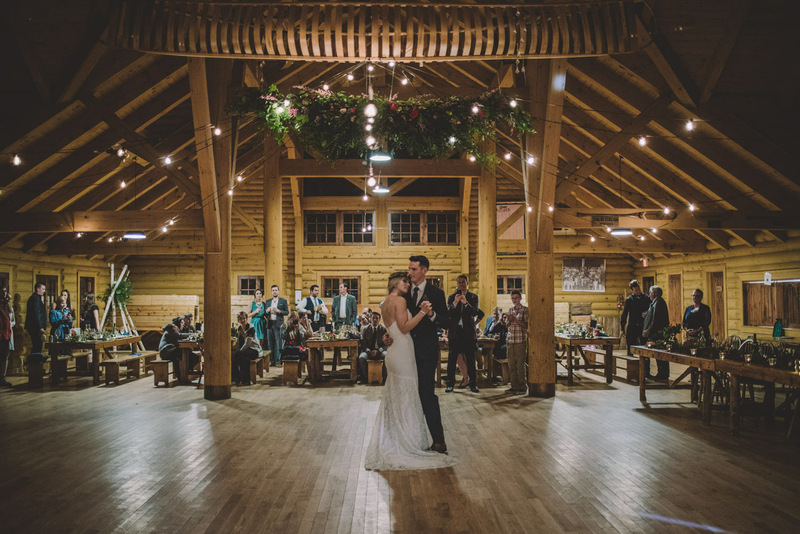 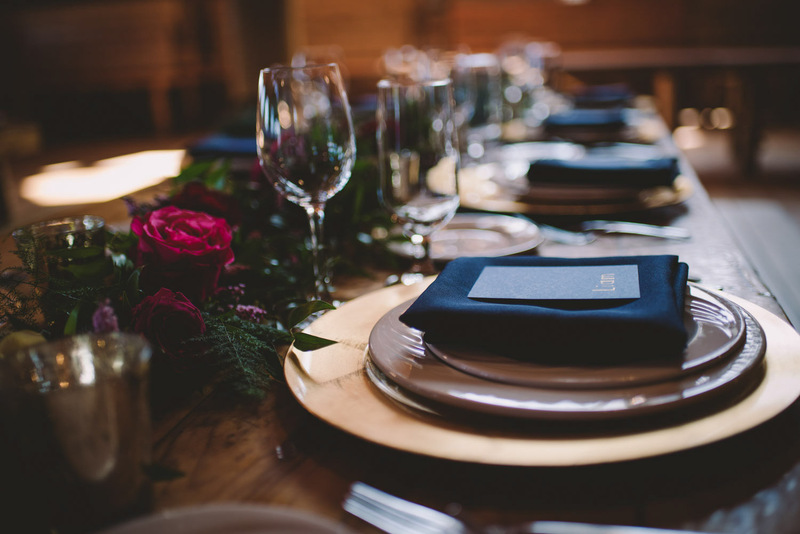 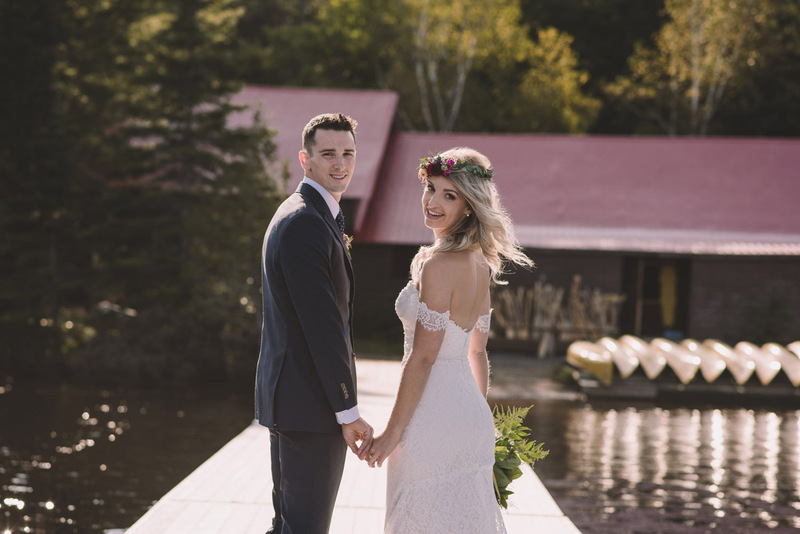 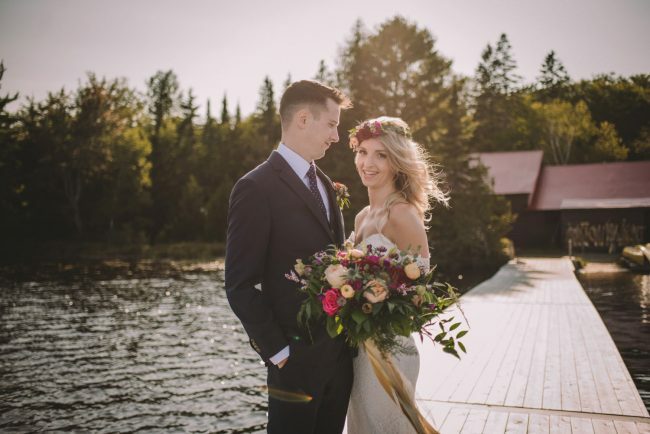 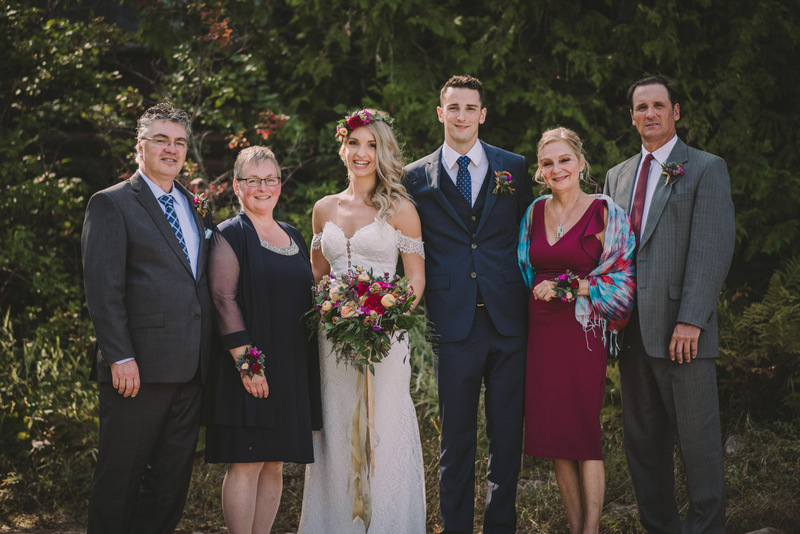 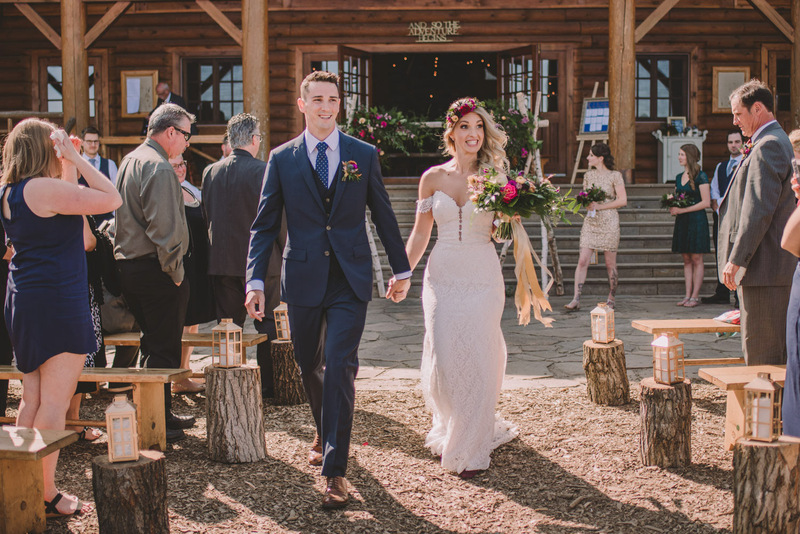 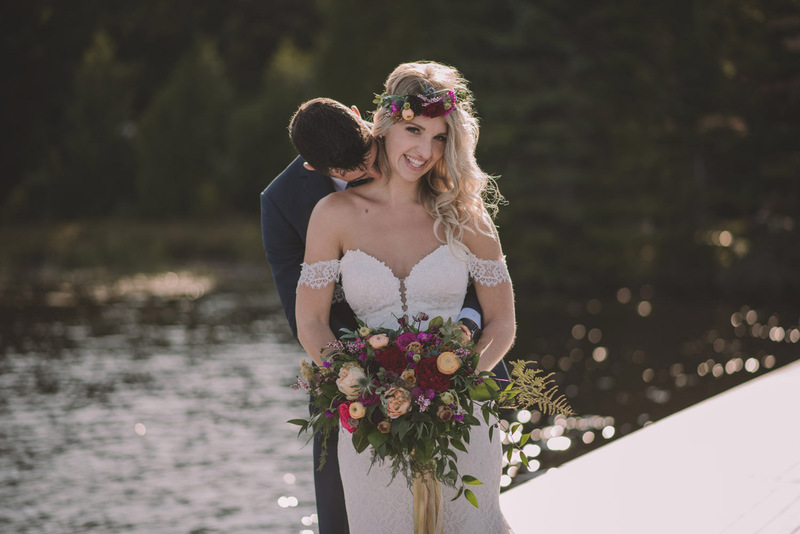 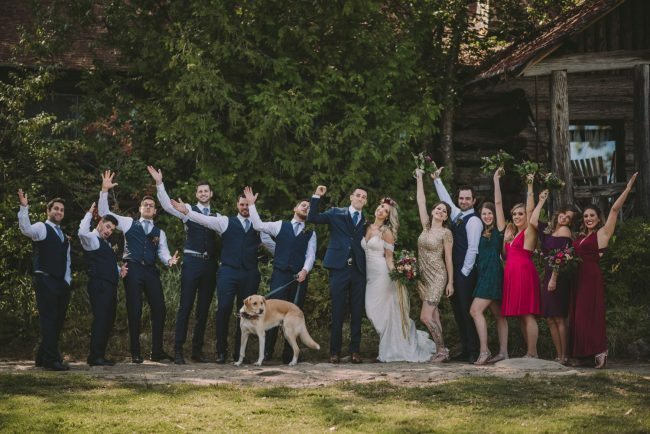 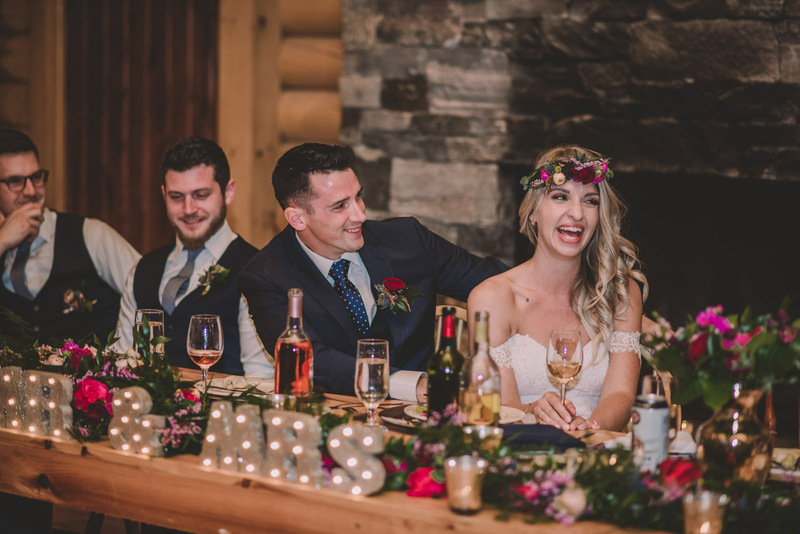 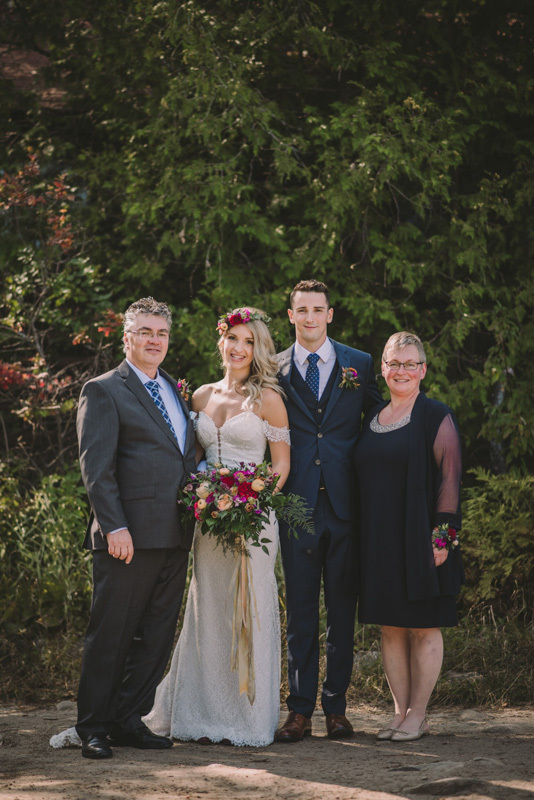 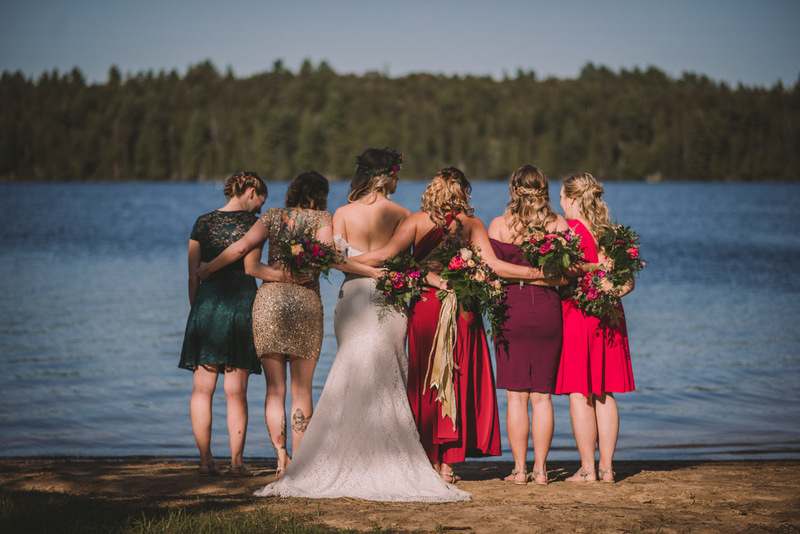 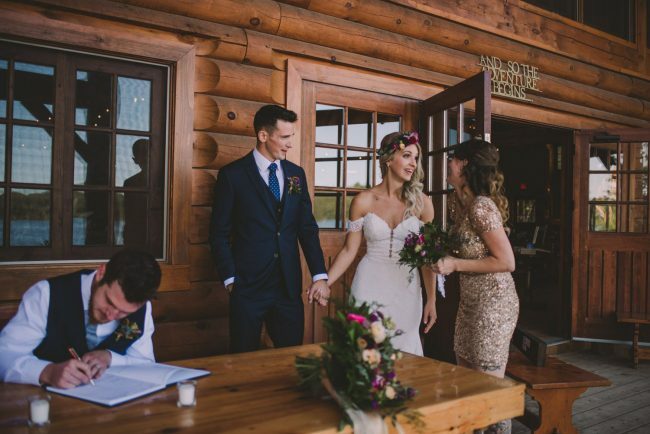 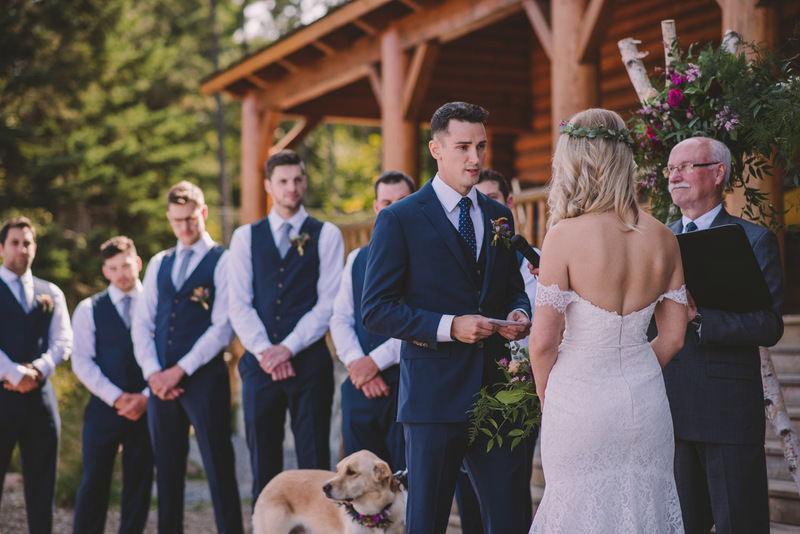 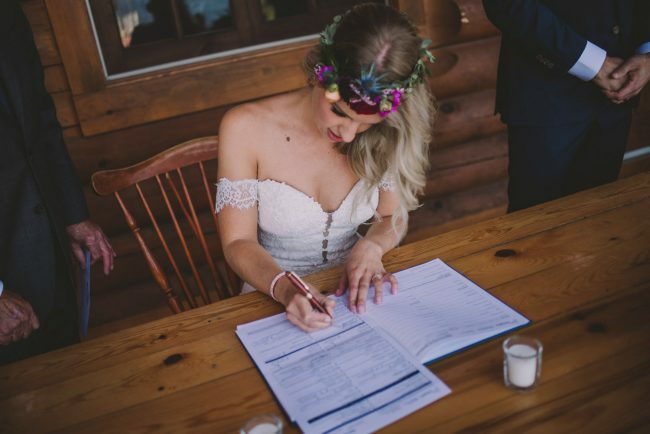 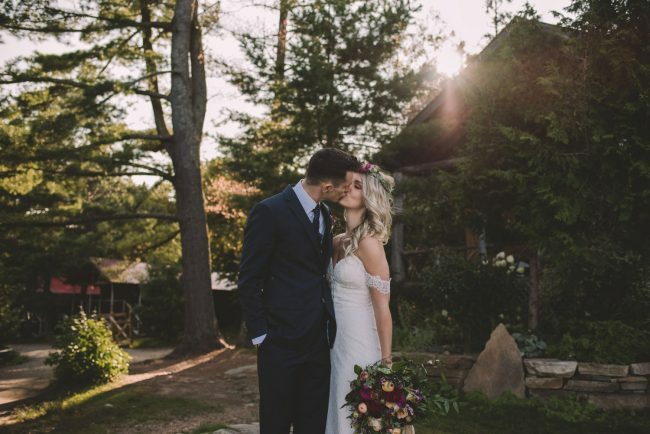 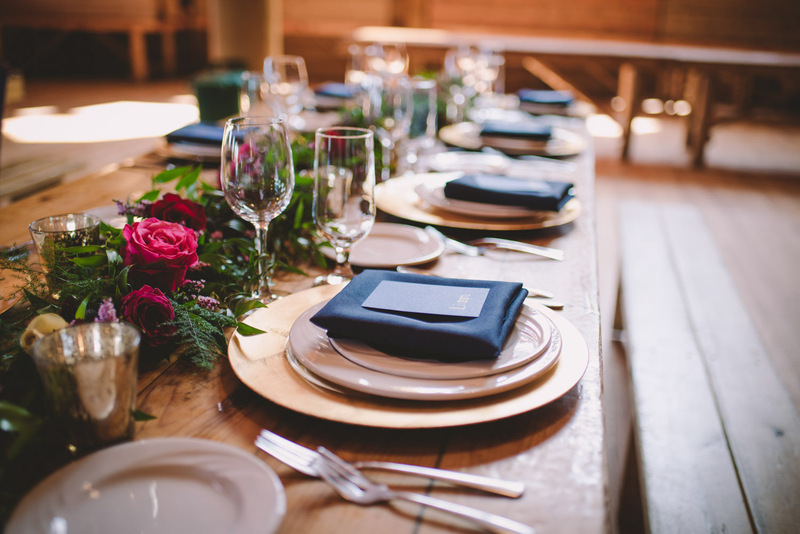 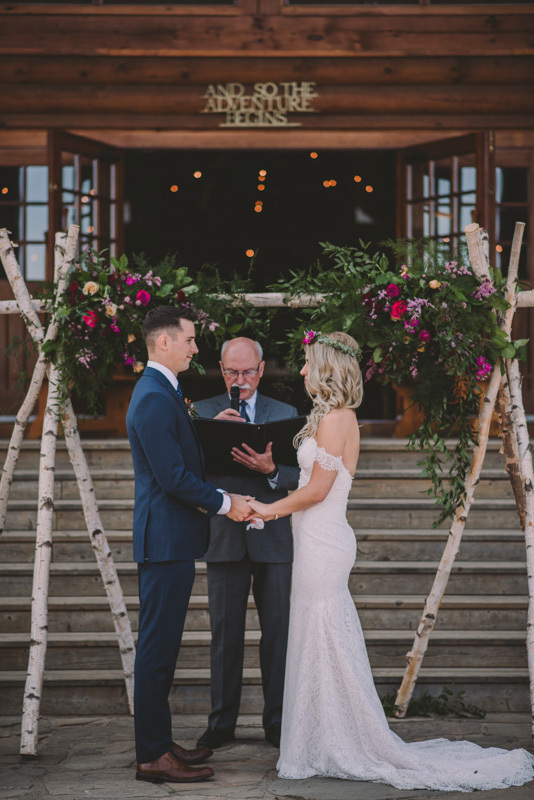 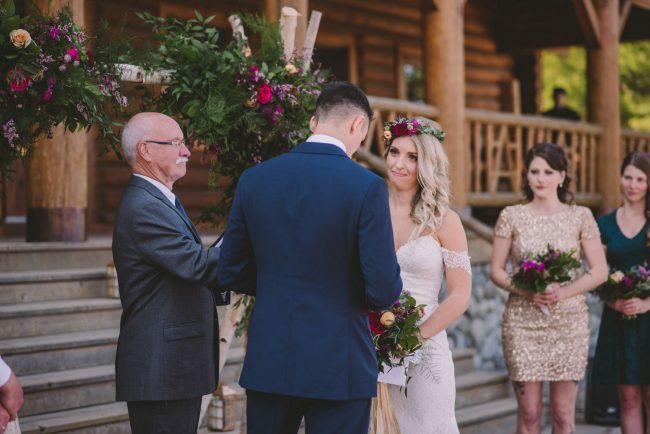 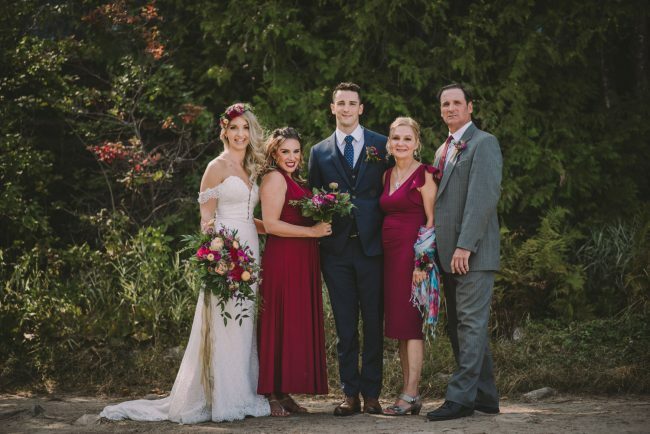 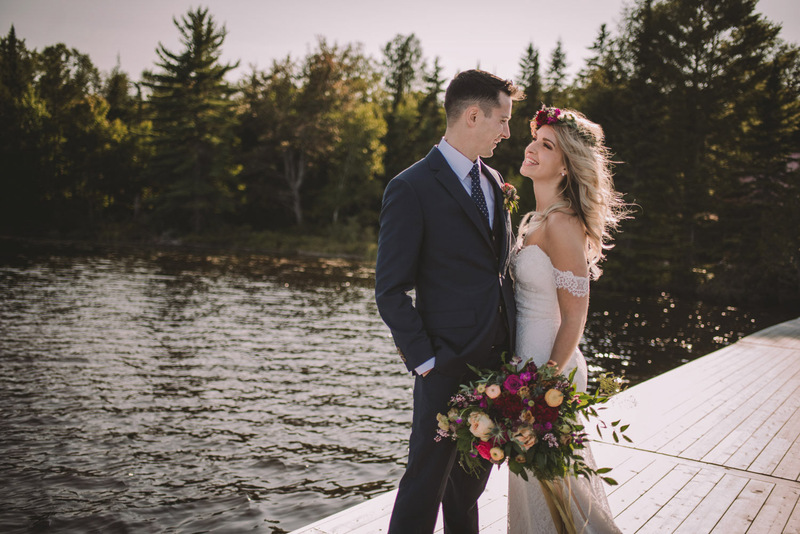 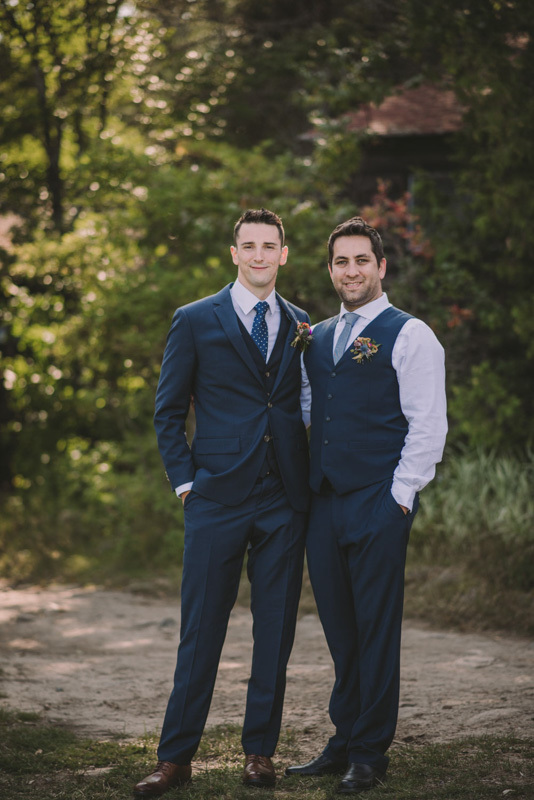 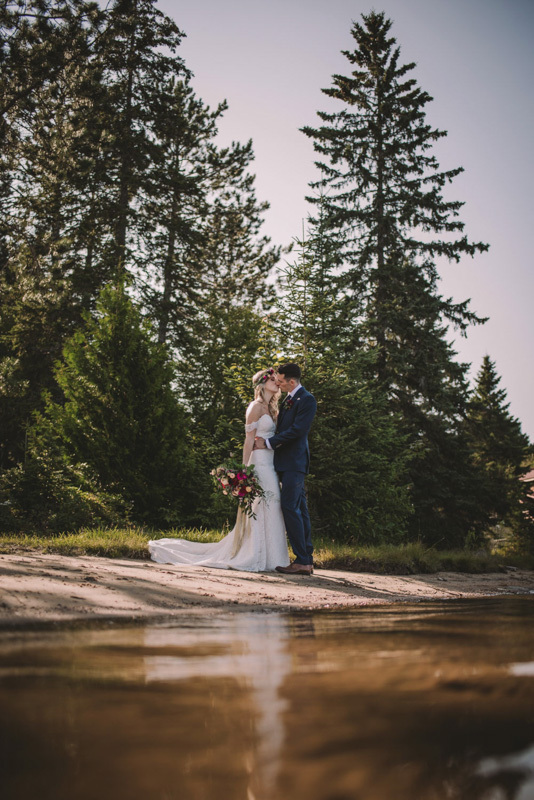 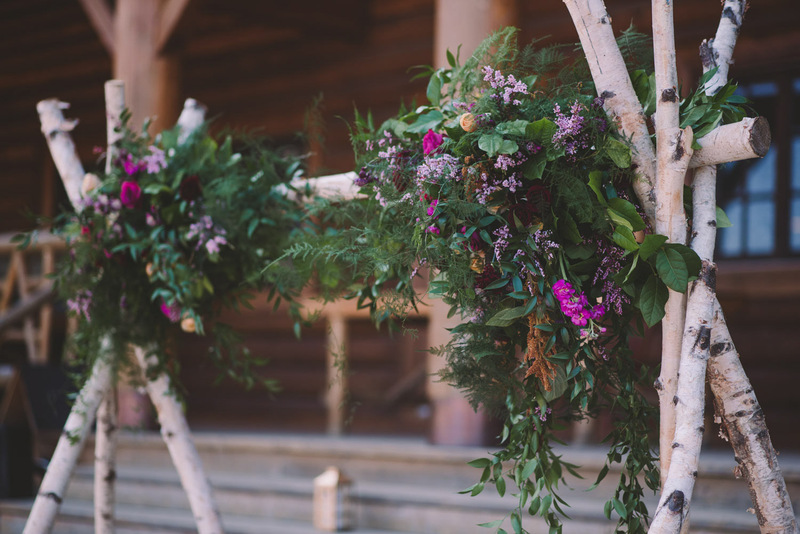 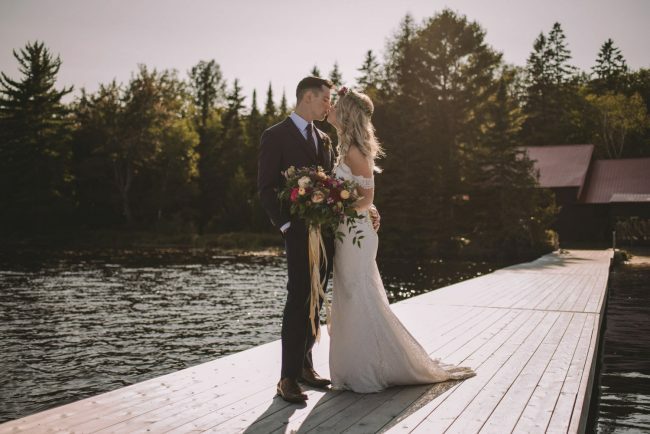 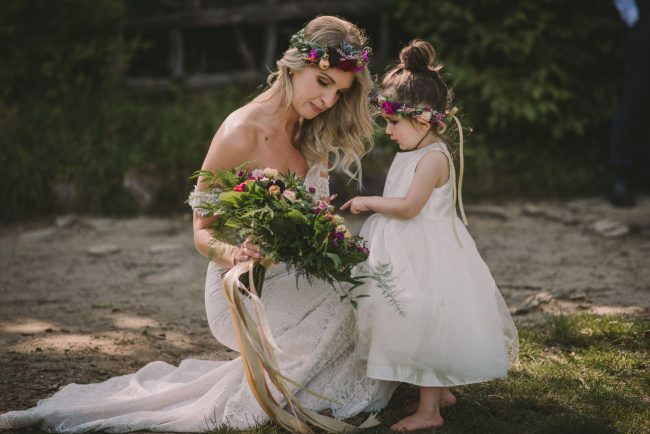 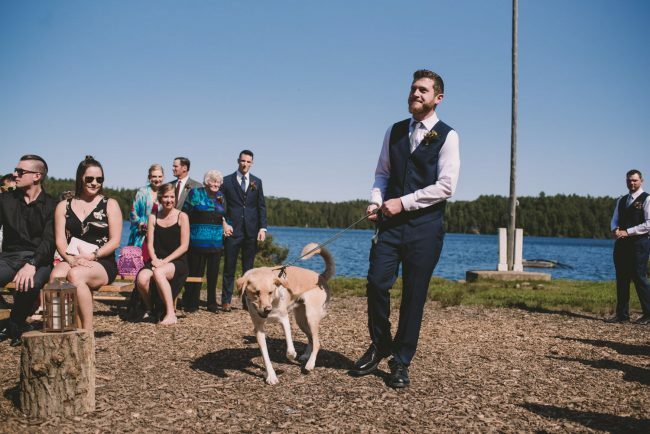 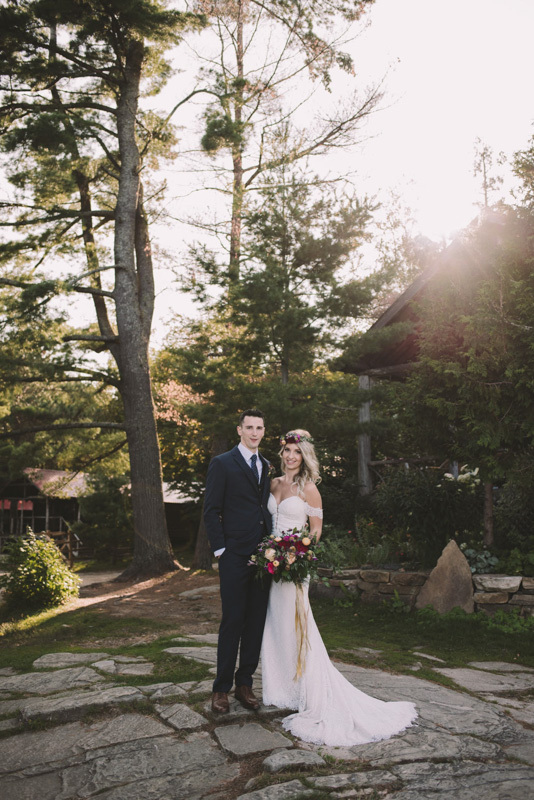 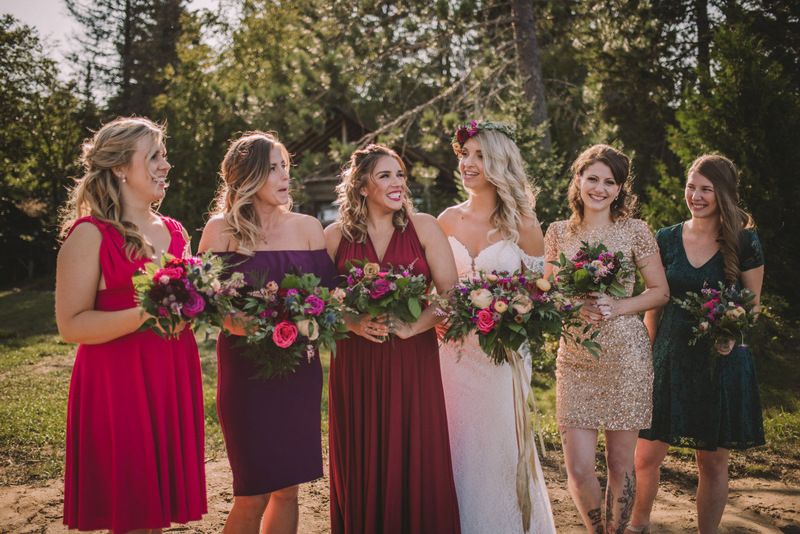 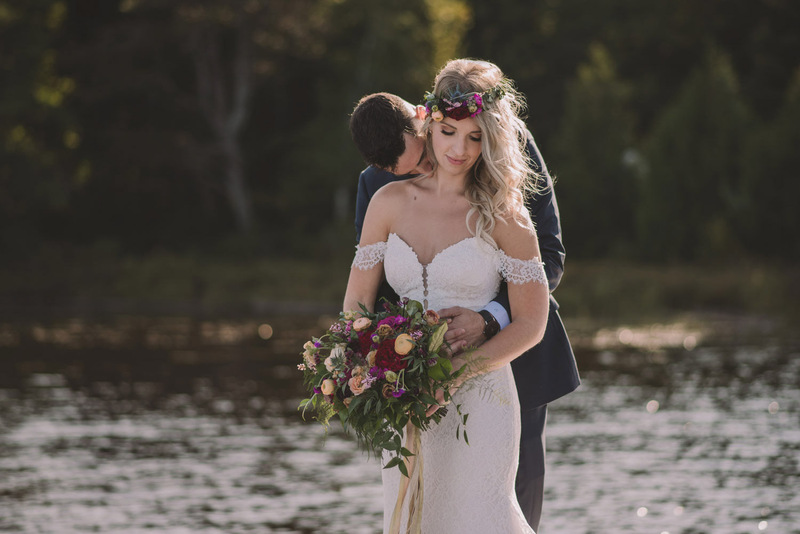 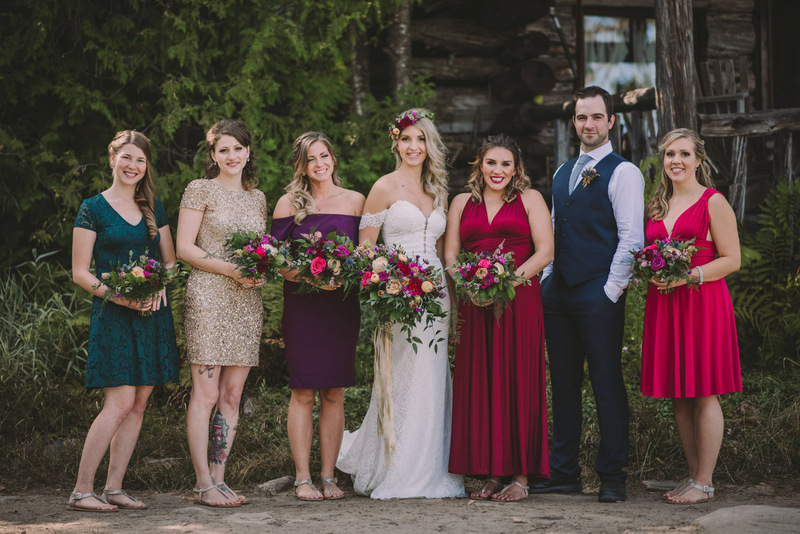 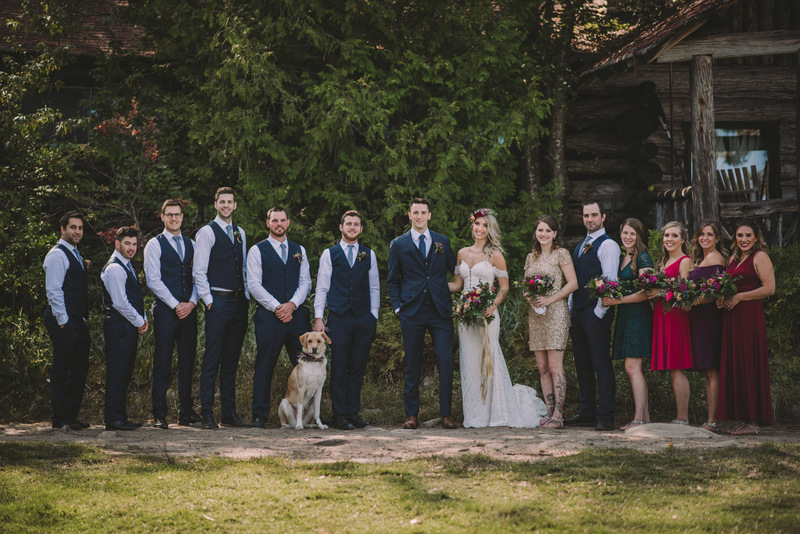 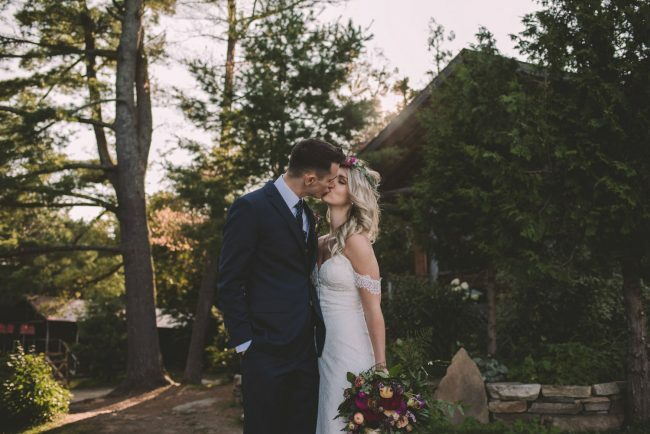 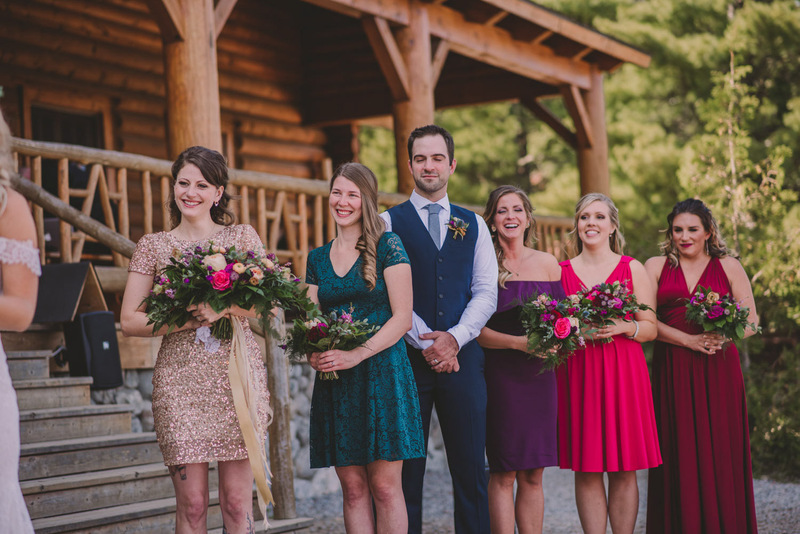 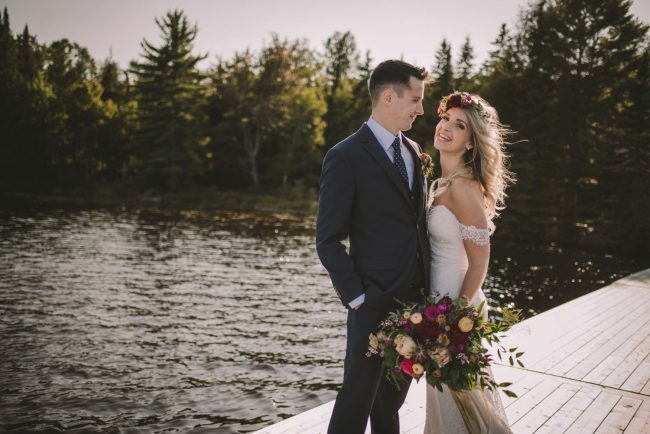 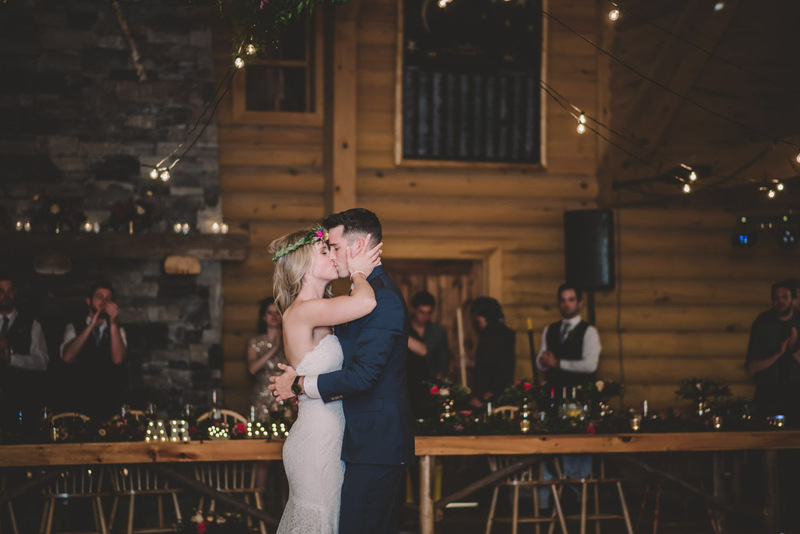 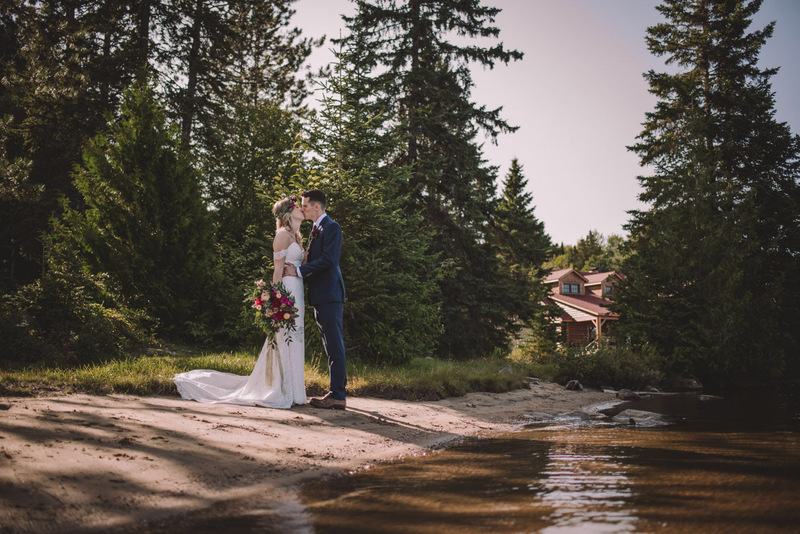 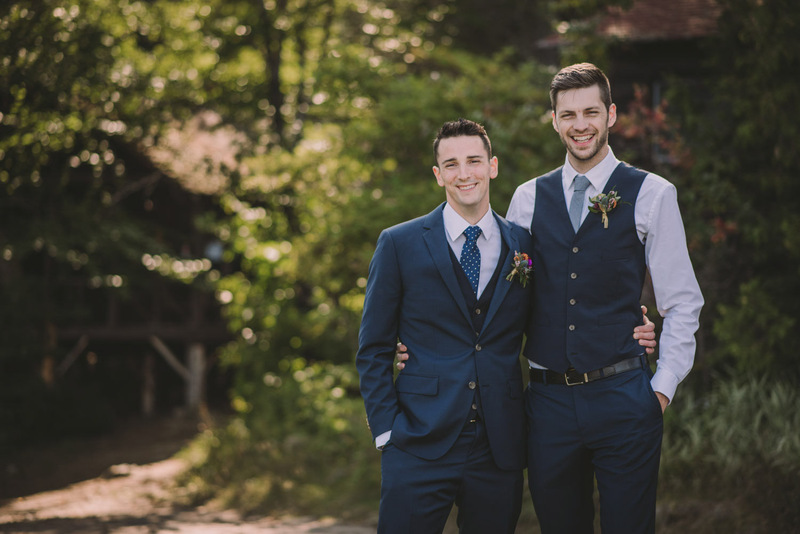 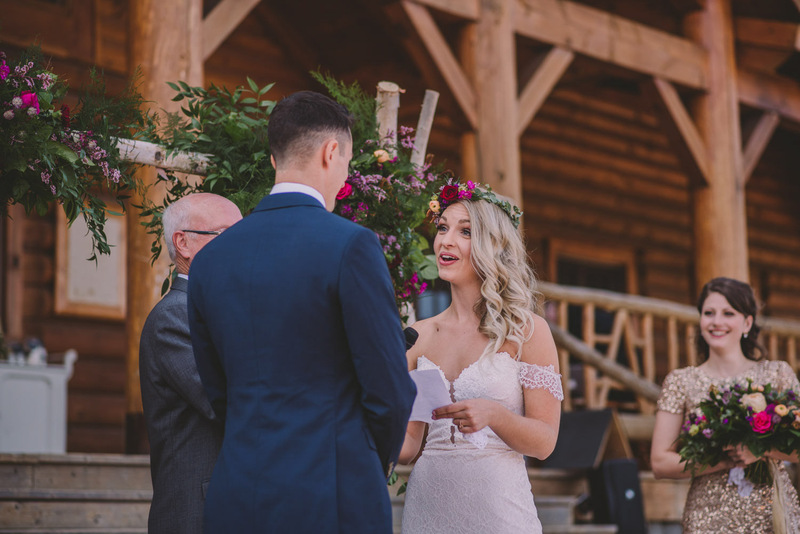 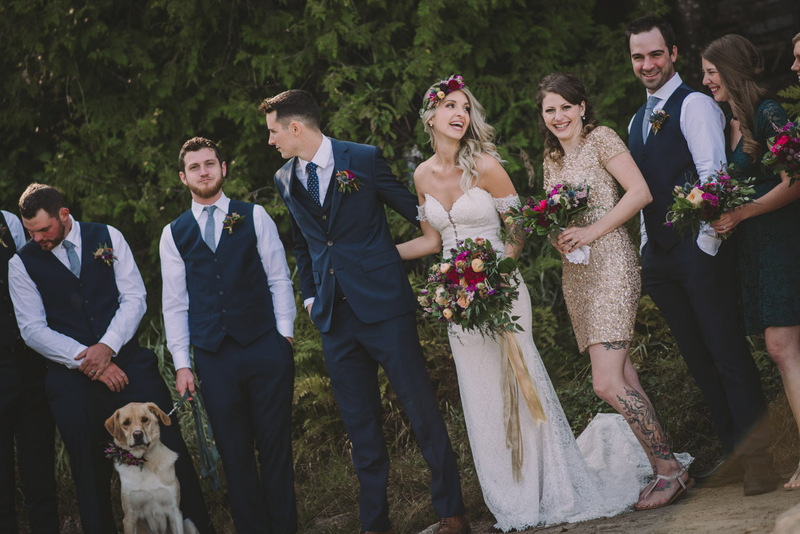 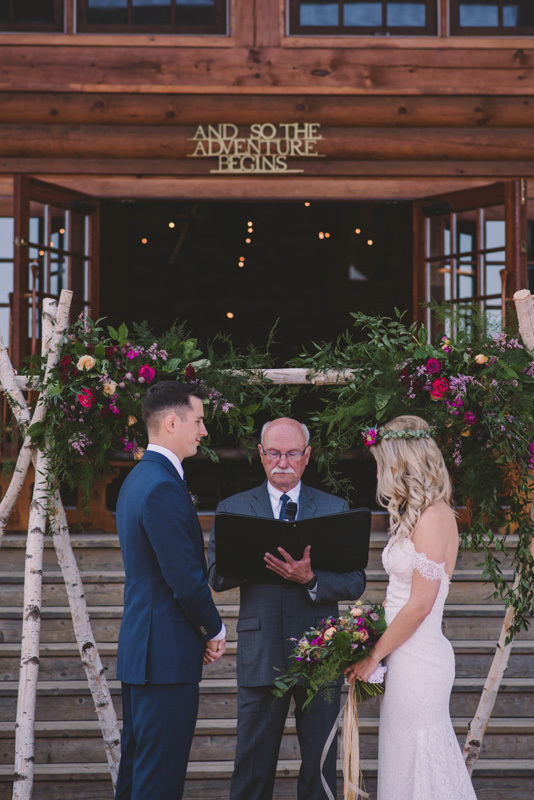 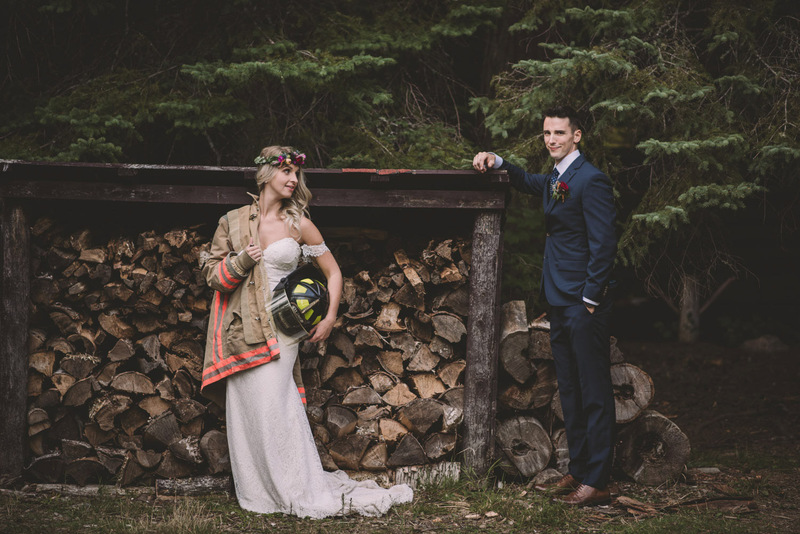 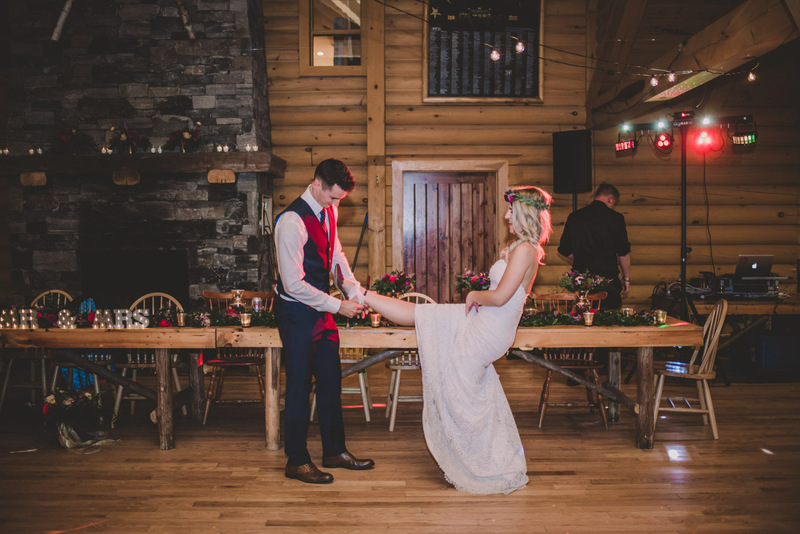 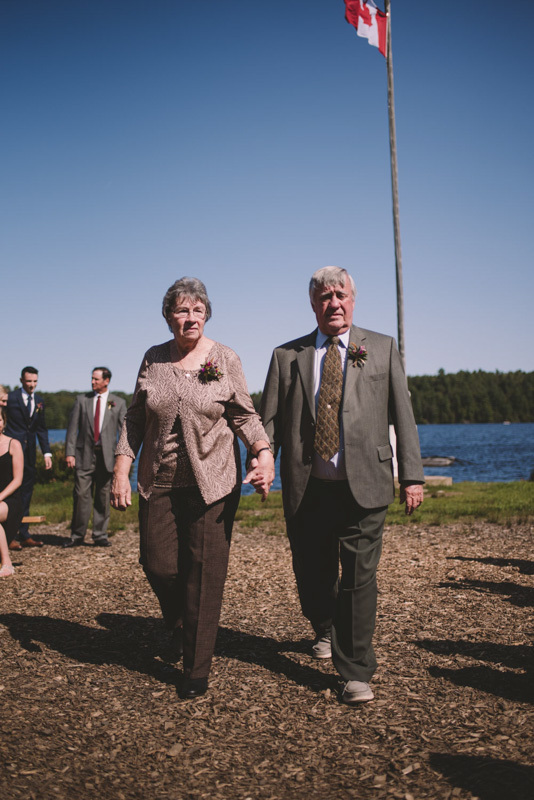 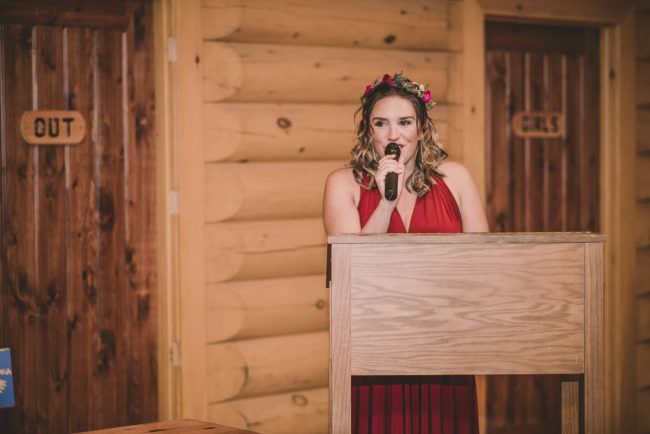 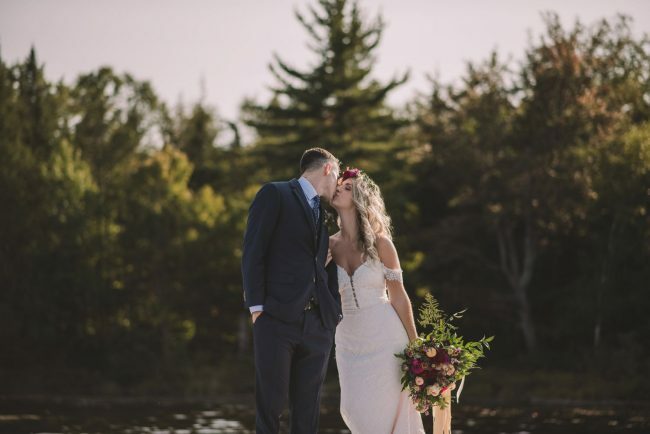 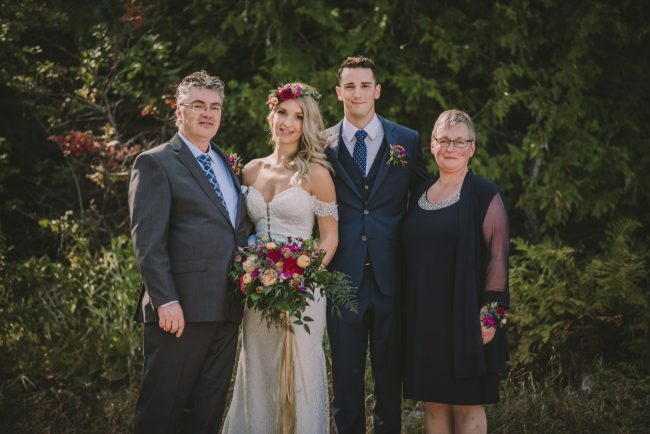 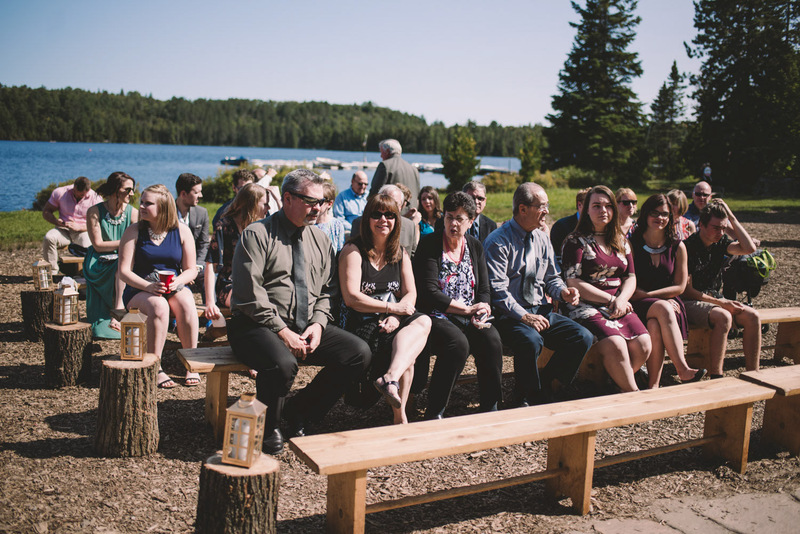 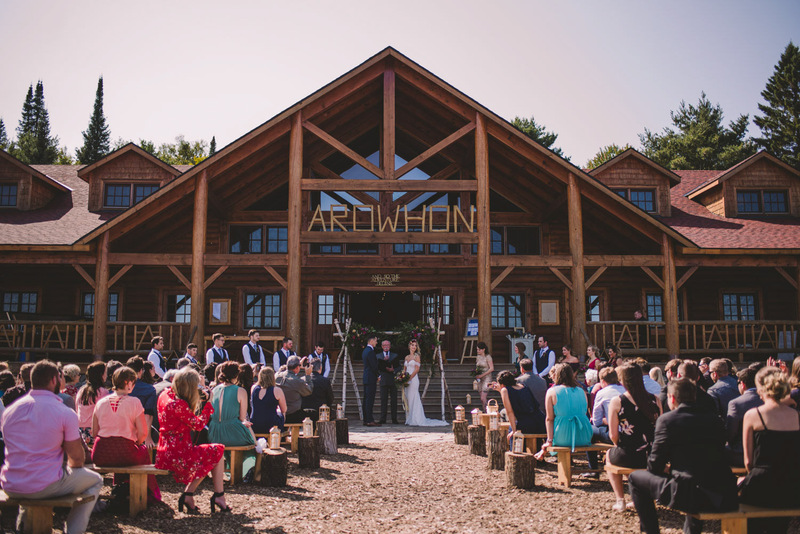 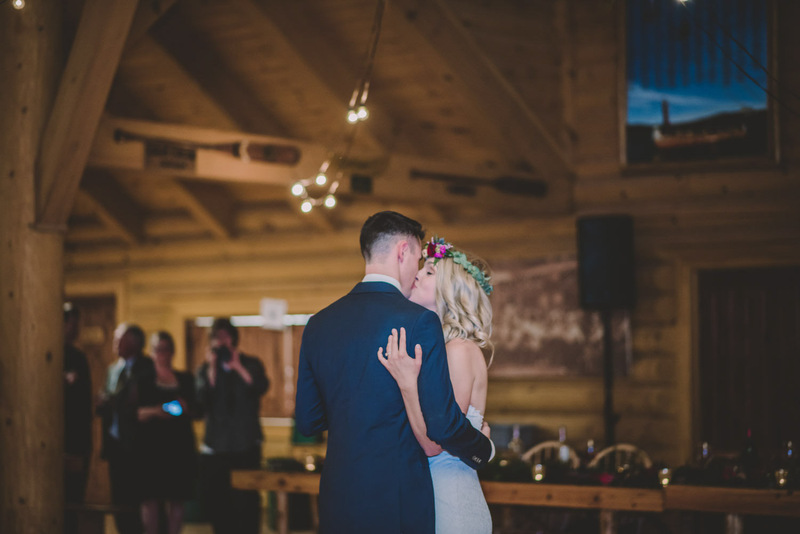 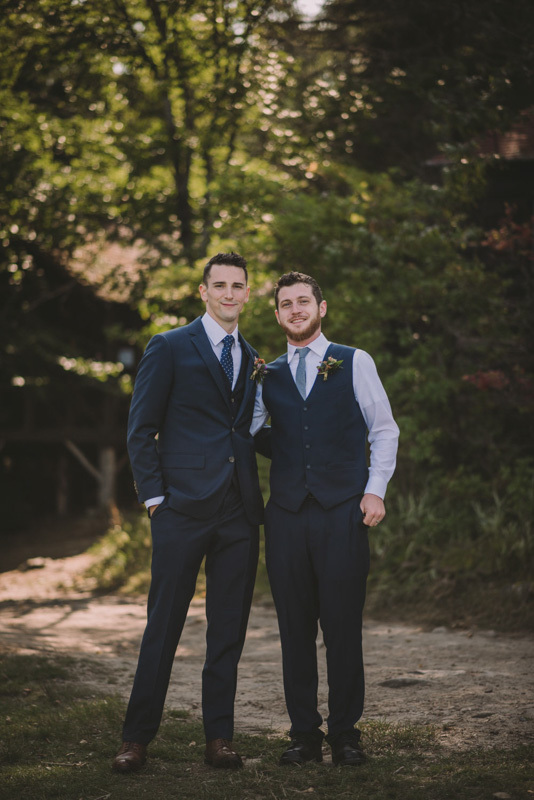 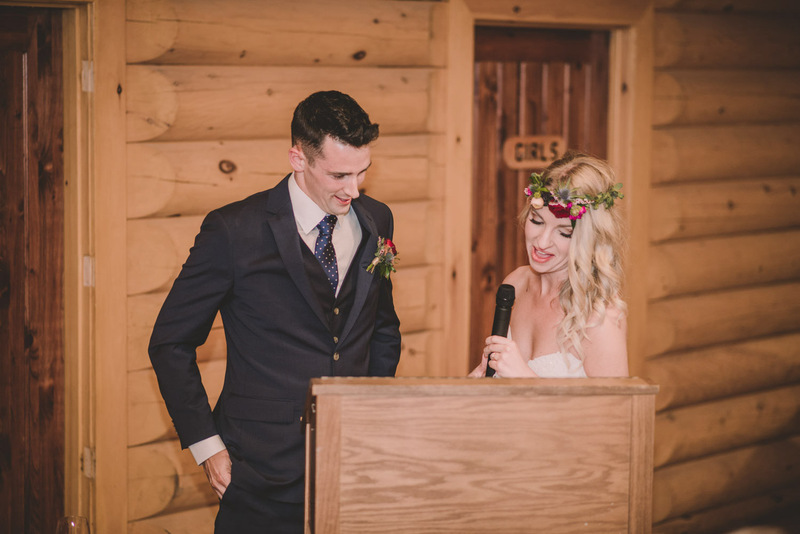 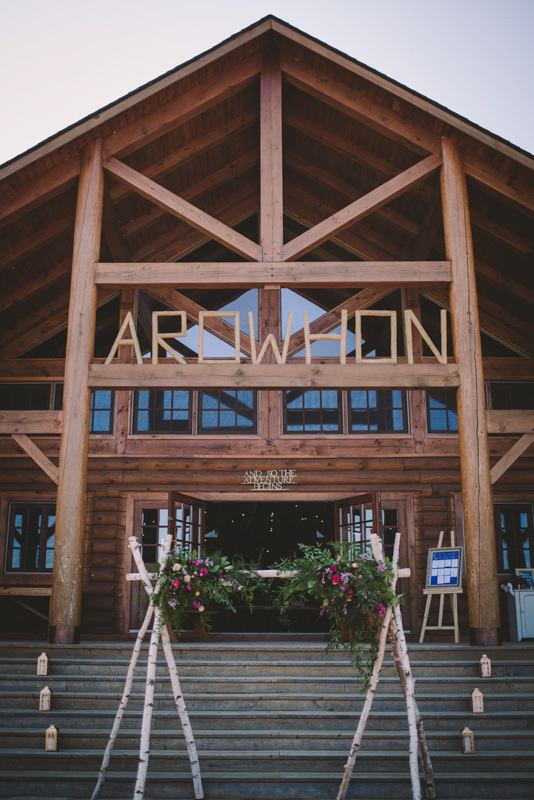 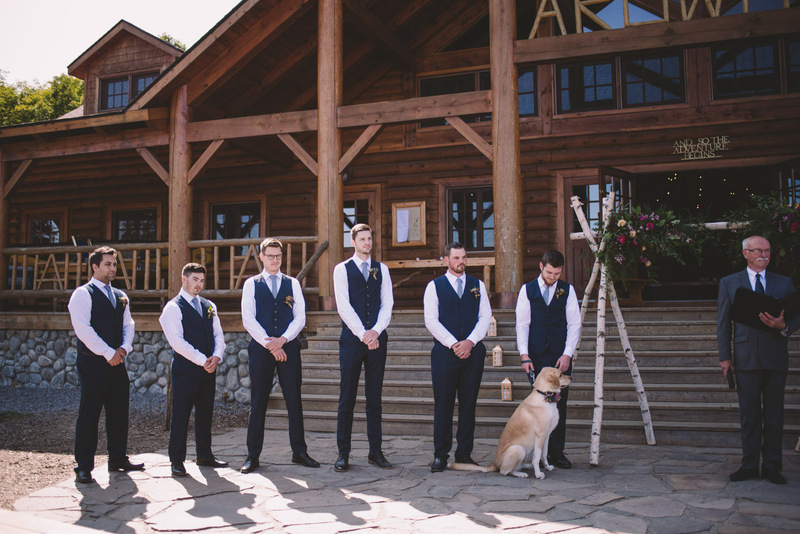 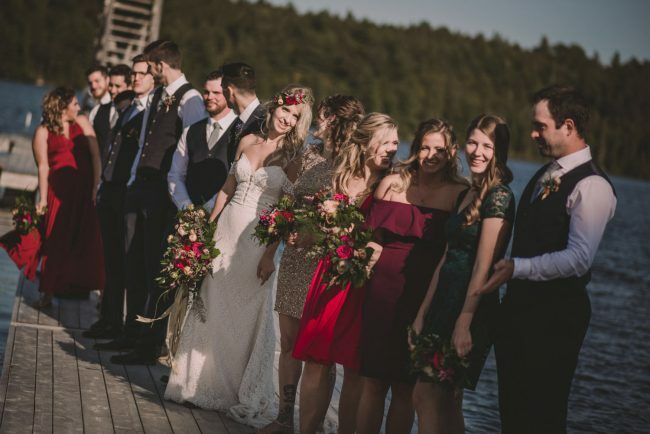 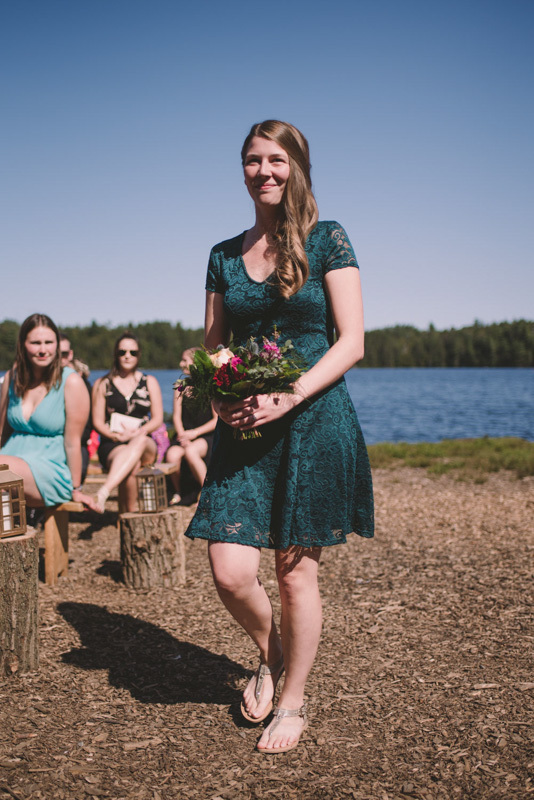 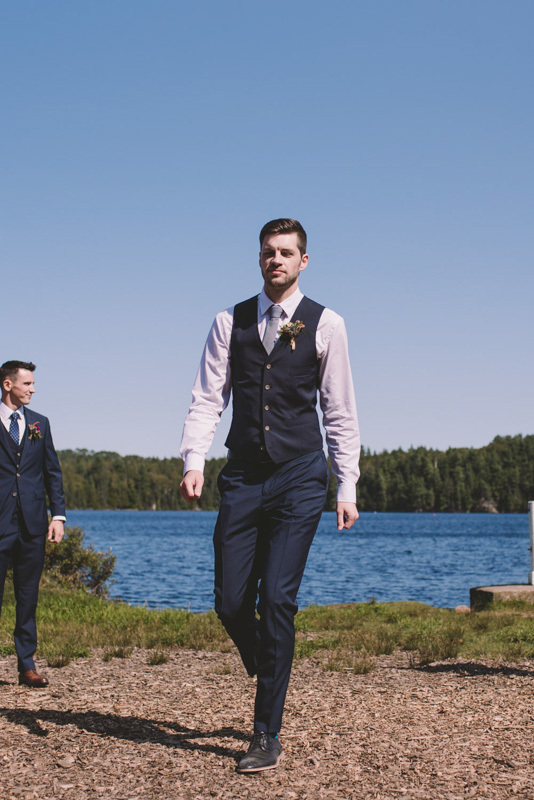 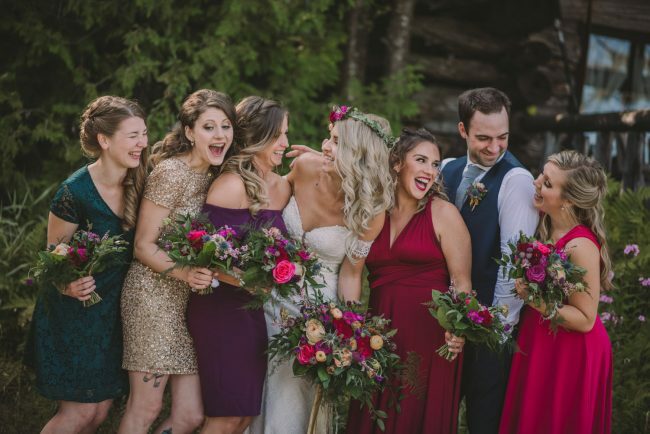 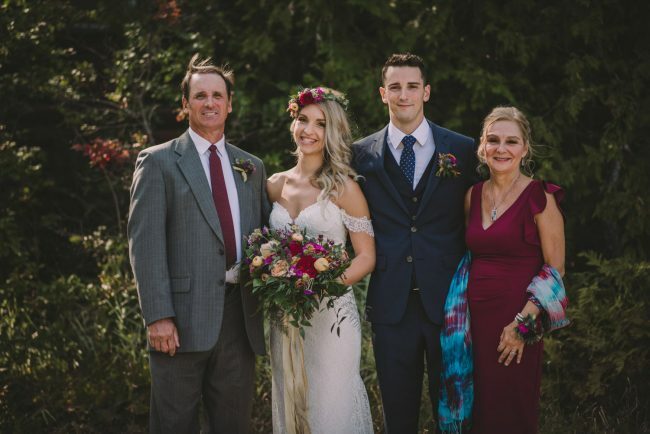 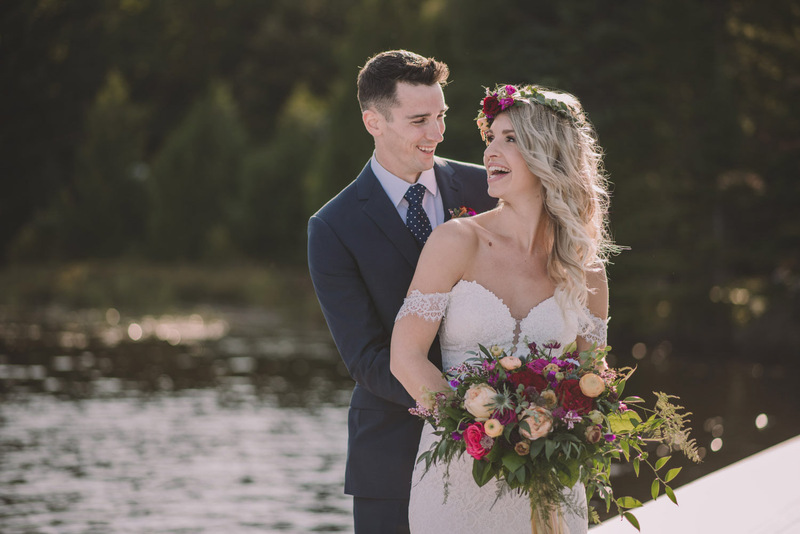 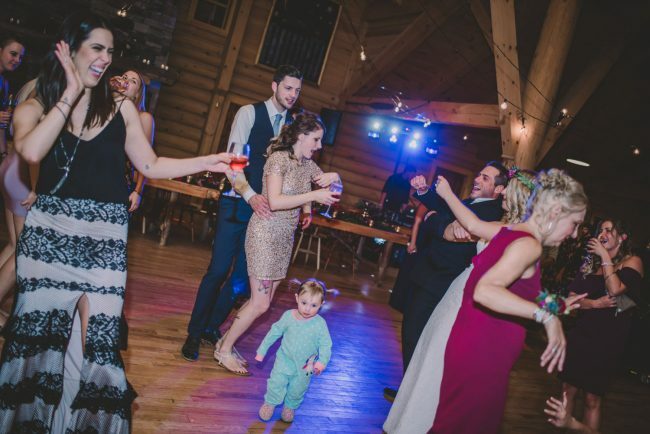 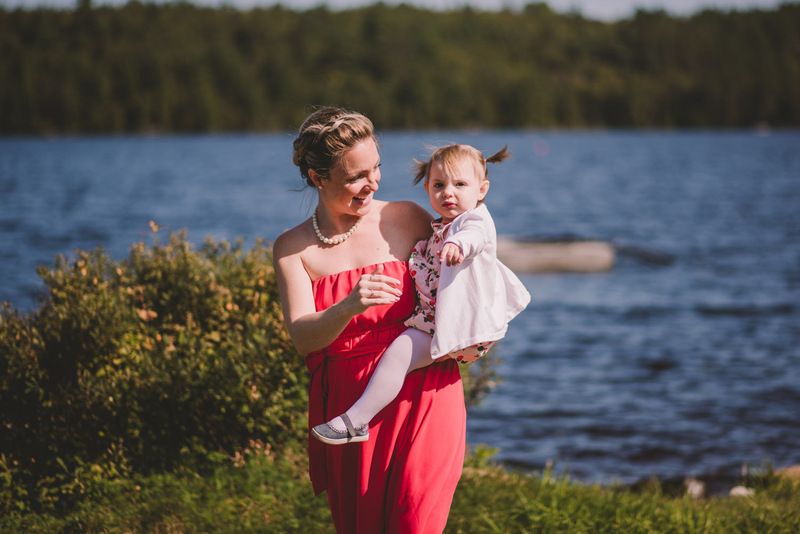 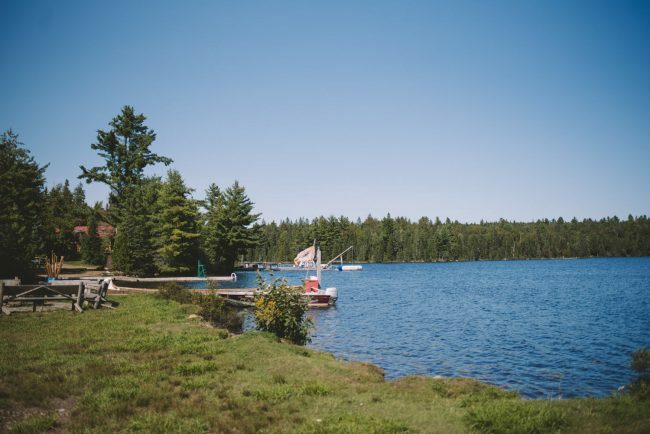 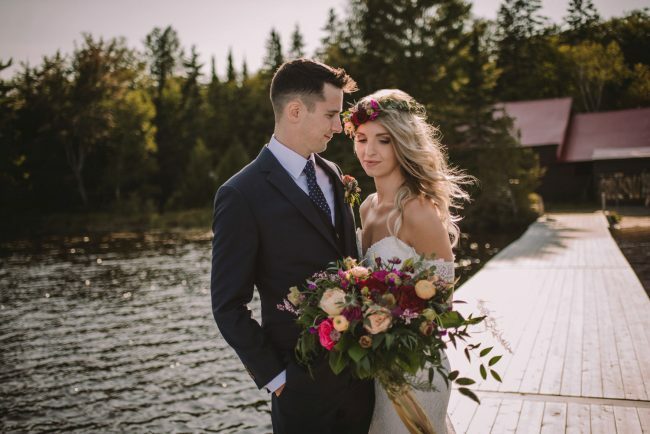 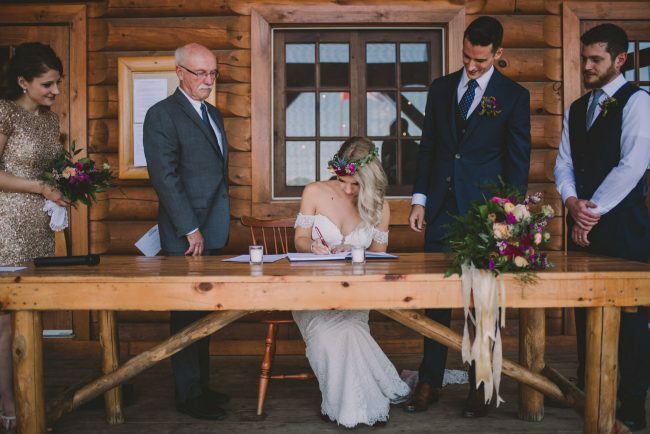 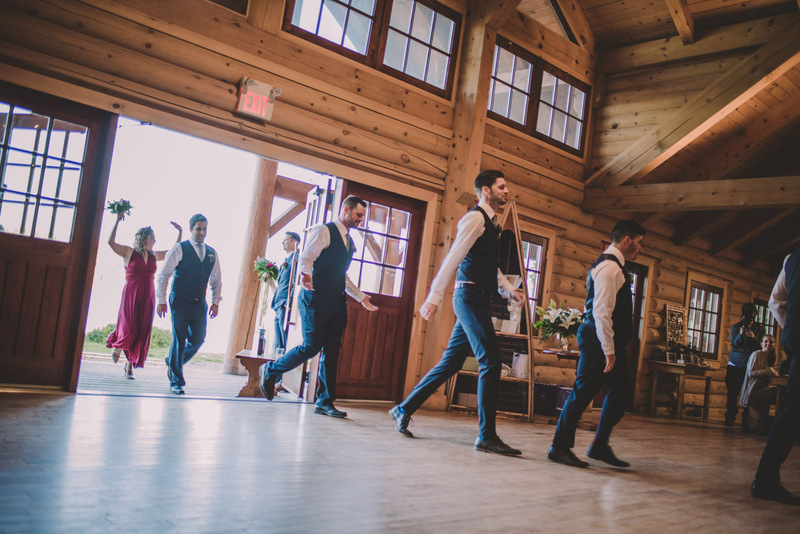 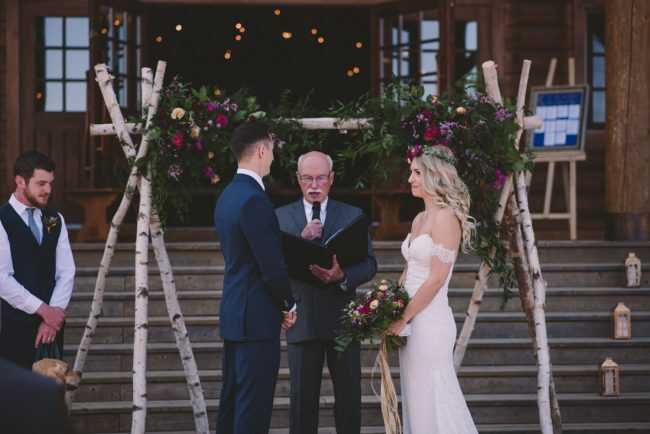 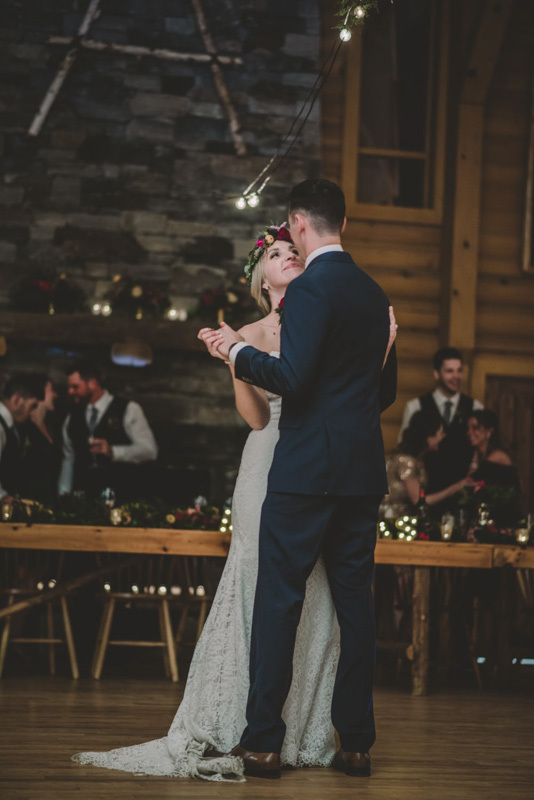 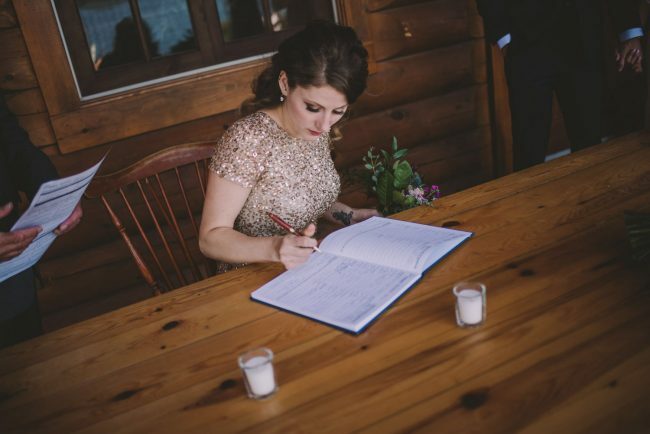 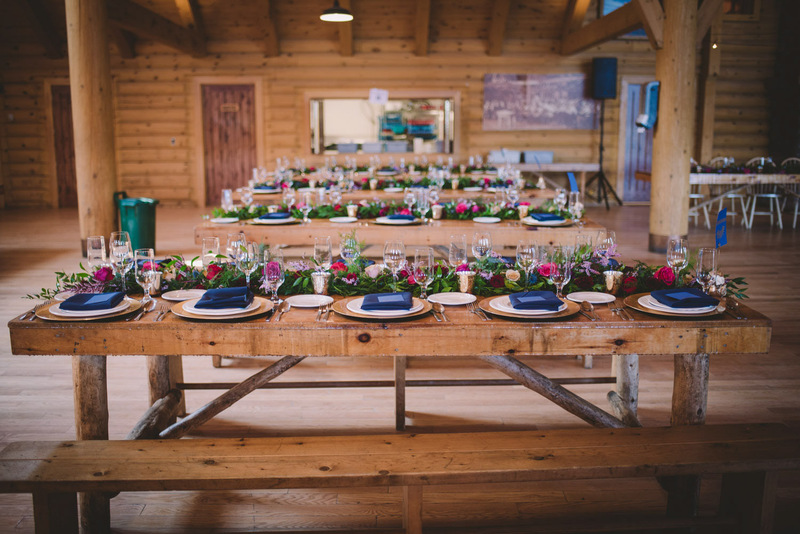 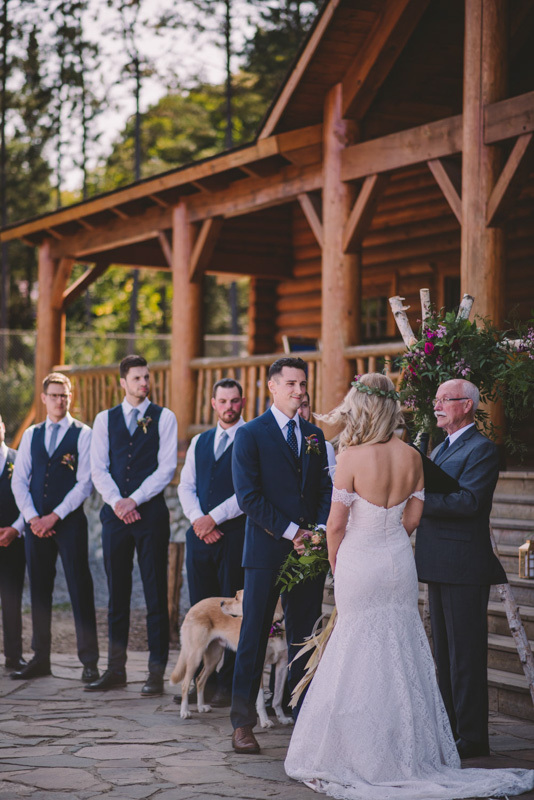 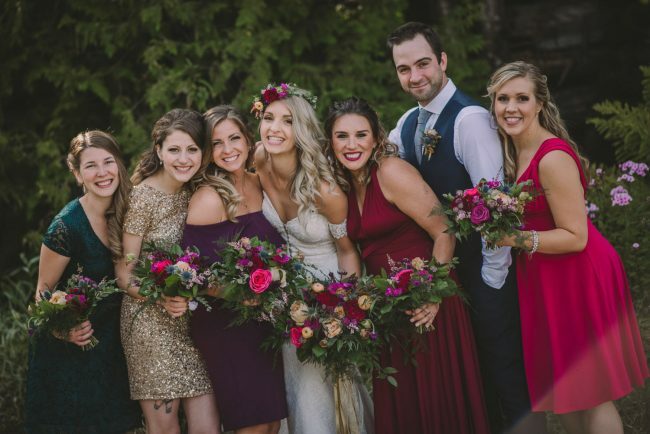 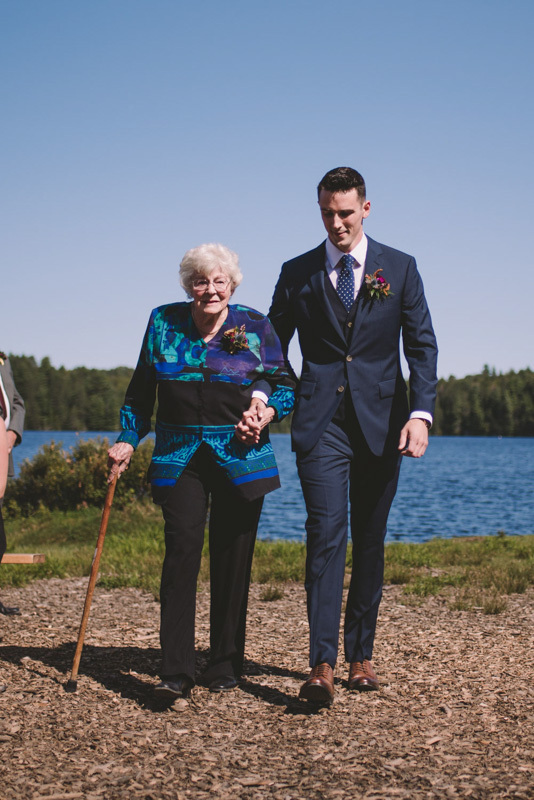 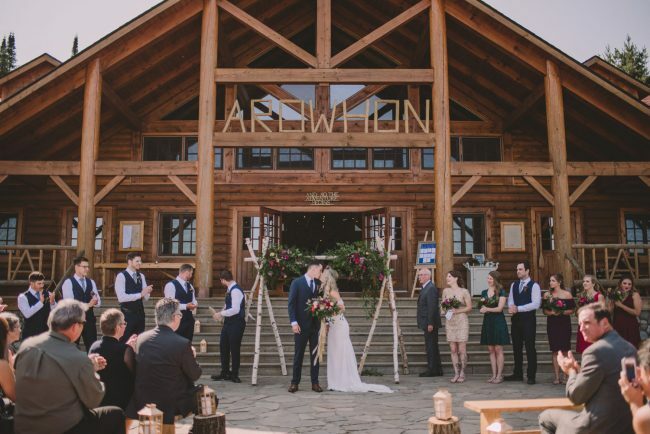 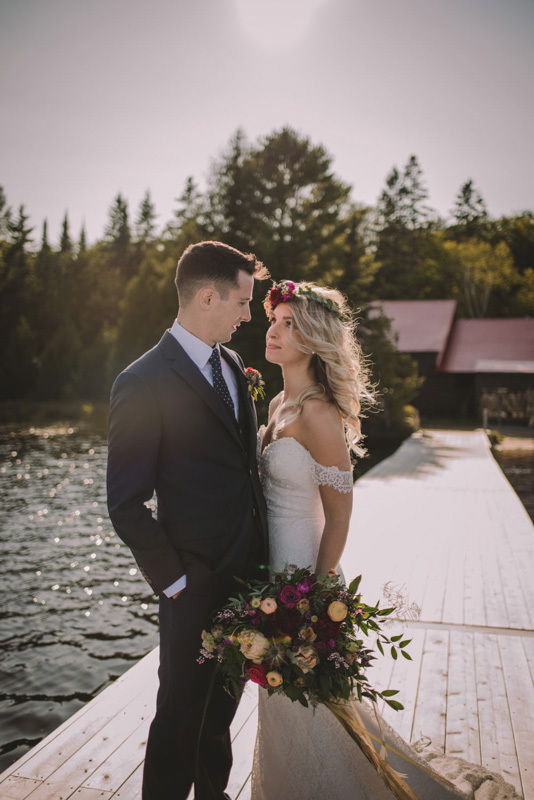 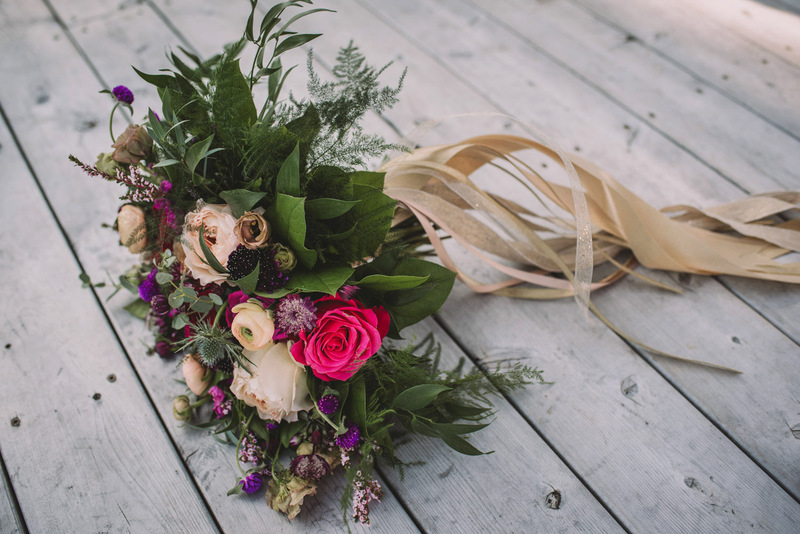 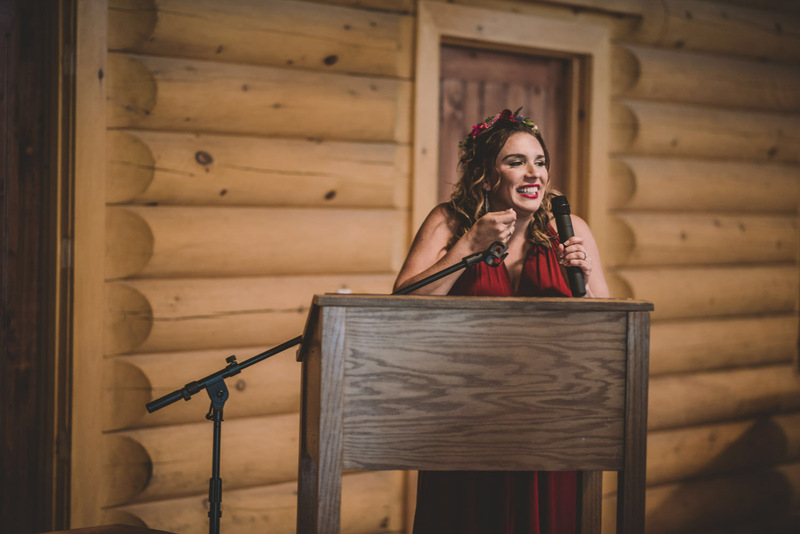 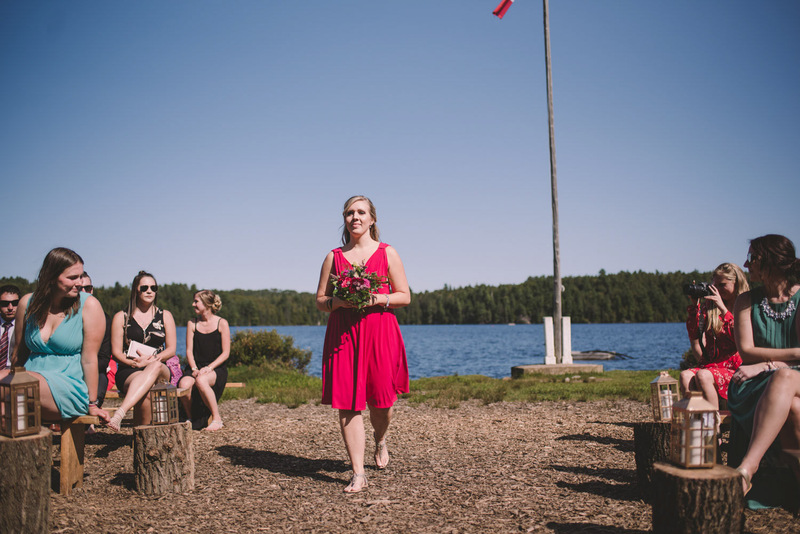 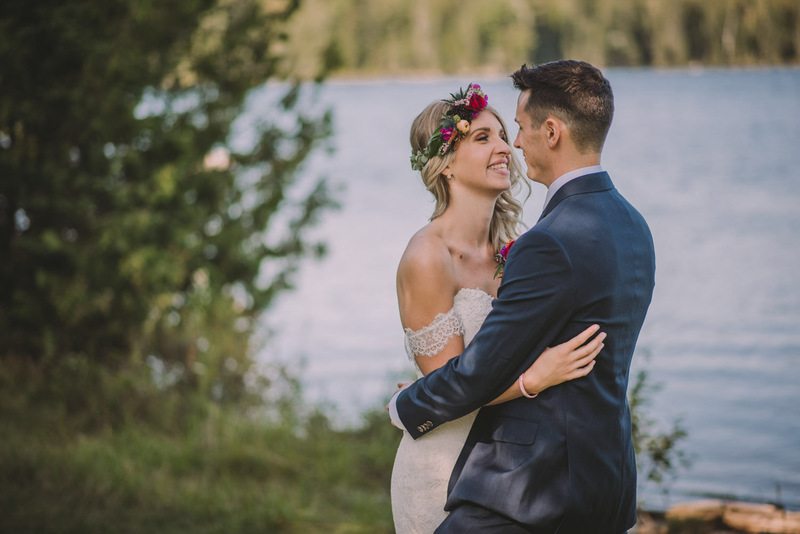 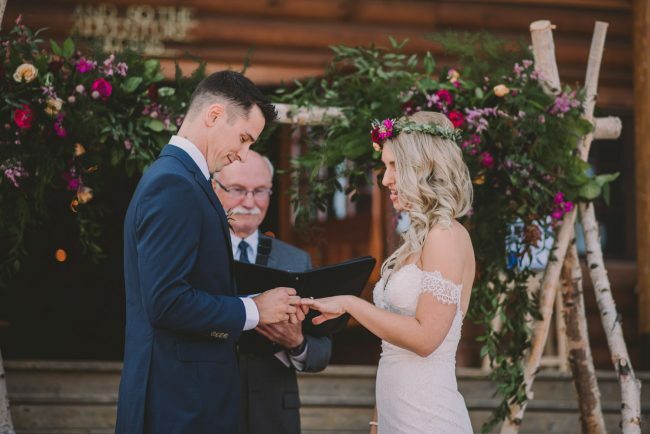 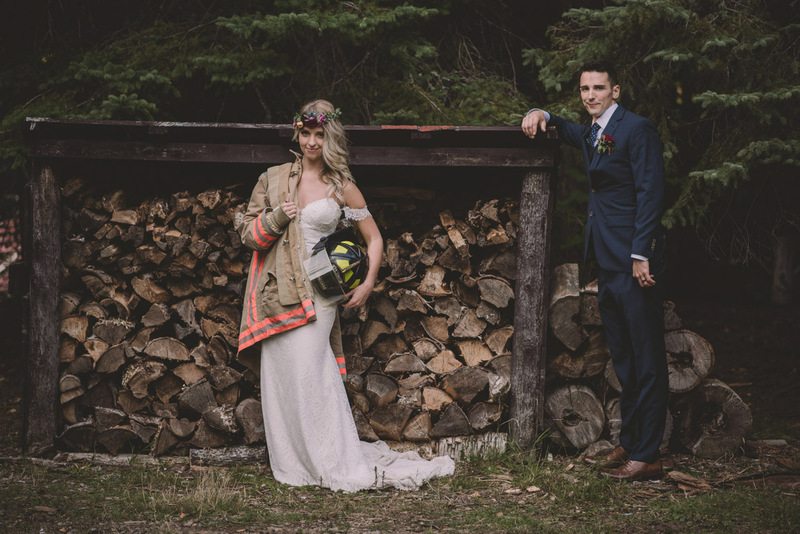 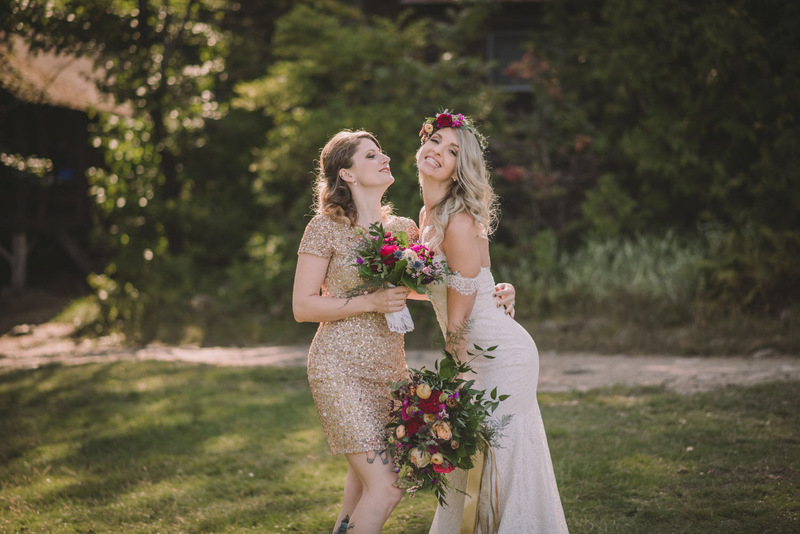 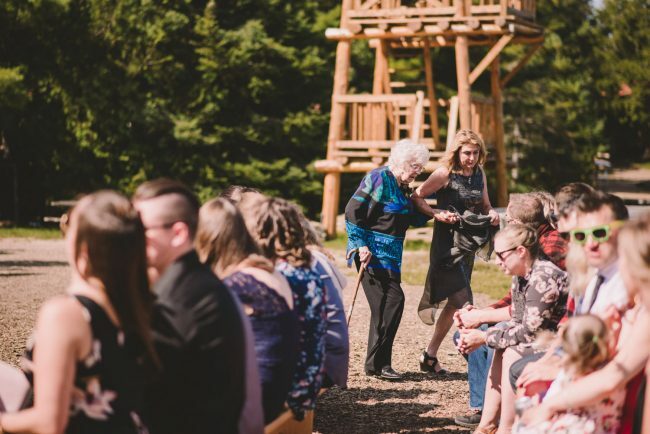 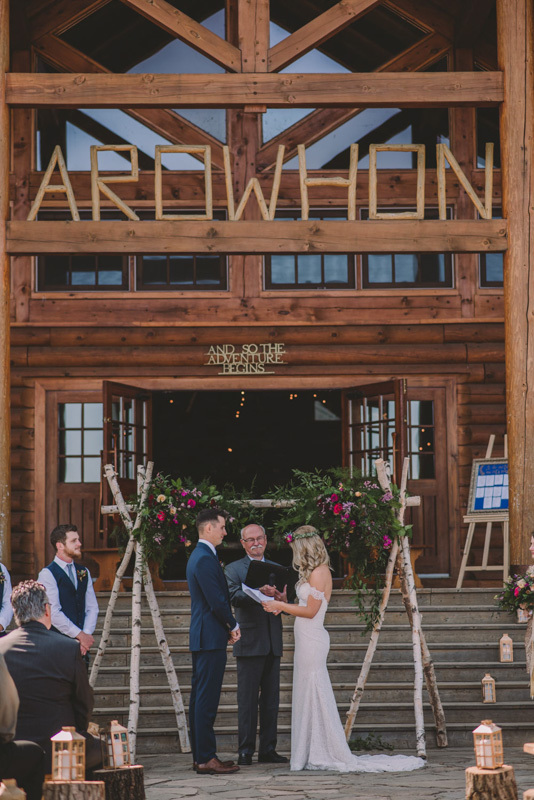 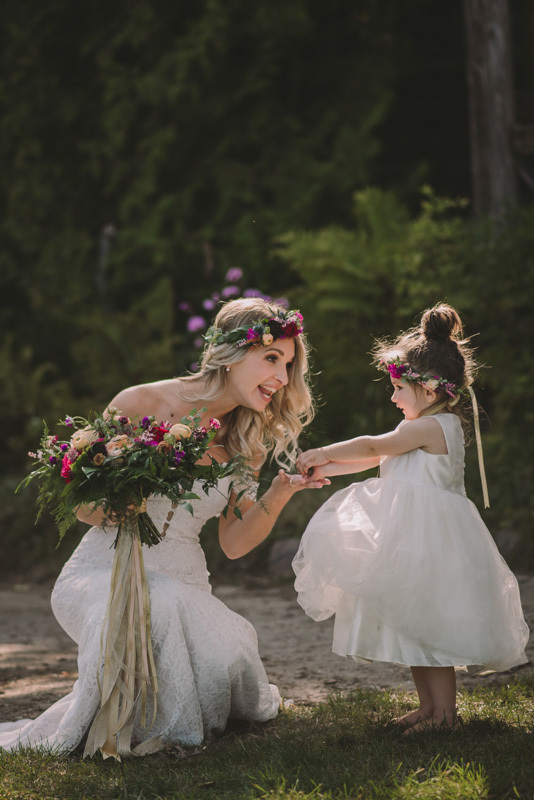 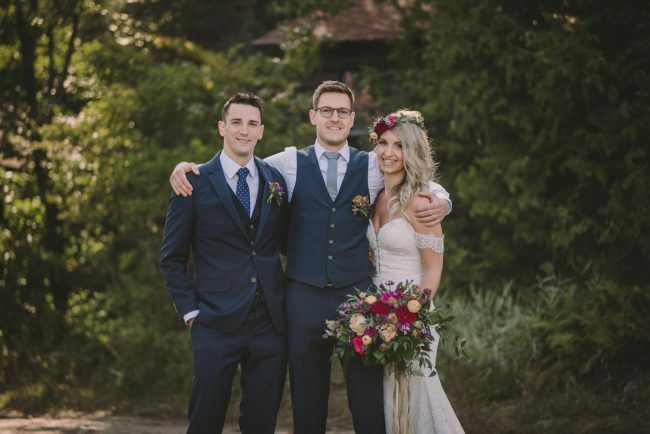 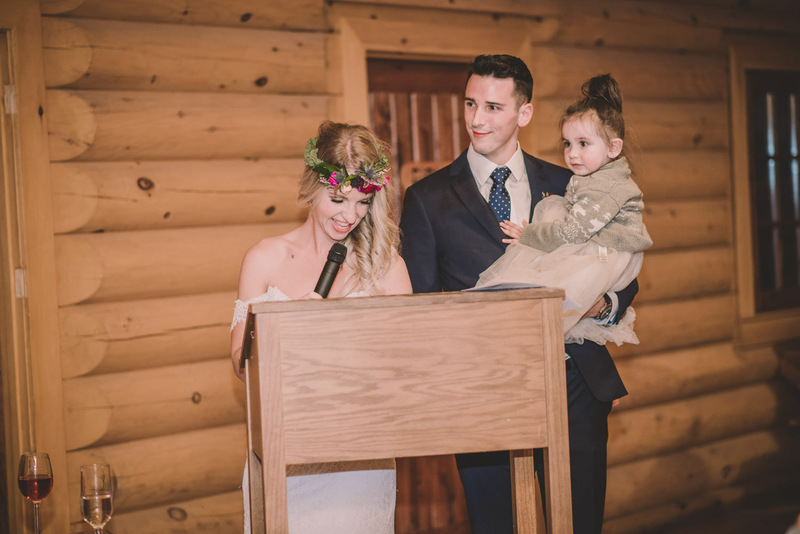 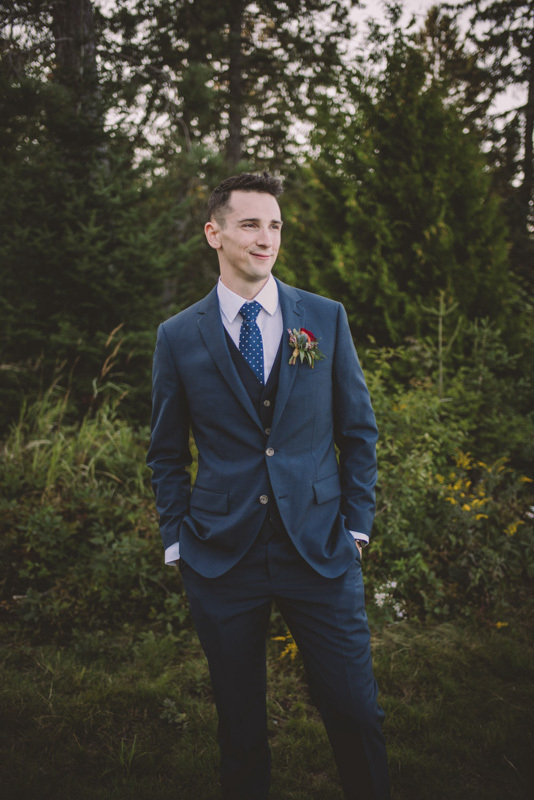 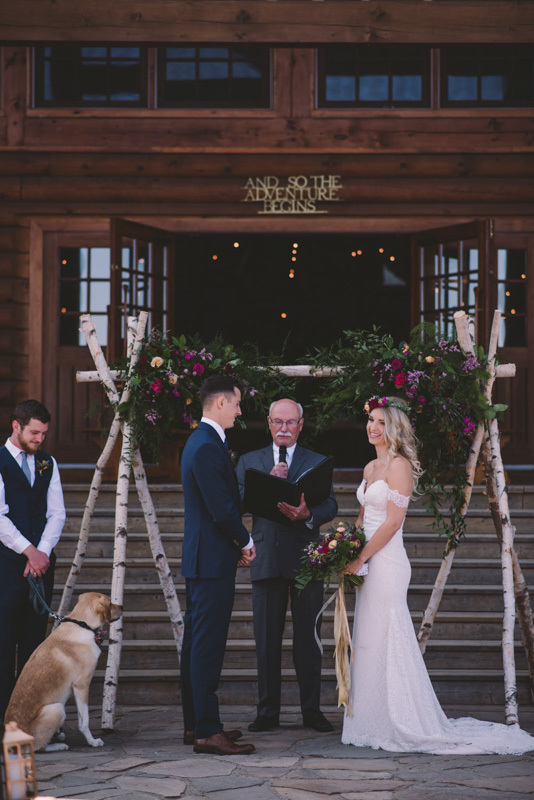 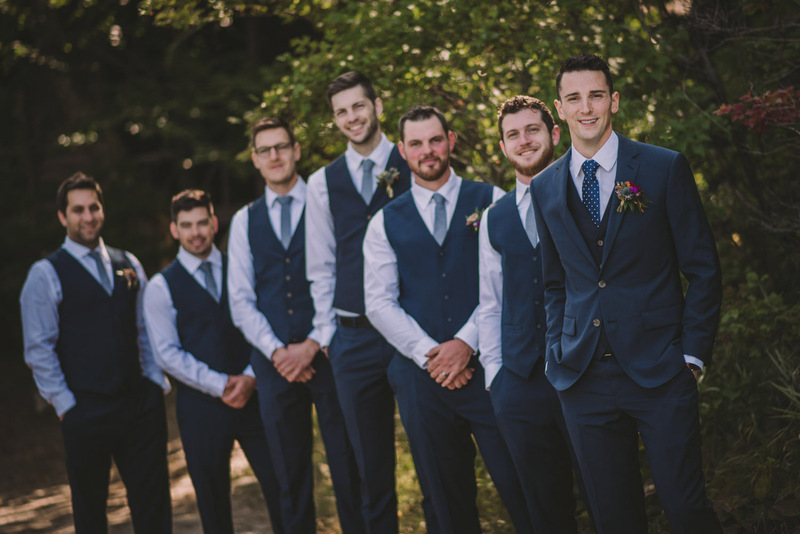 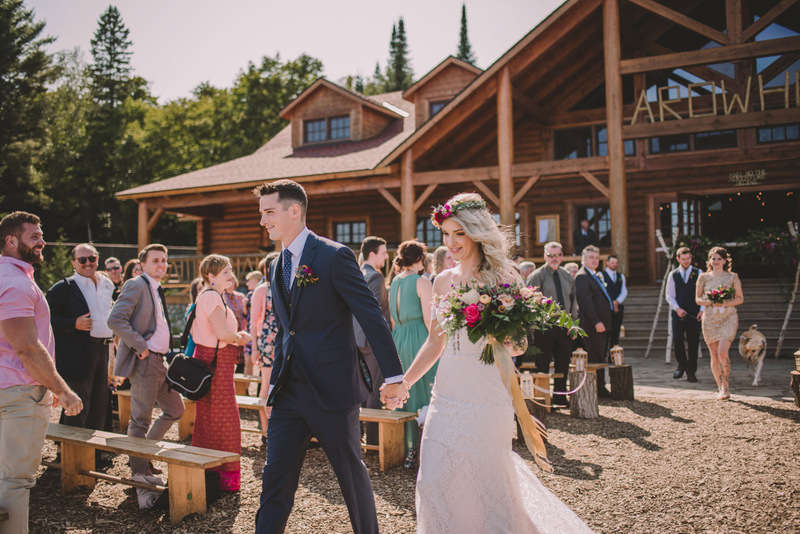 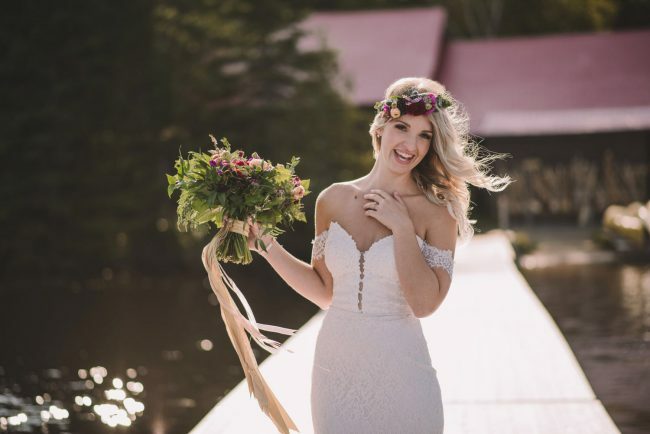 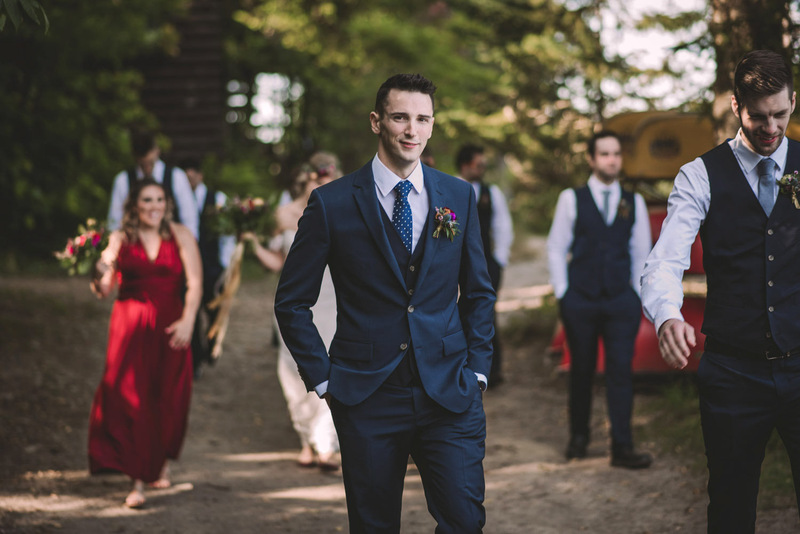 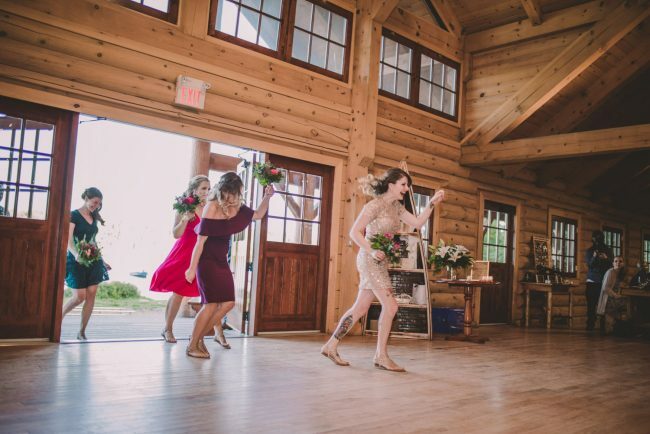 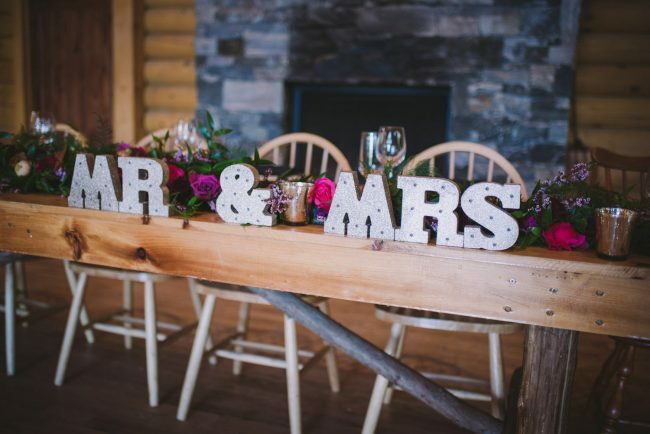 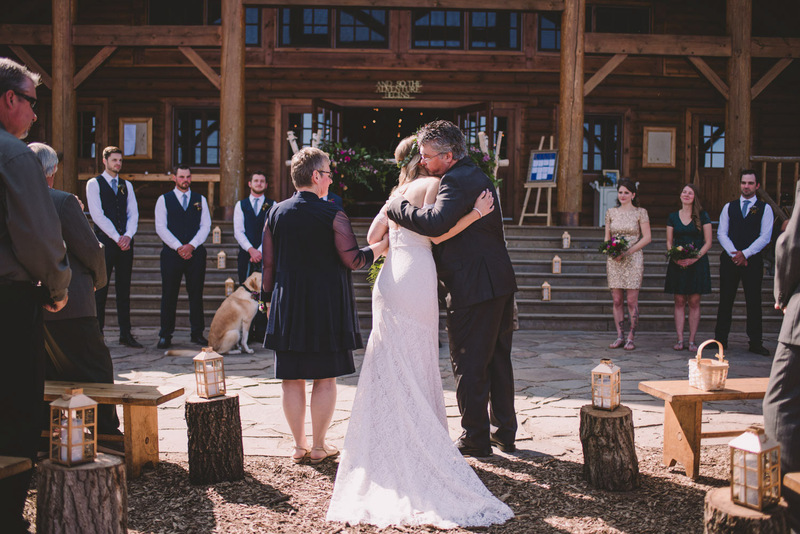 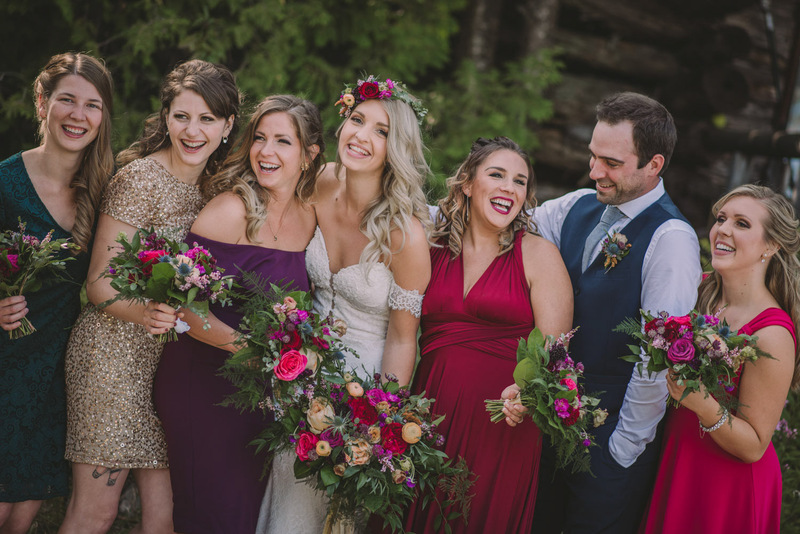 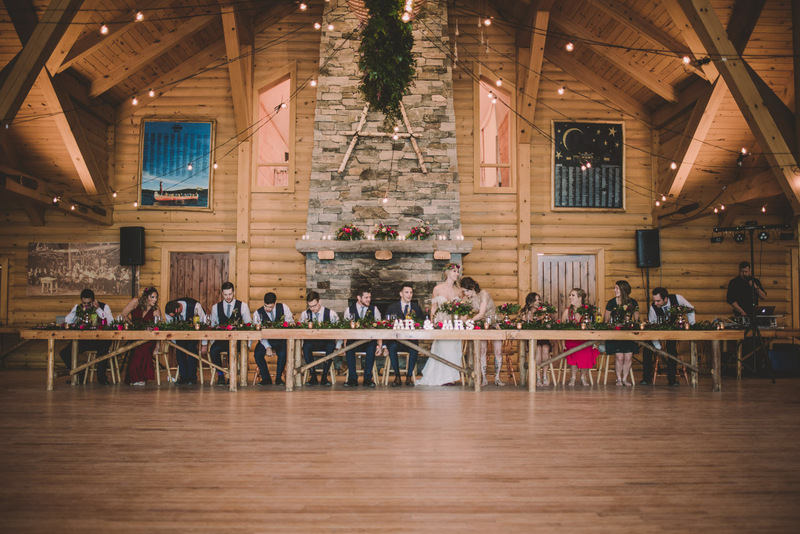 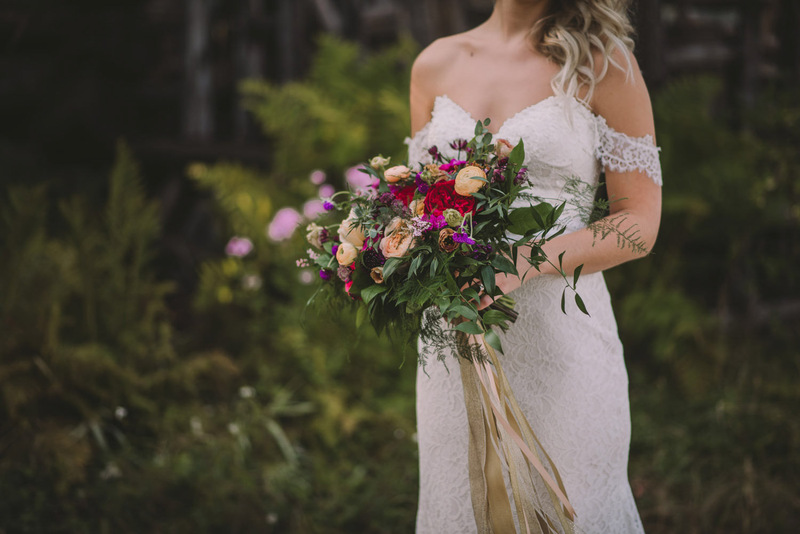 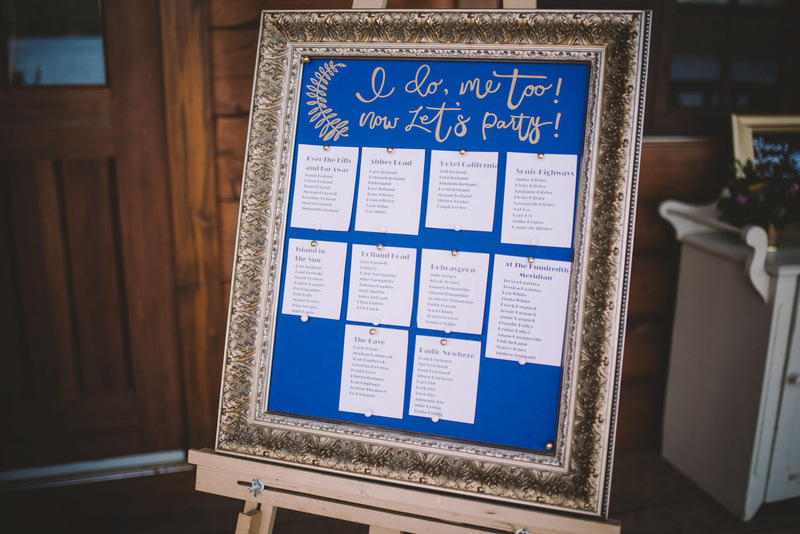 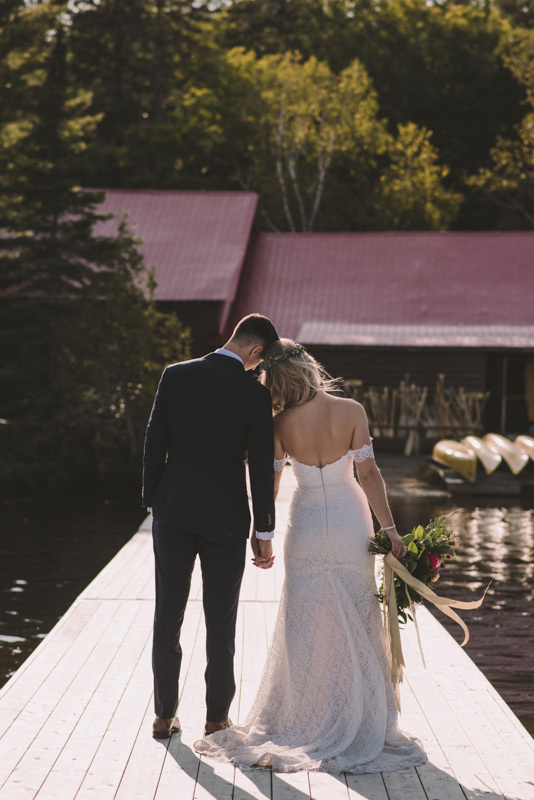 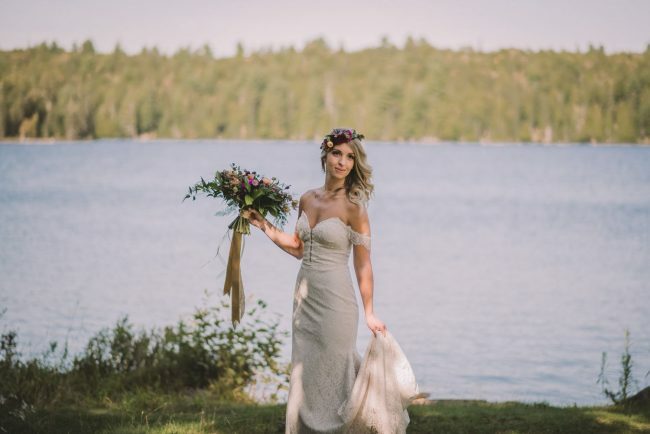 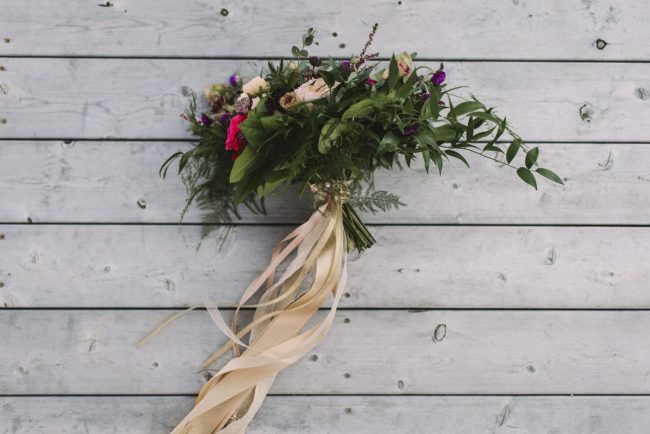 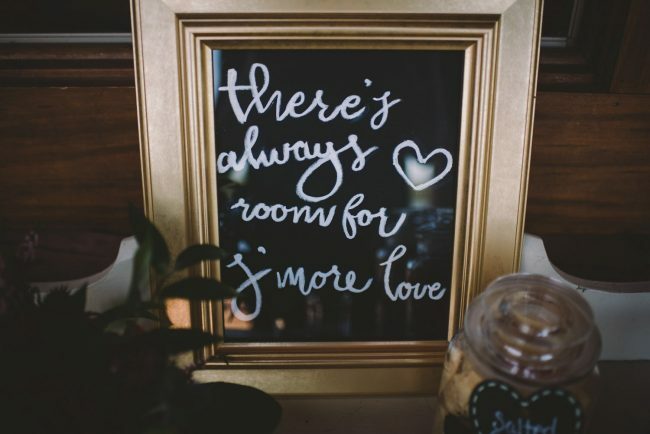 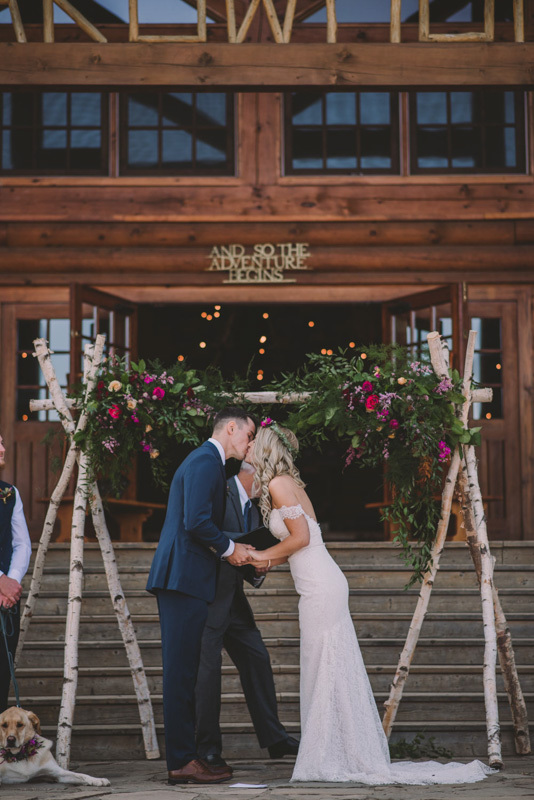 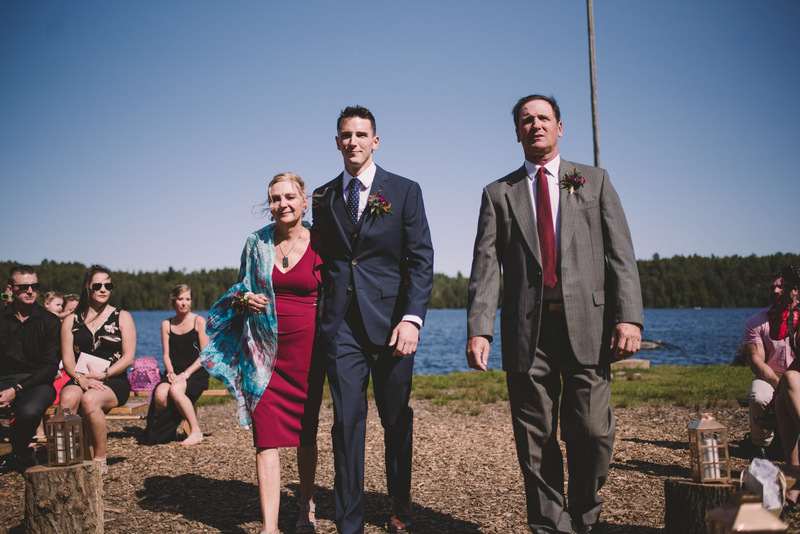 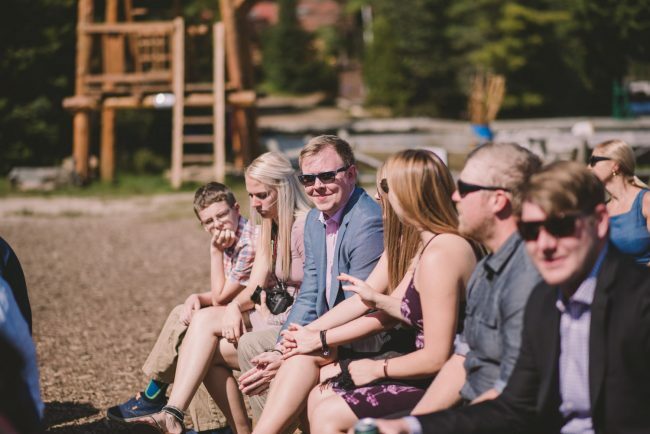 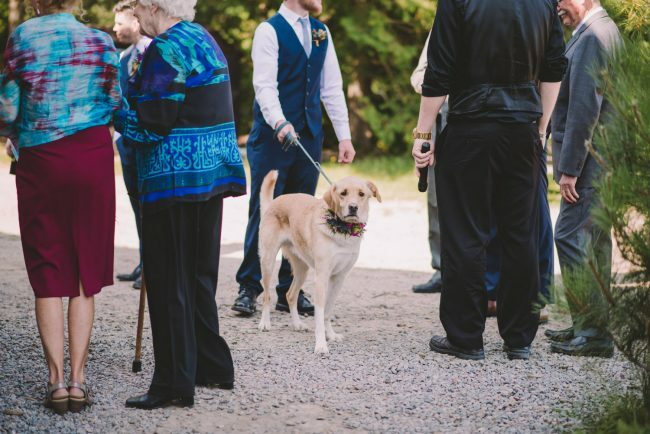 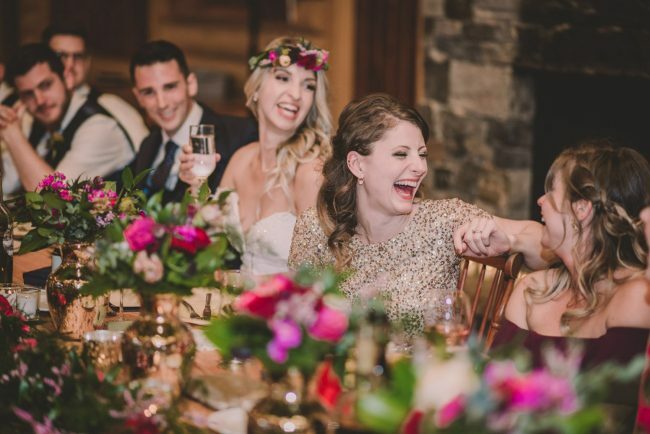 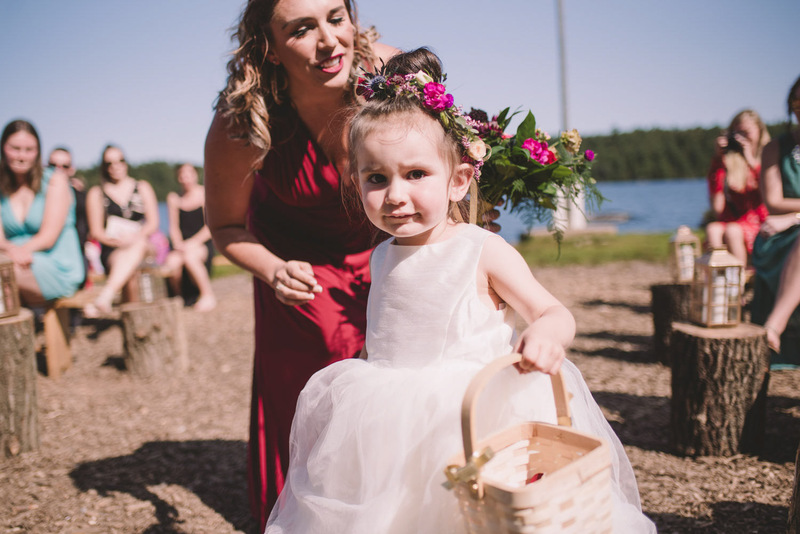 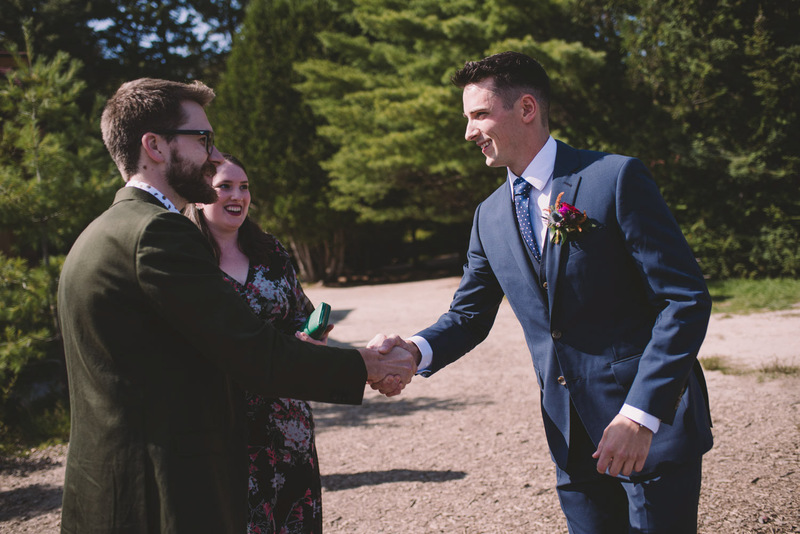 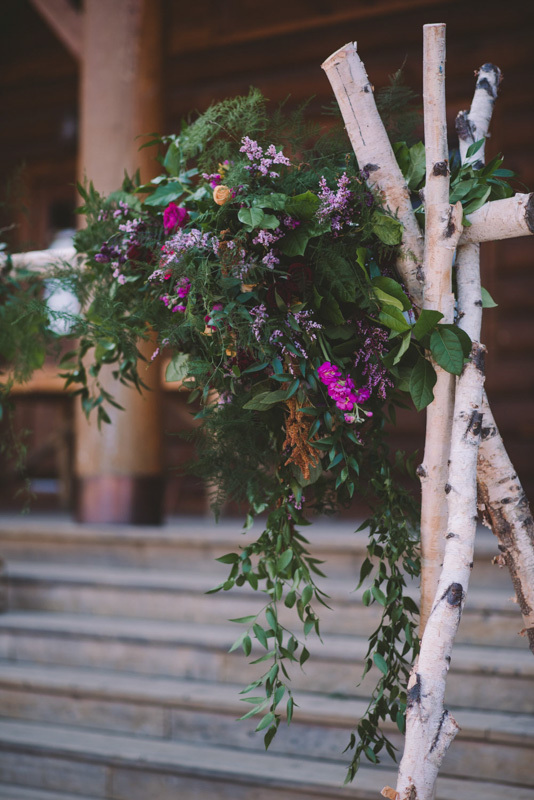 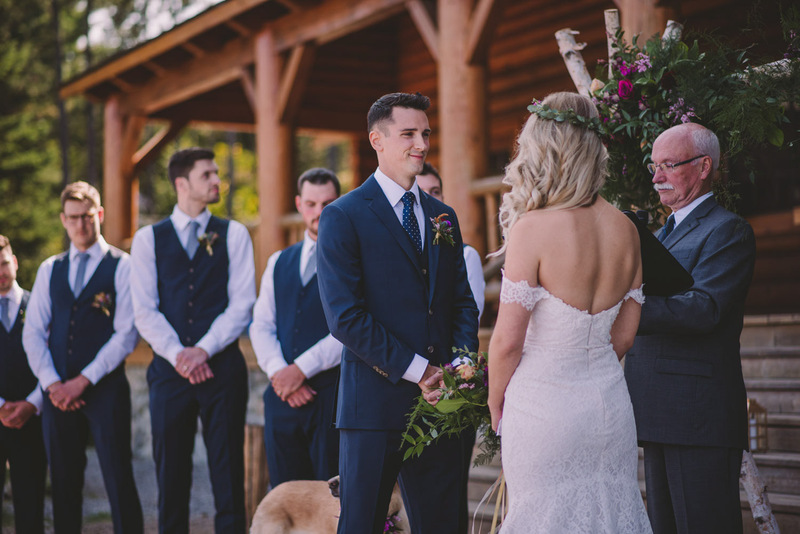 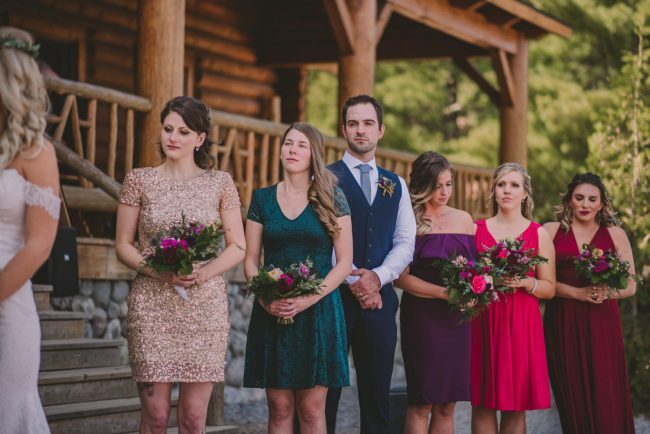 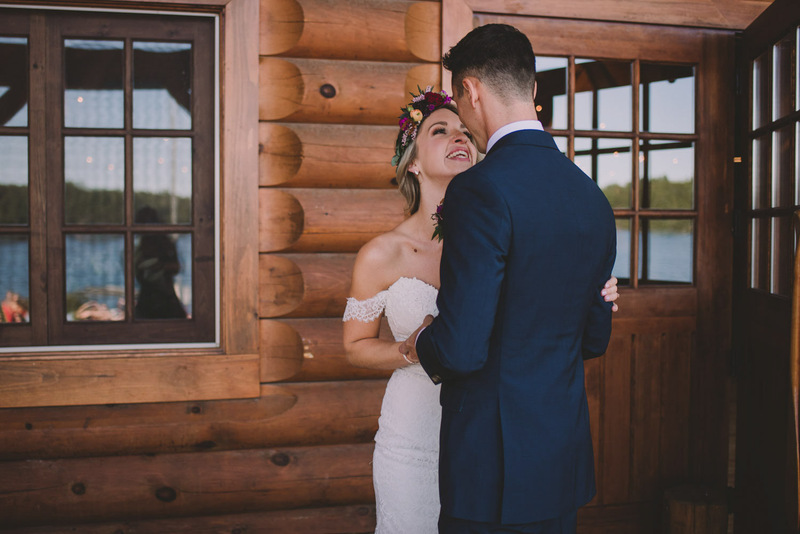 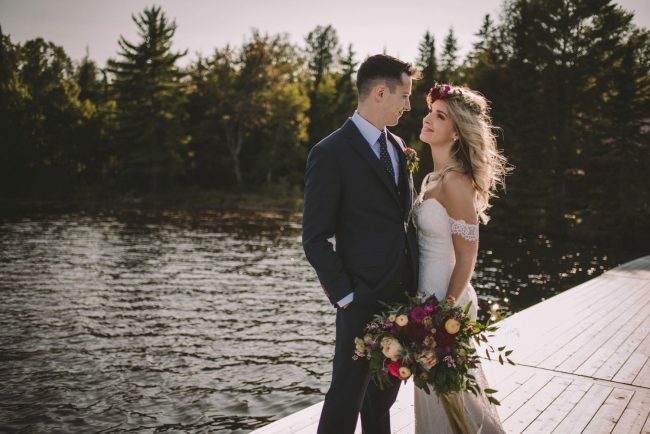 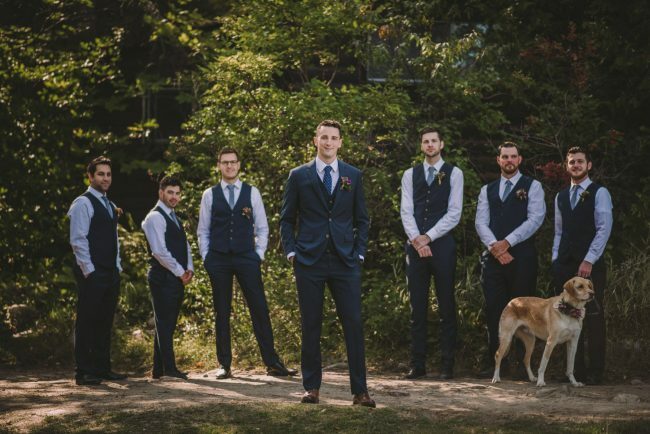 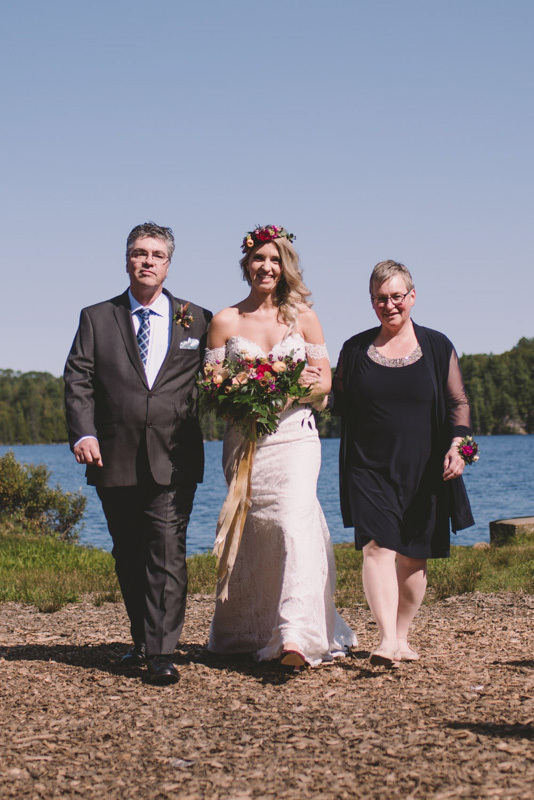 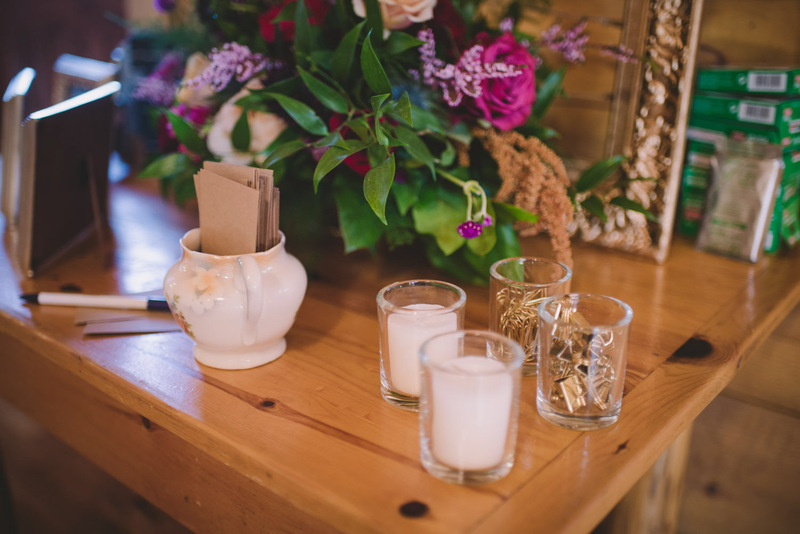 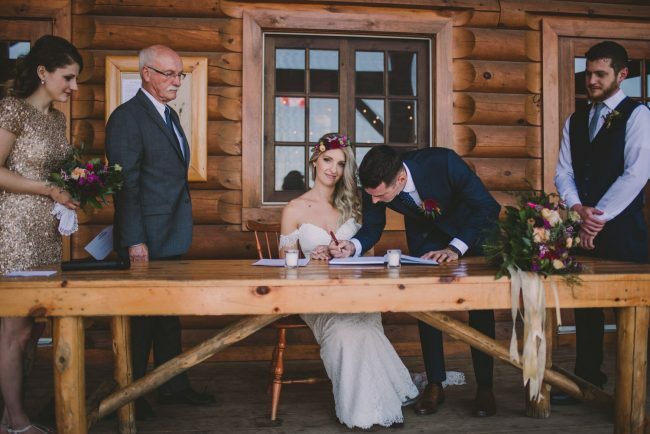 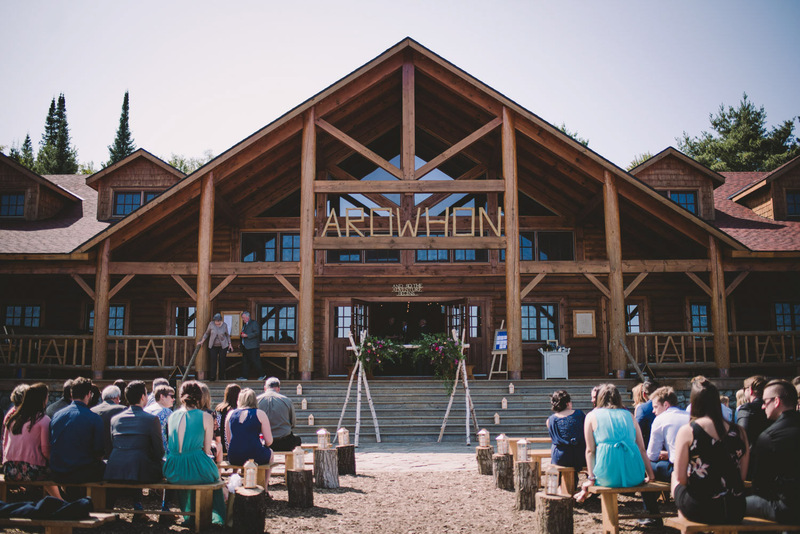 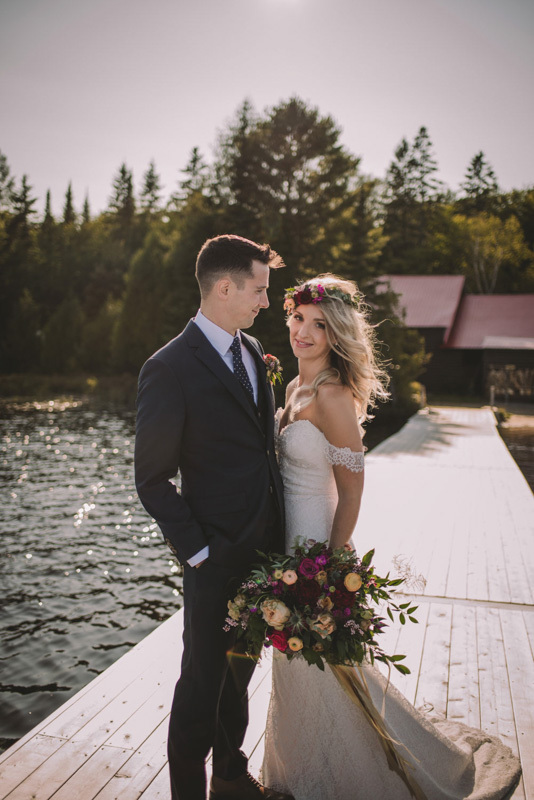 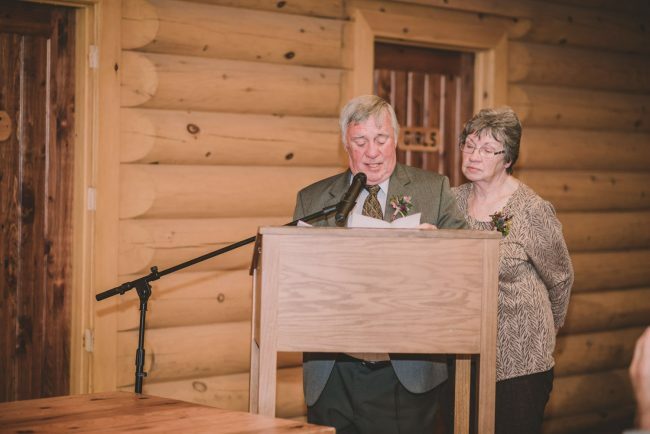 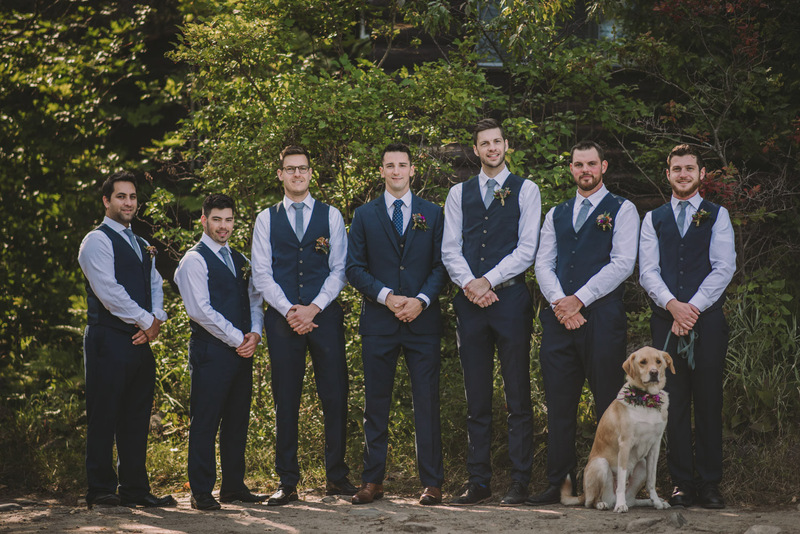 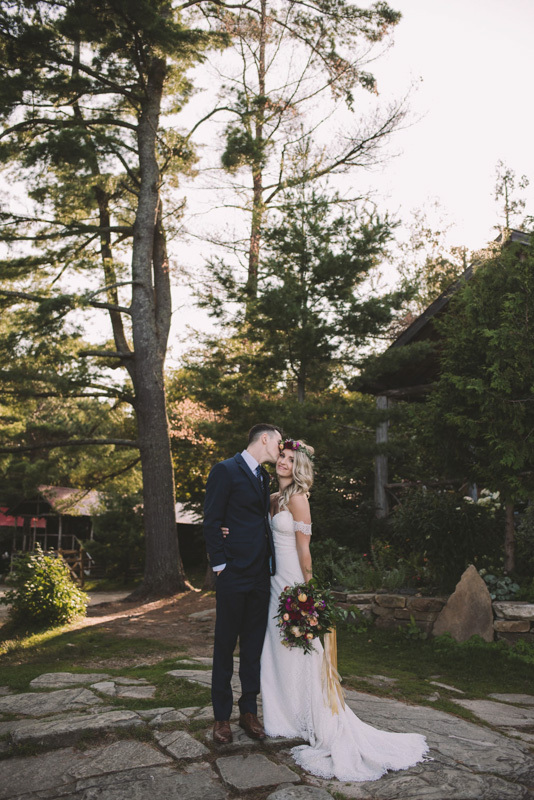 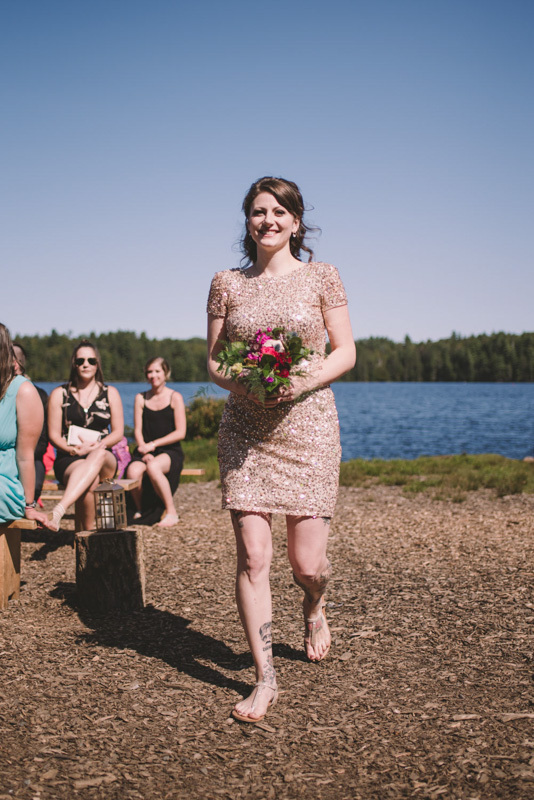 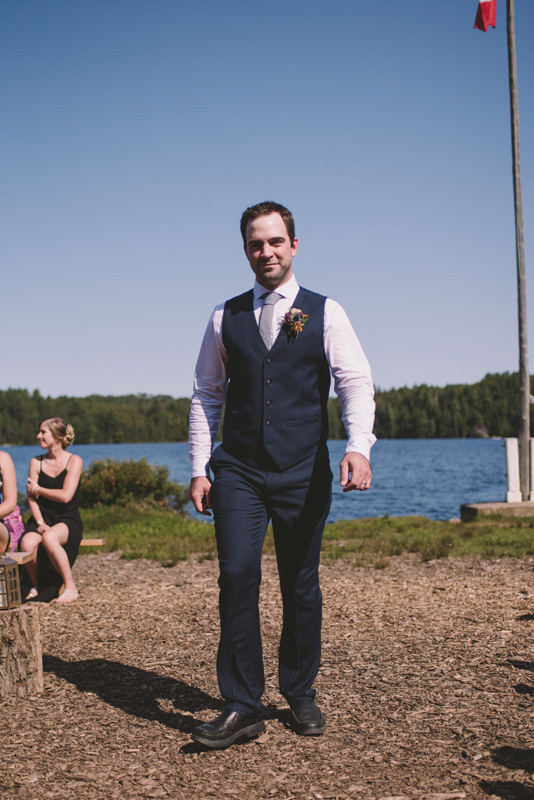 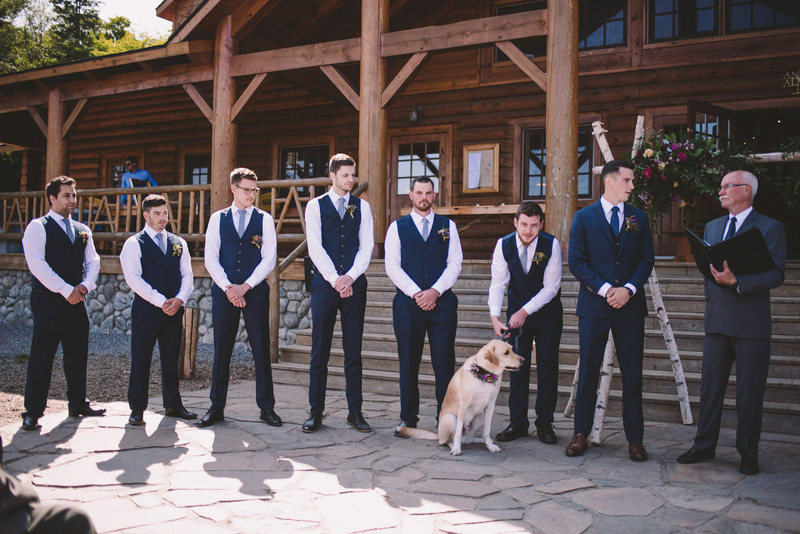 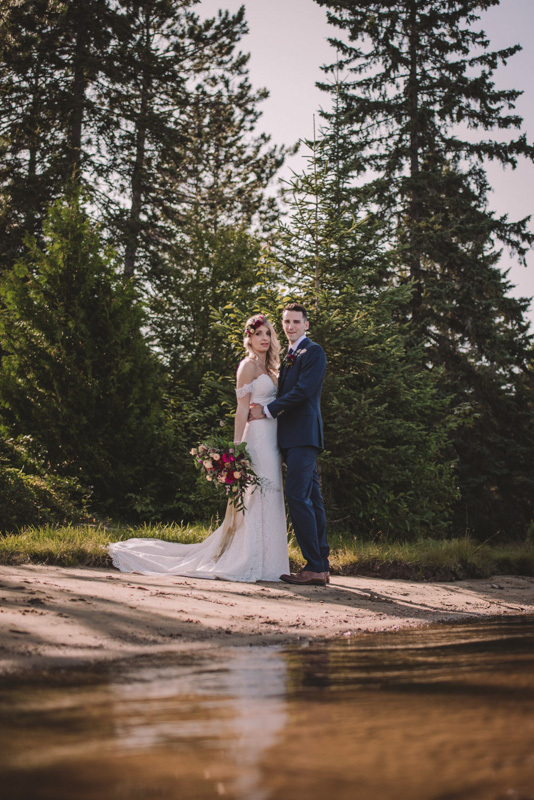 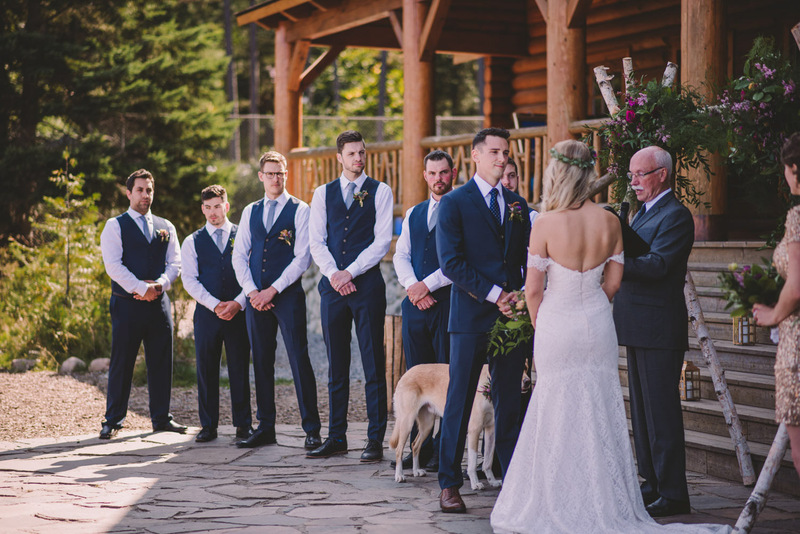 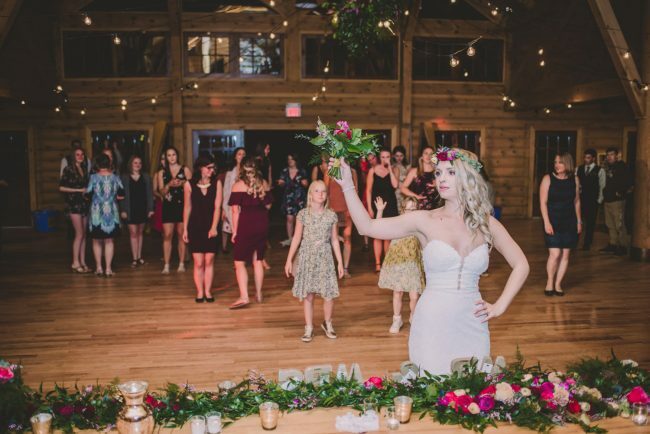 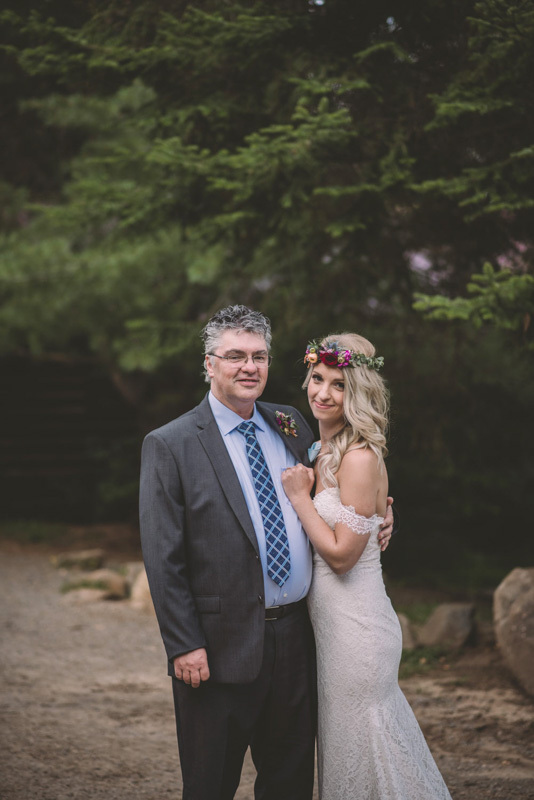 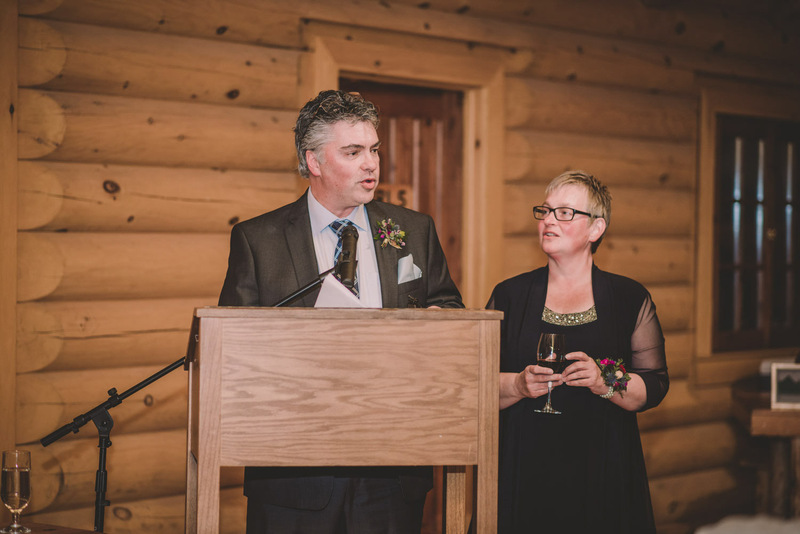 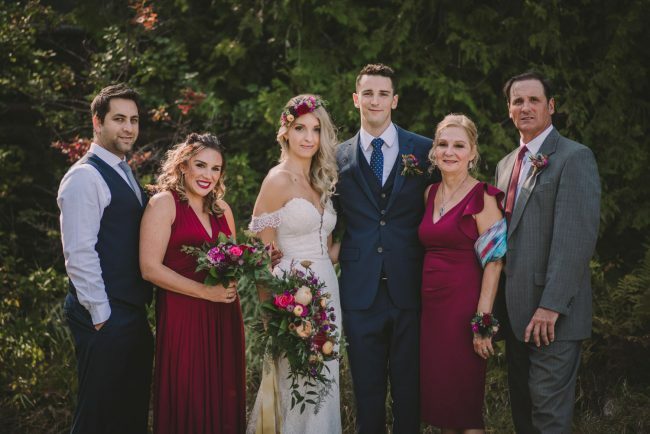 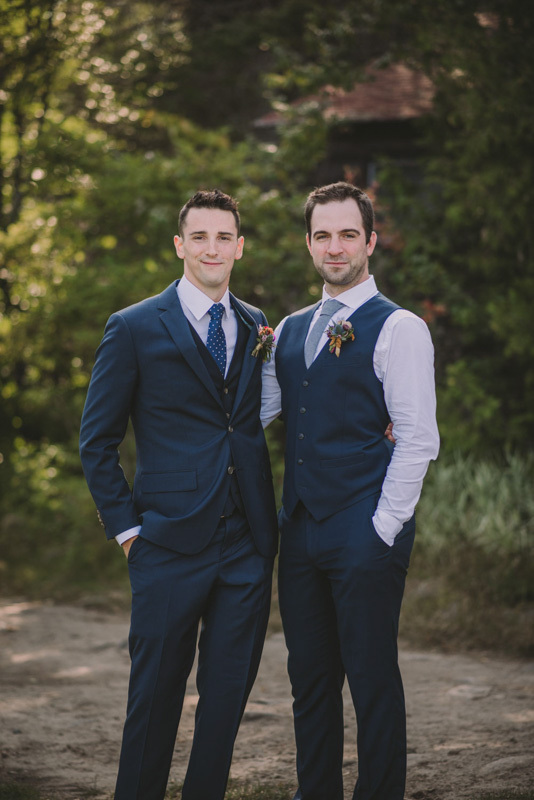 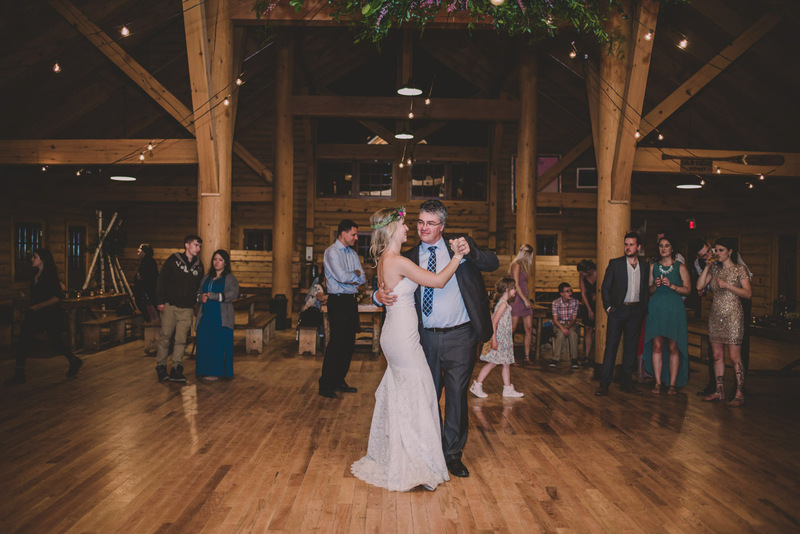 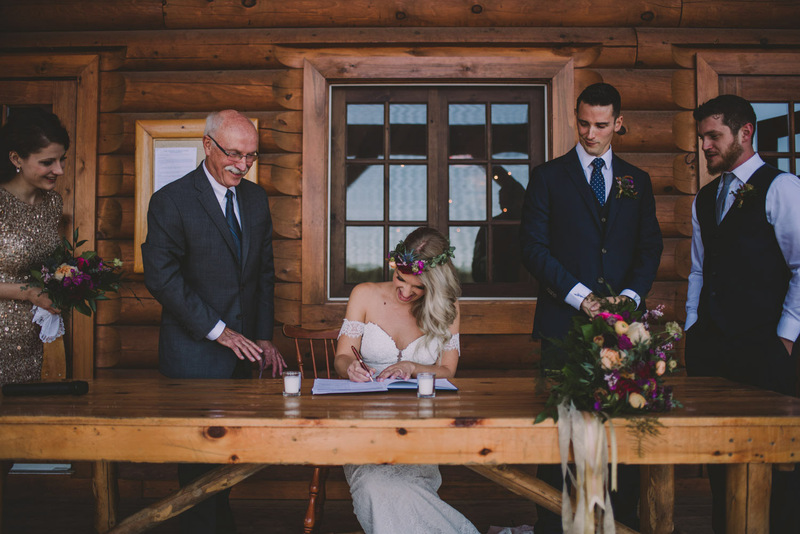 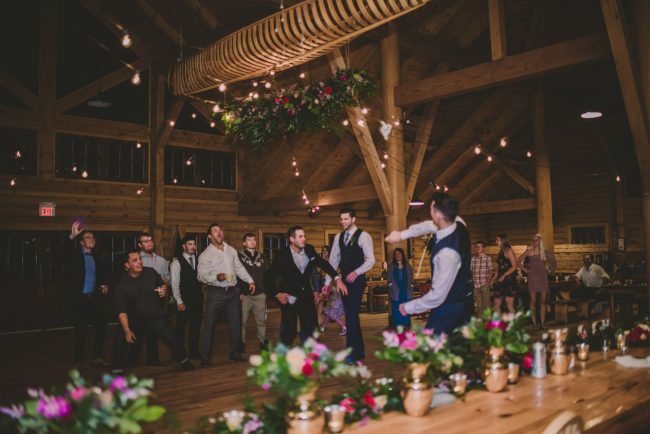 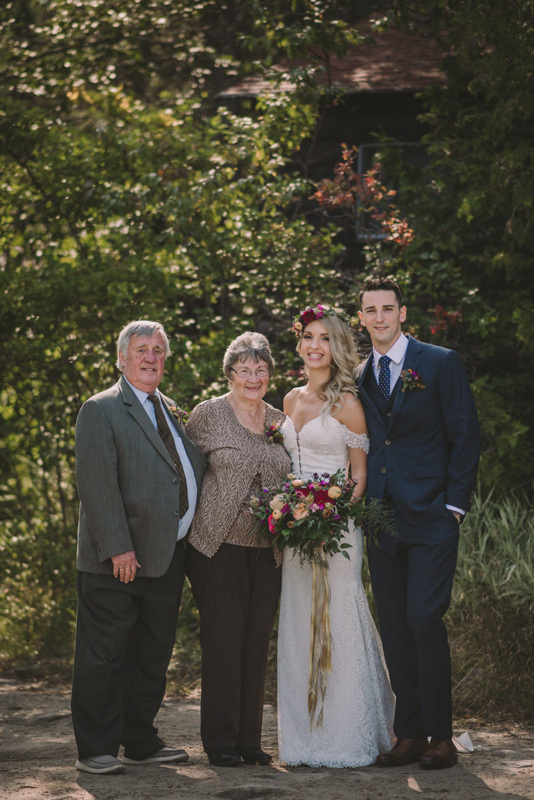 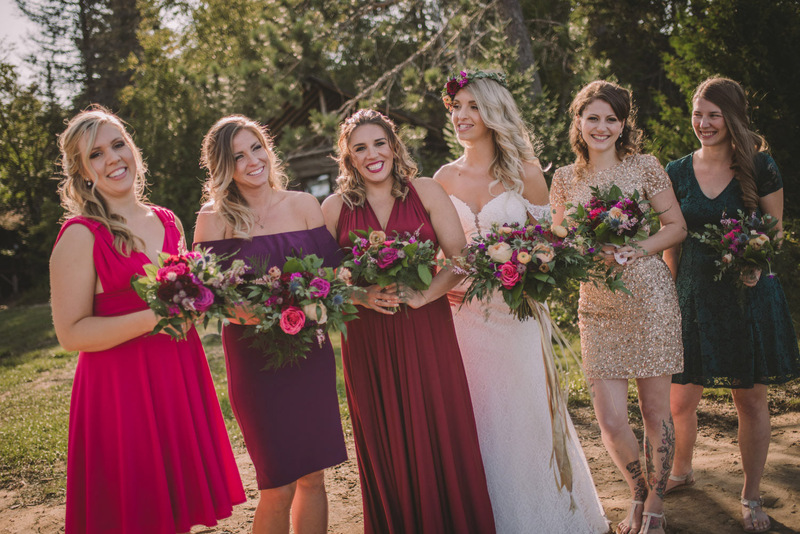 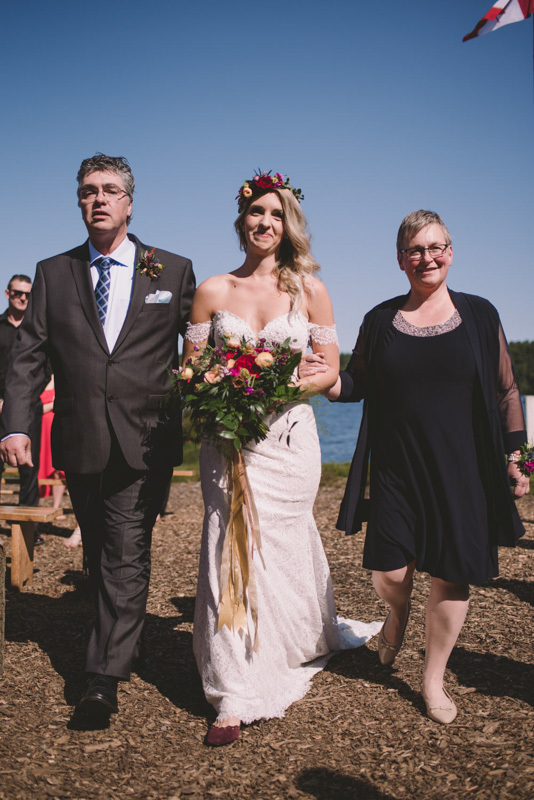 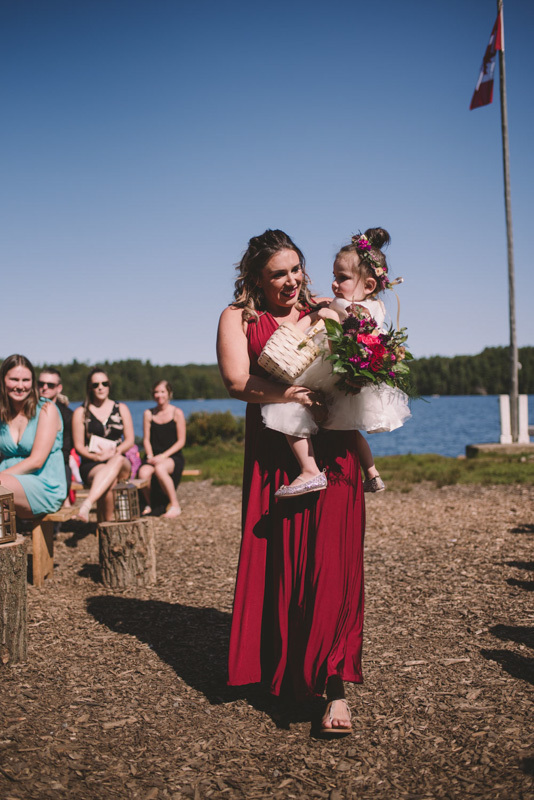 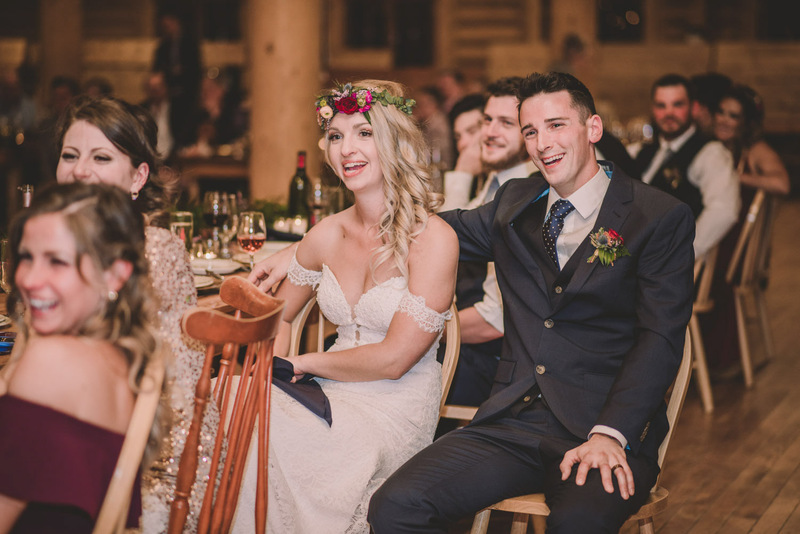 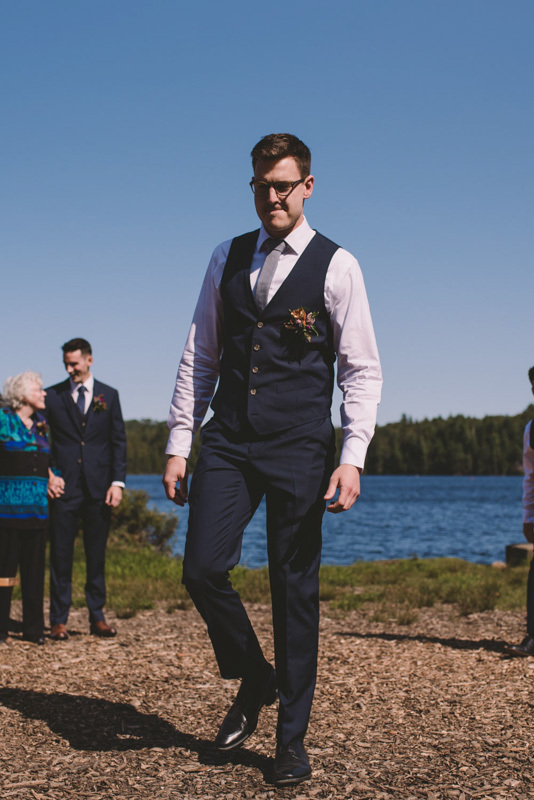 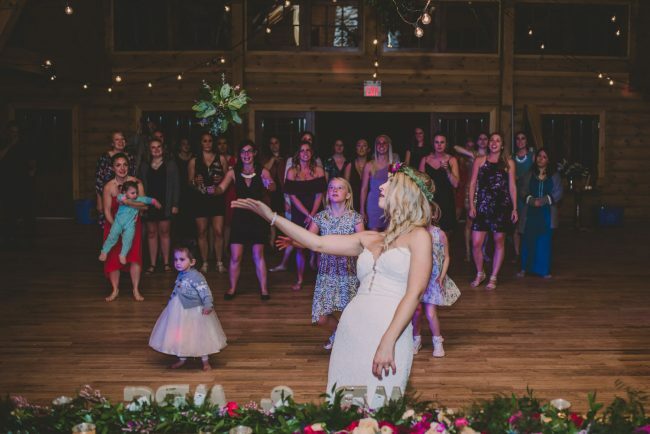 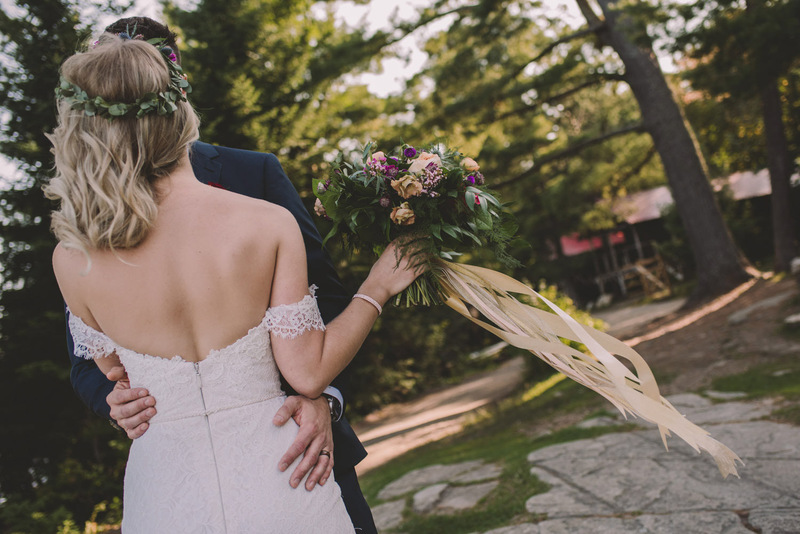 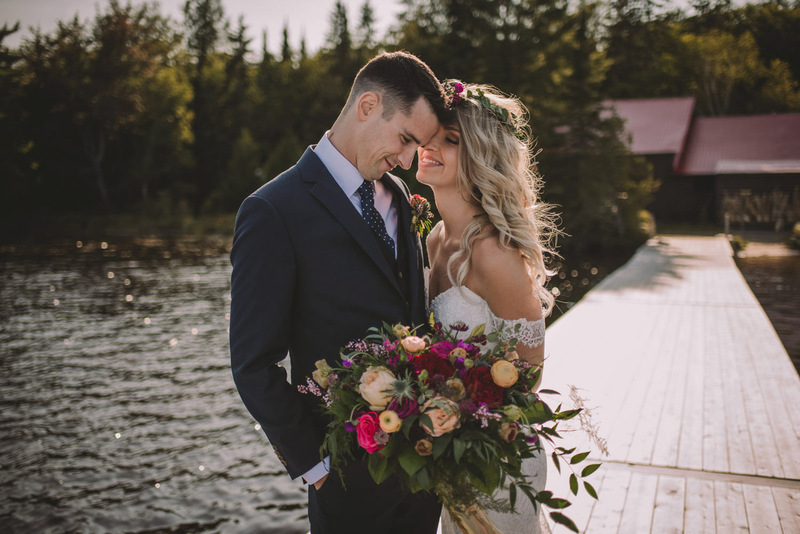 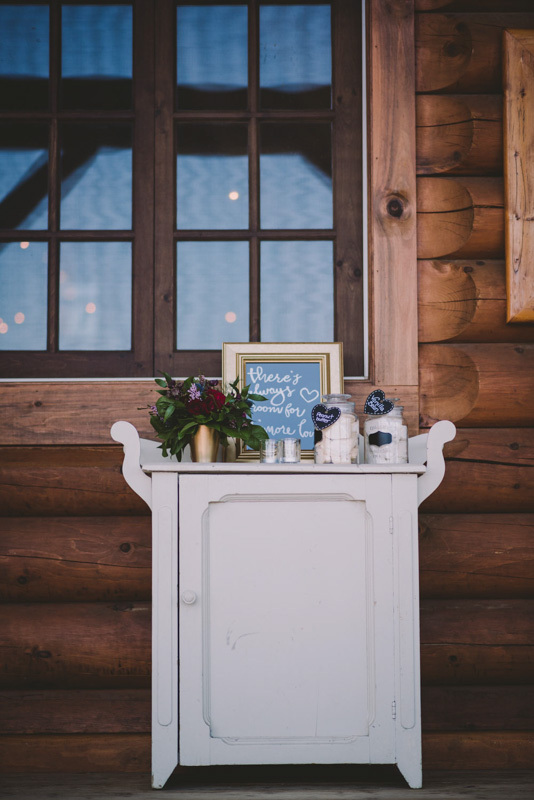 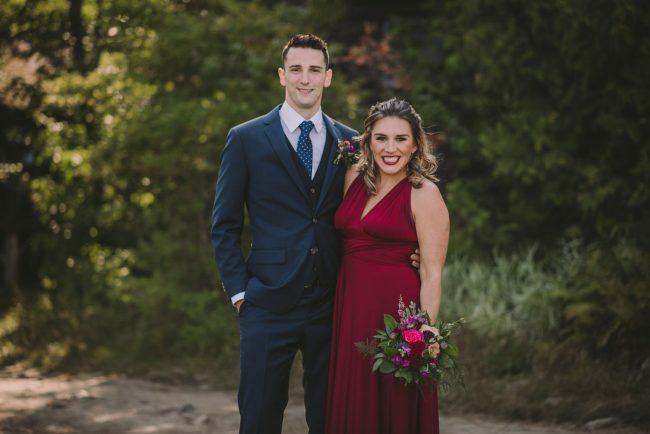 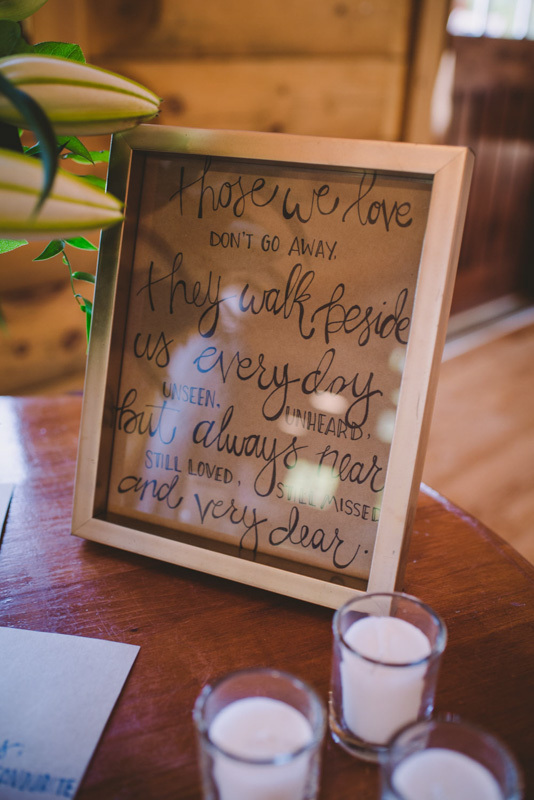 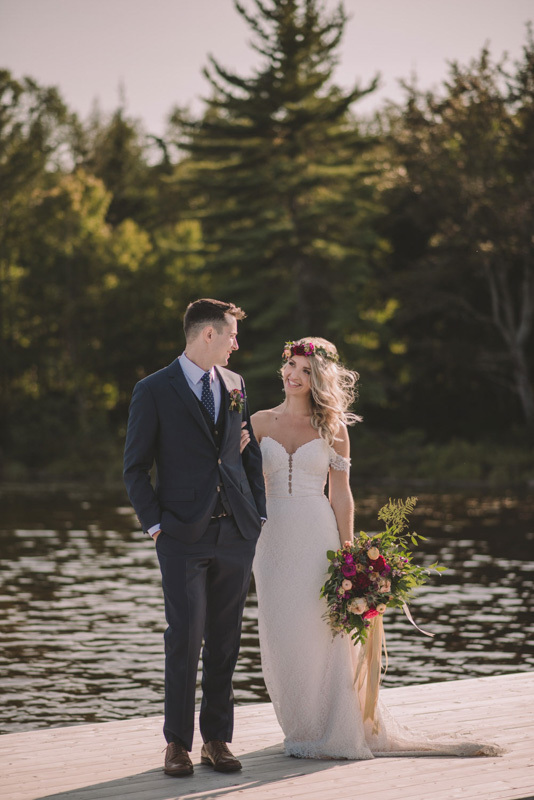 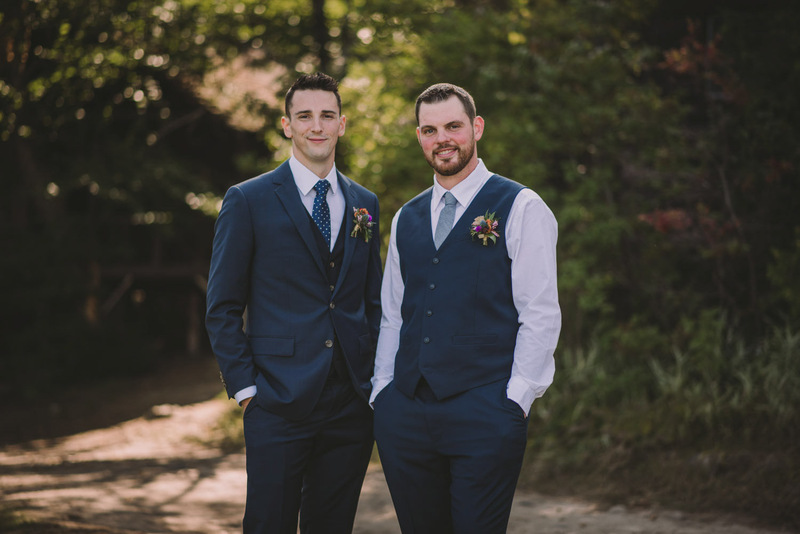 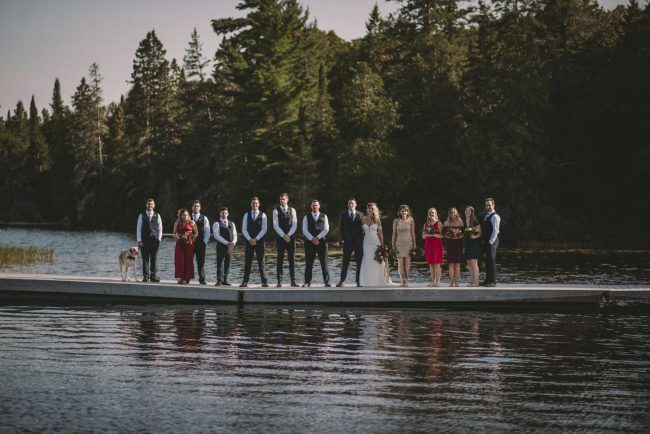 Christy and Justin’s wedding took place in the fall at Camp Arowhon in Algonquin Park. 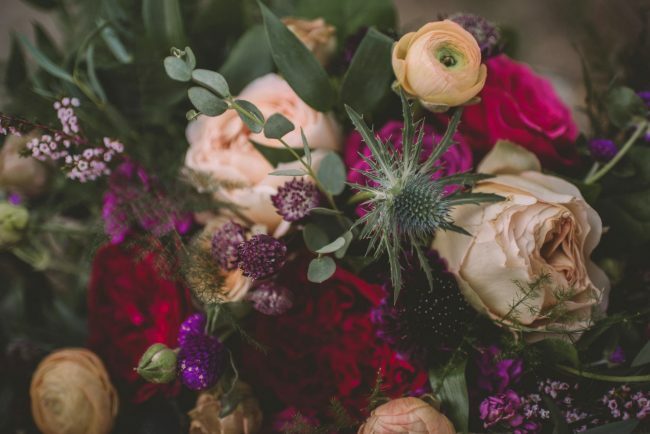 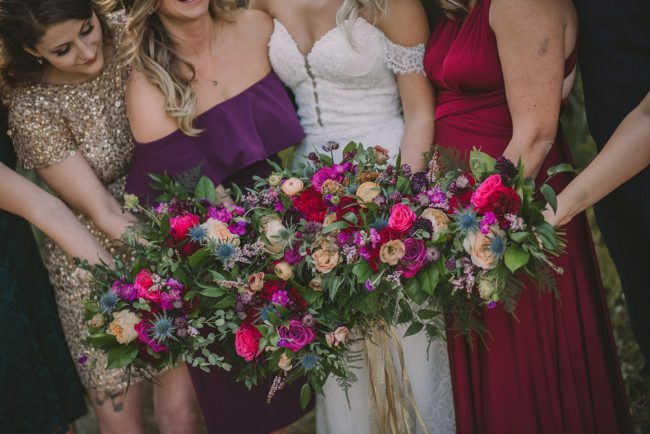 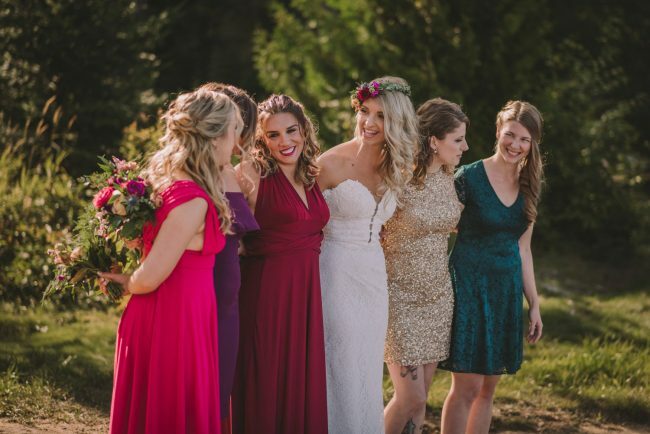 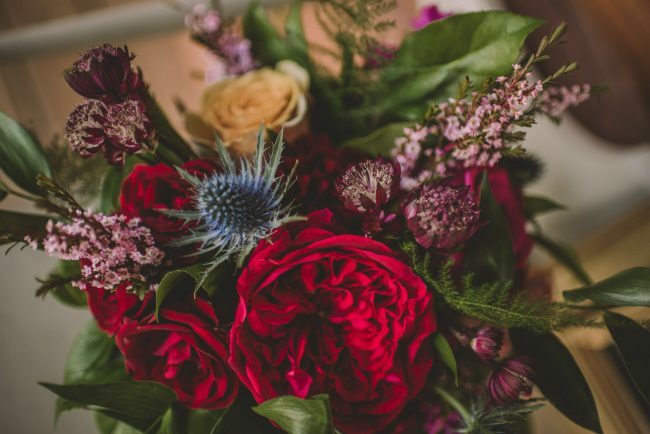 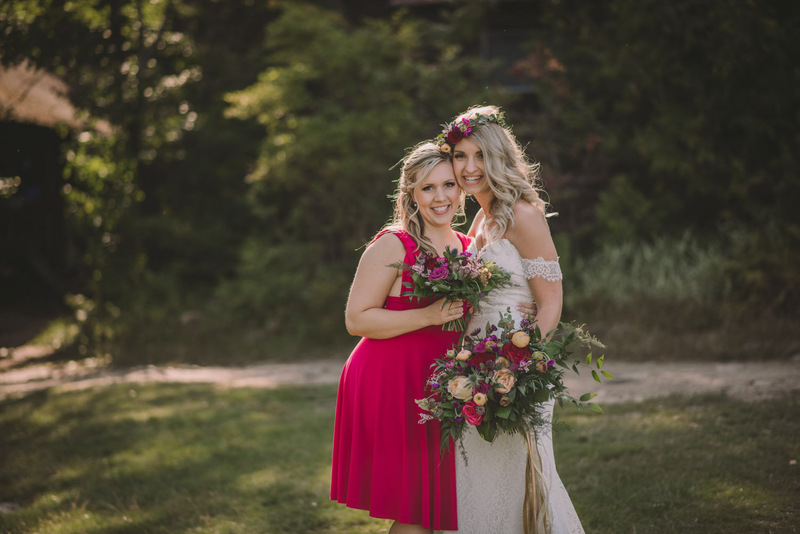 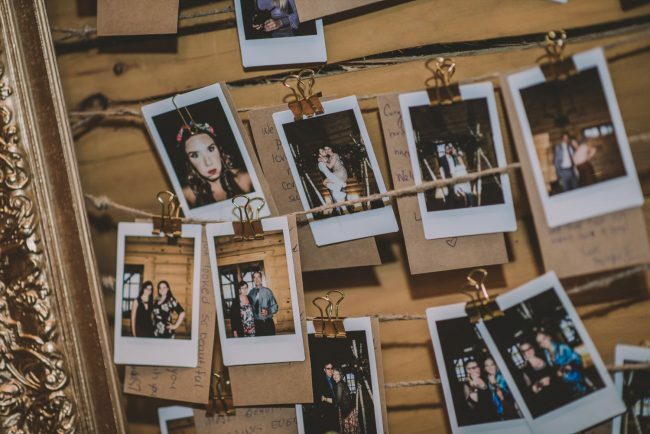 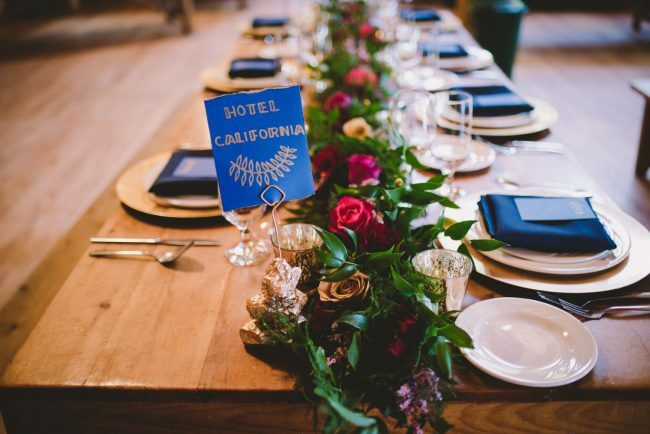 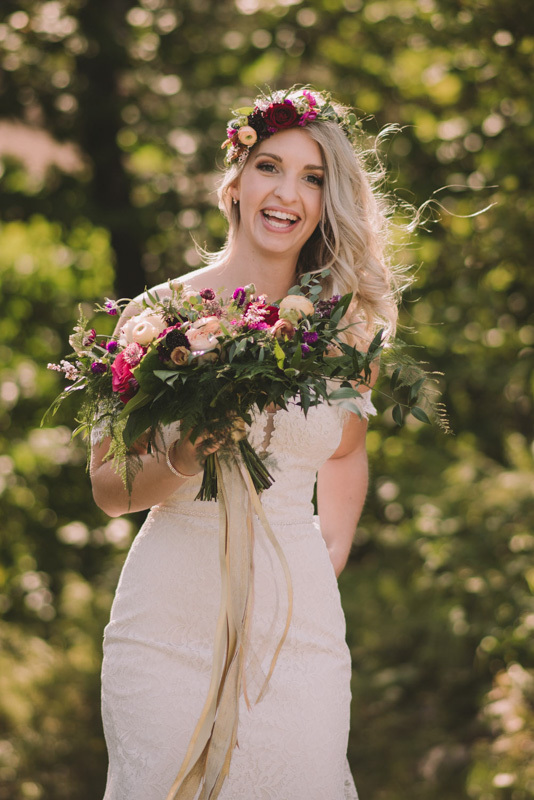 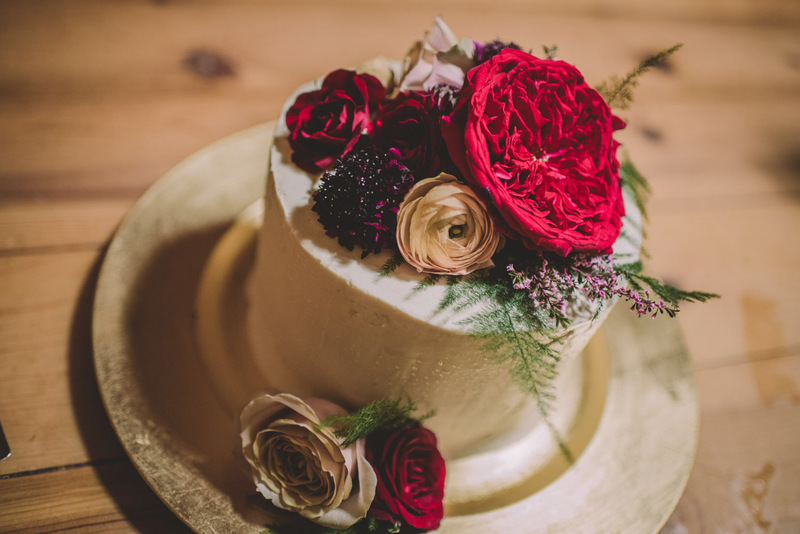 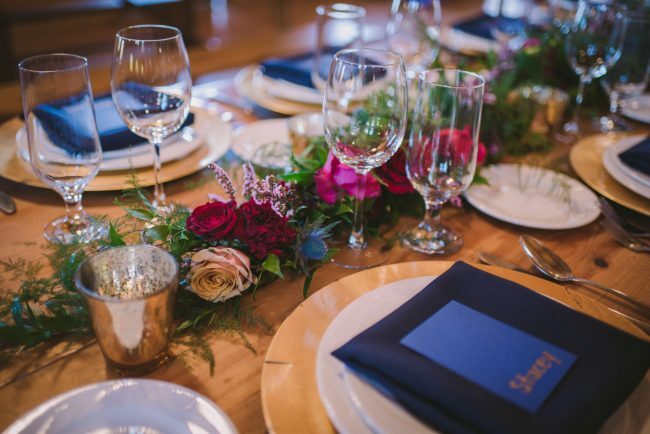 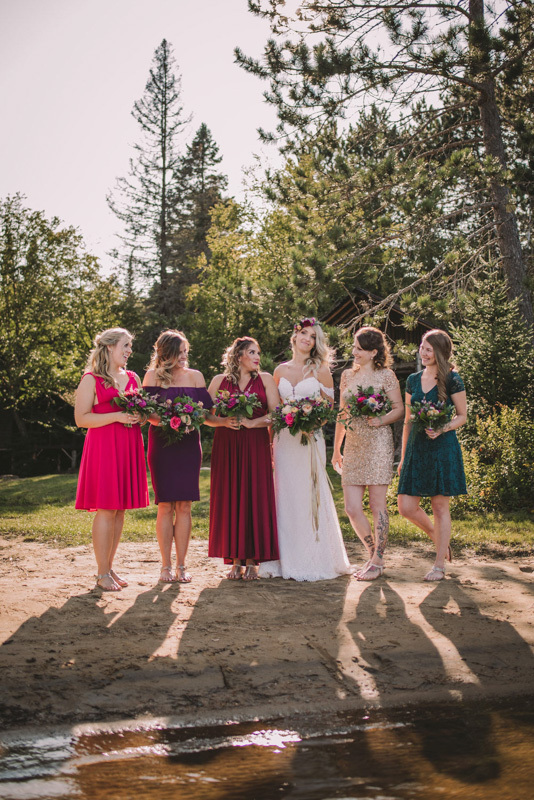 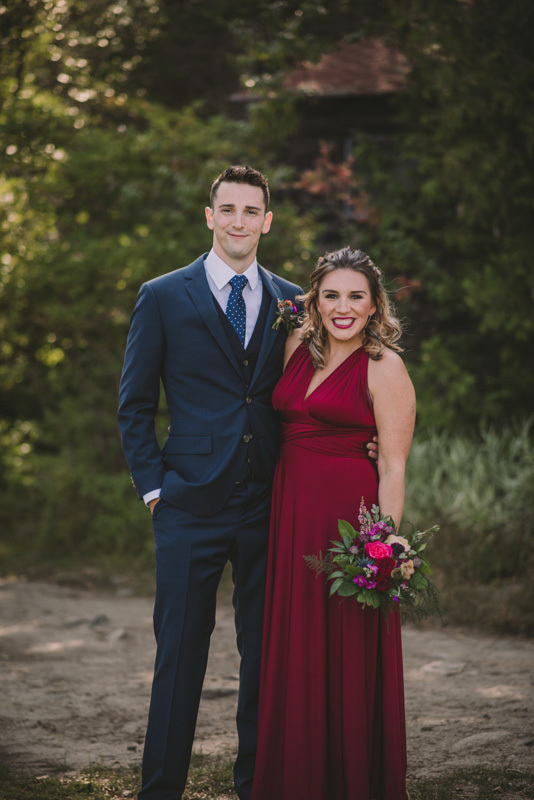 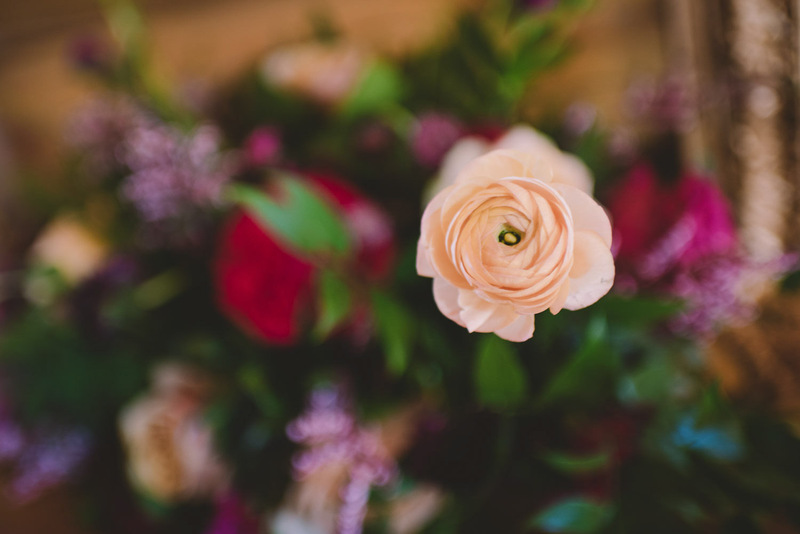 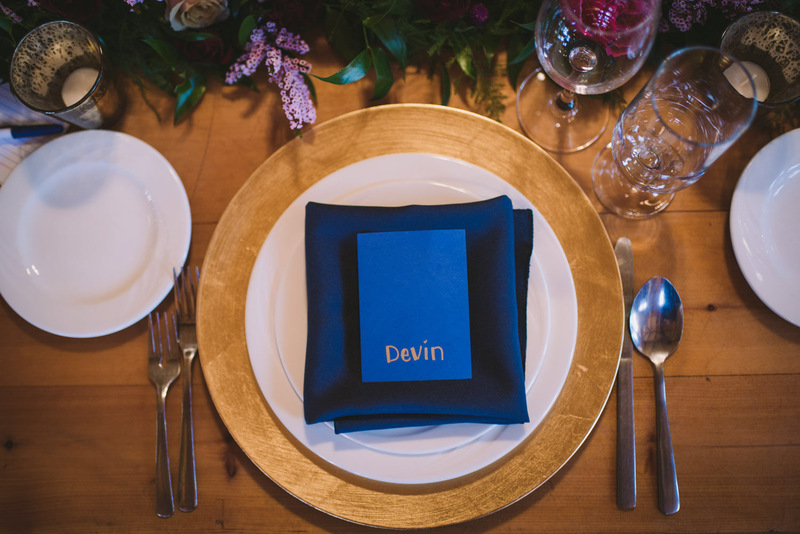 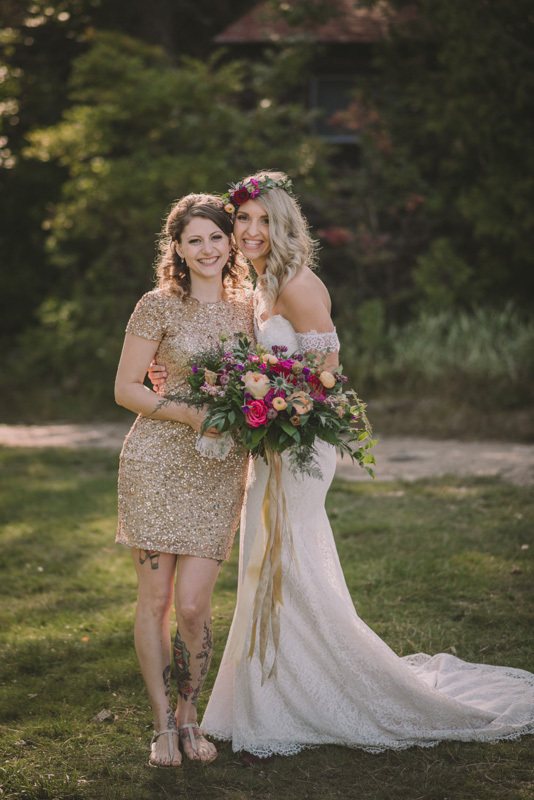 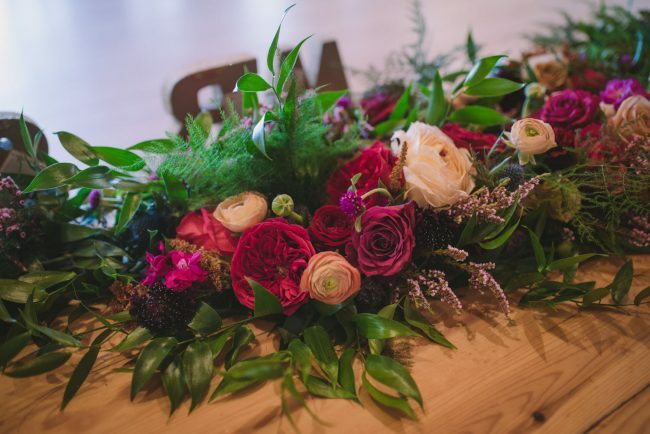 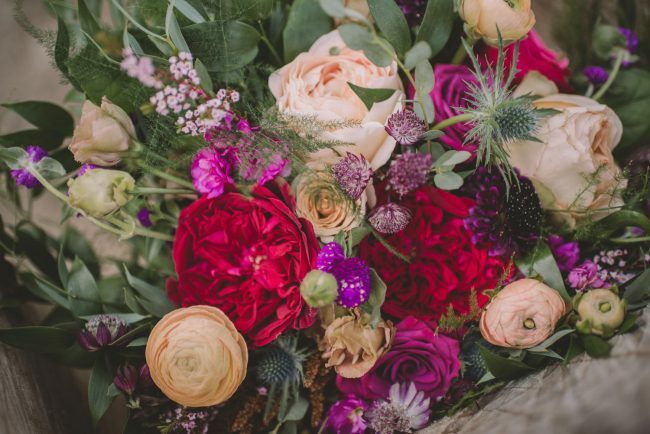 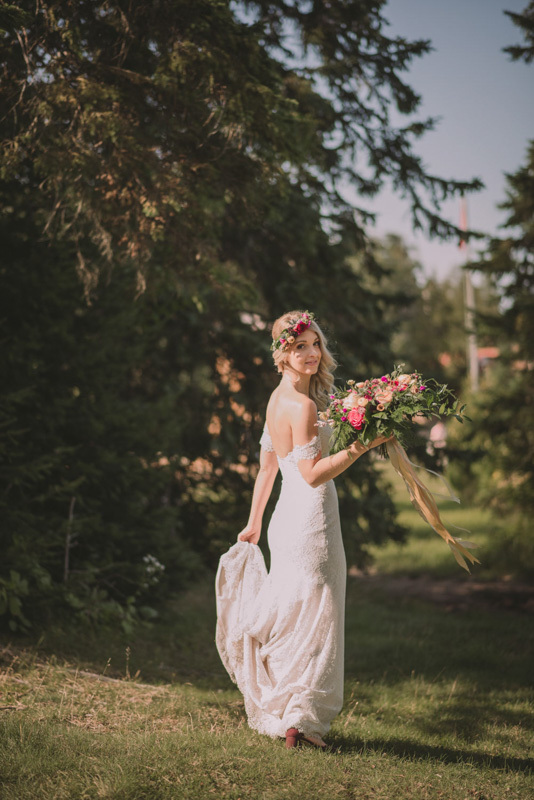 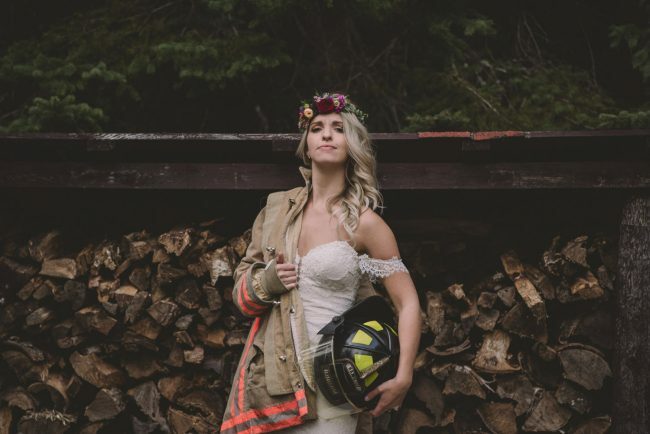 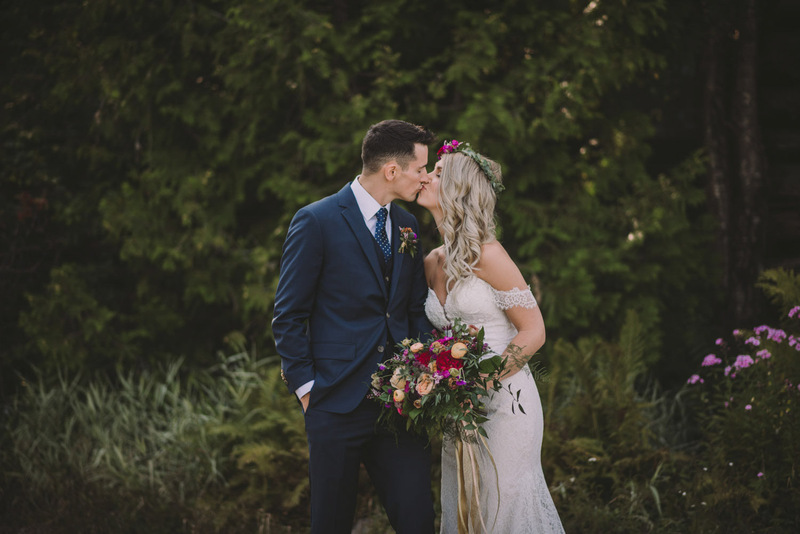 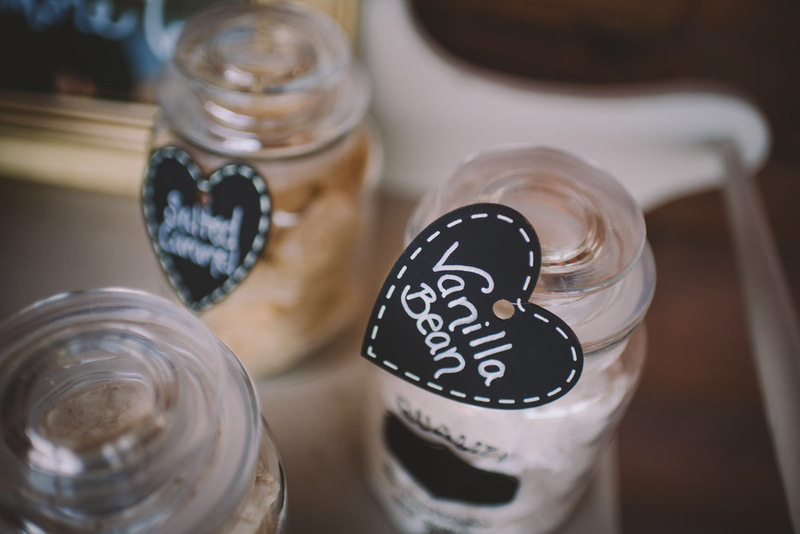 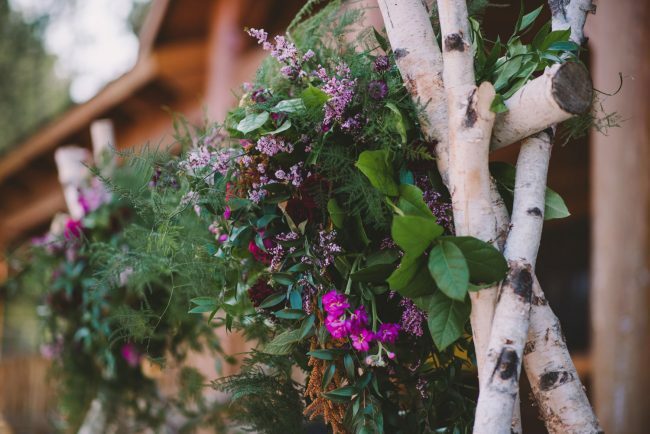 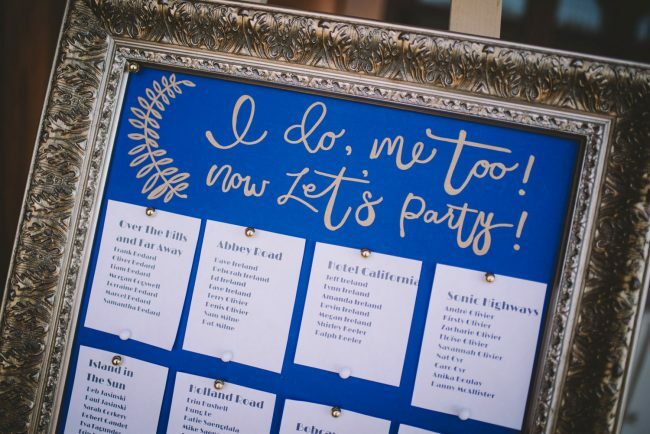 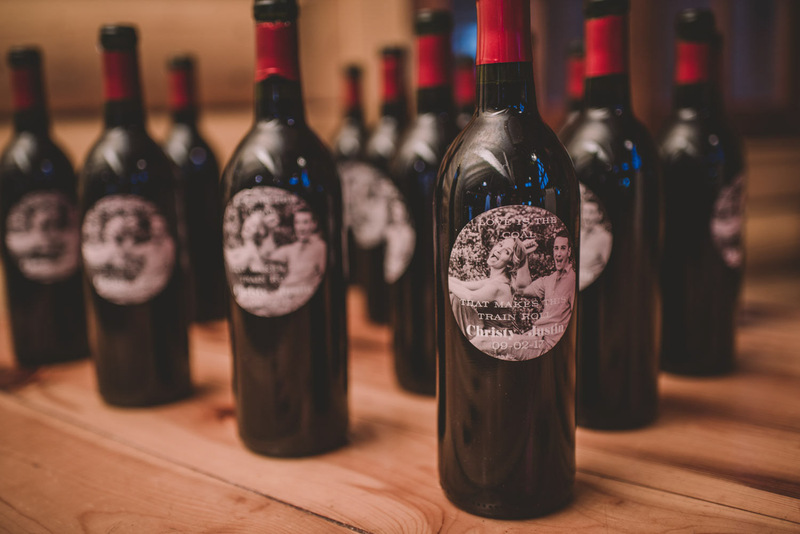 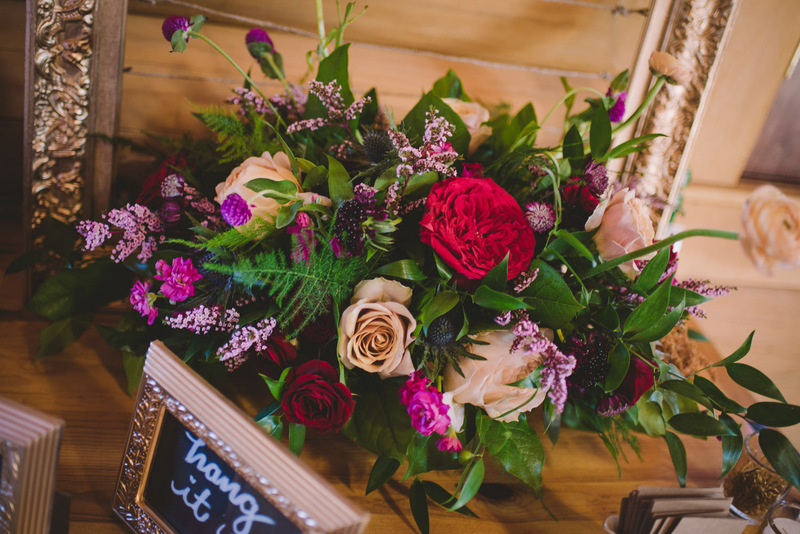 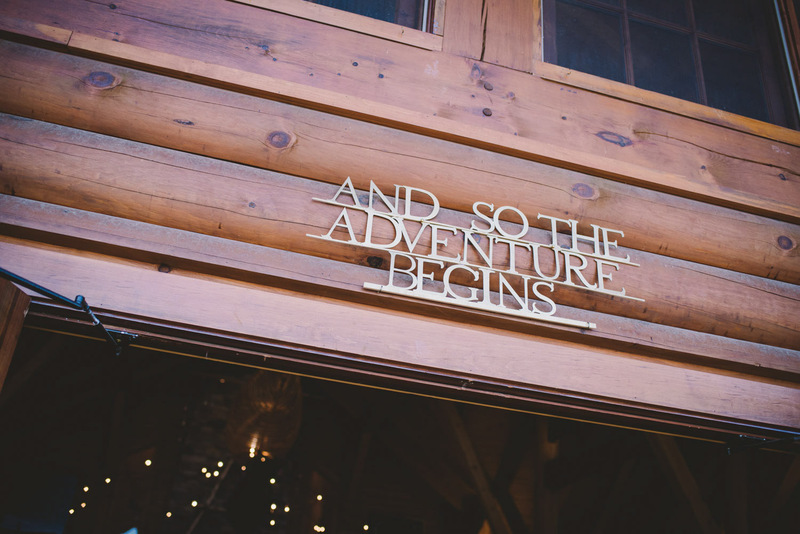 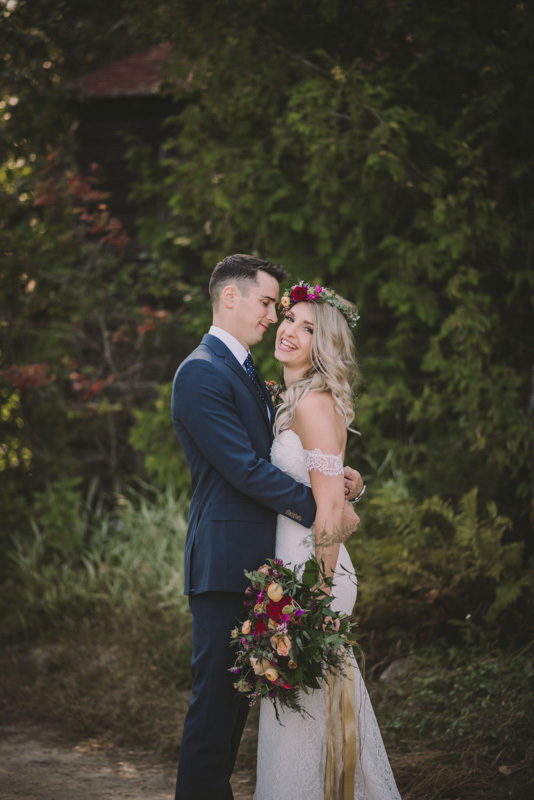 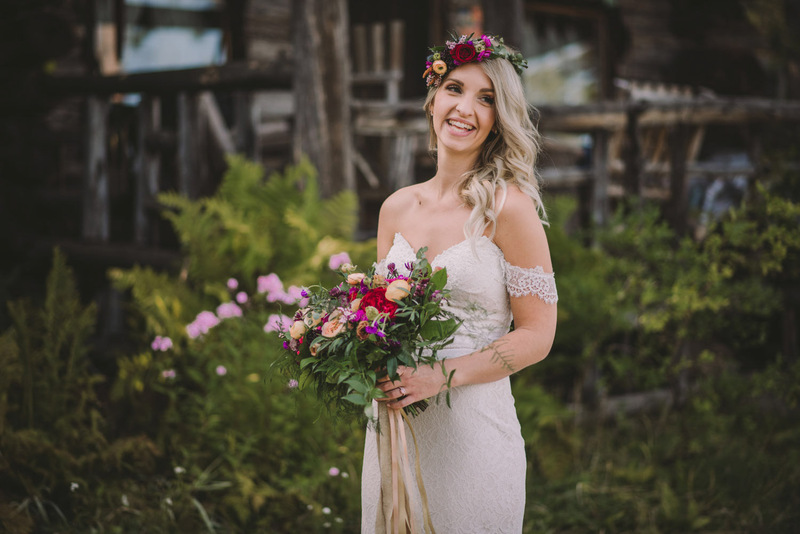 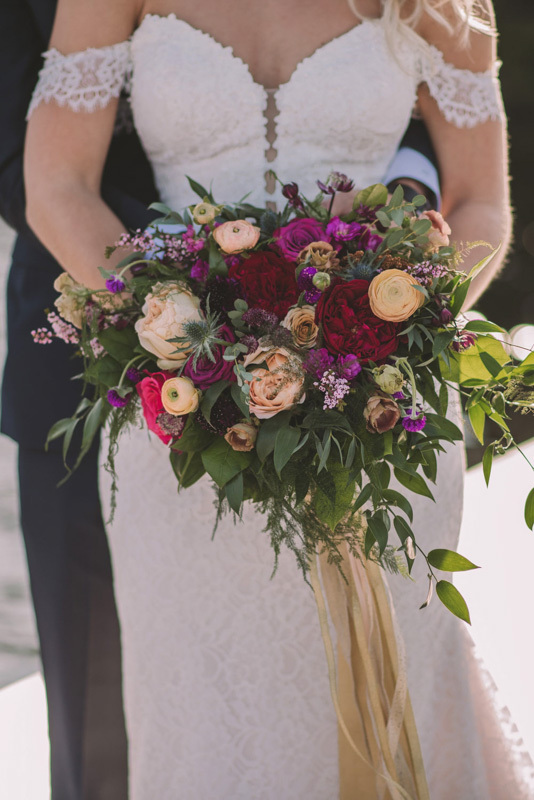 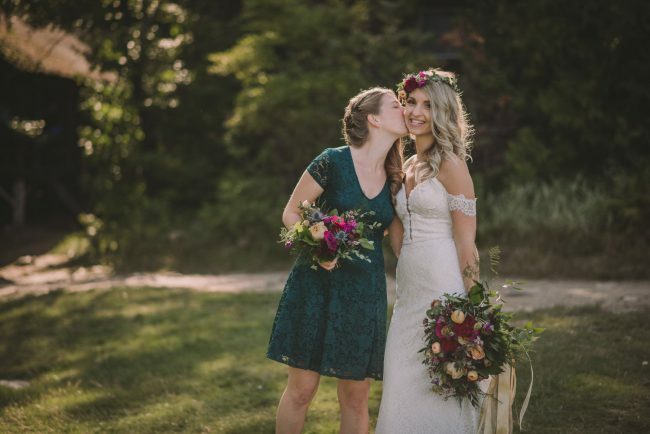 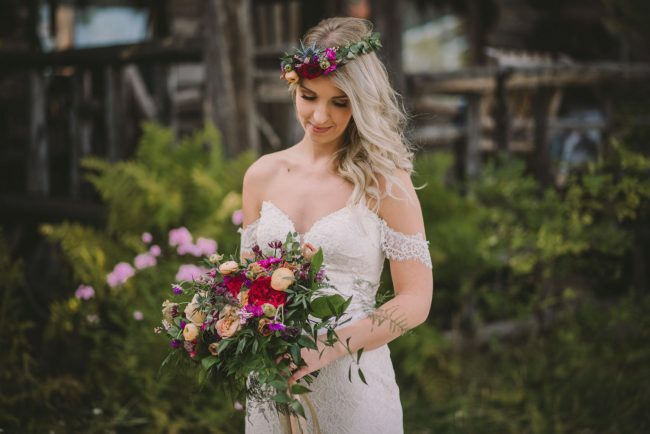 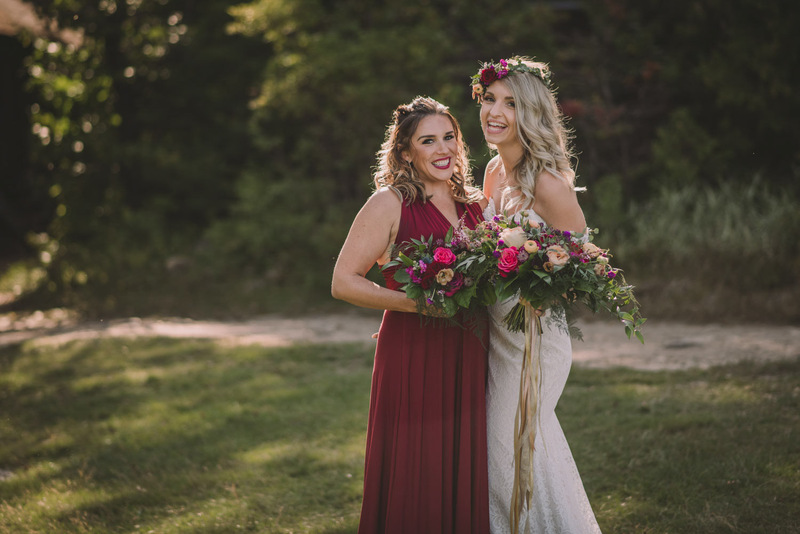 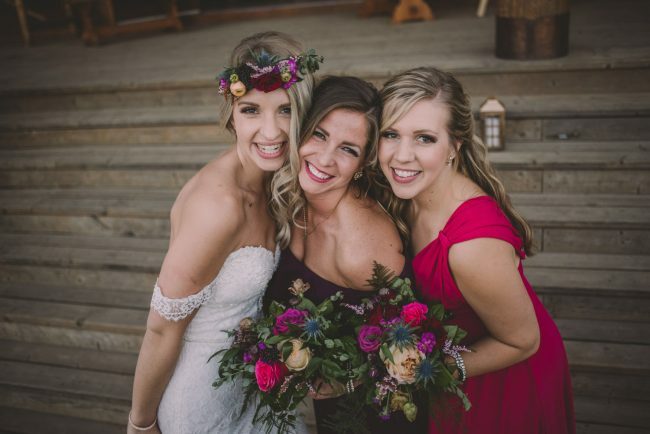 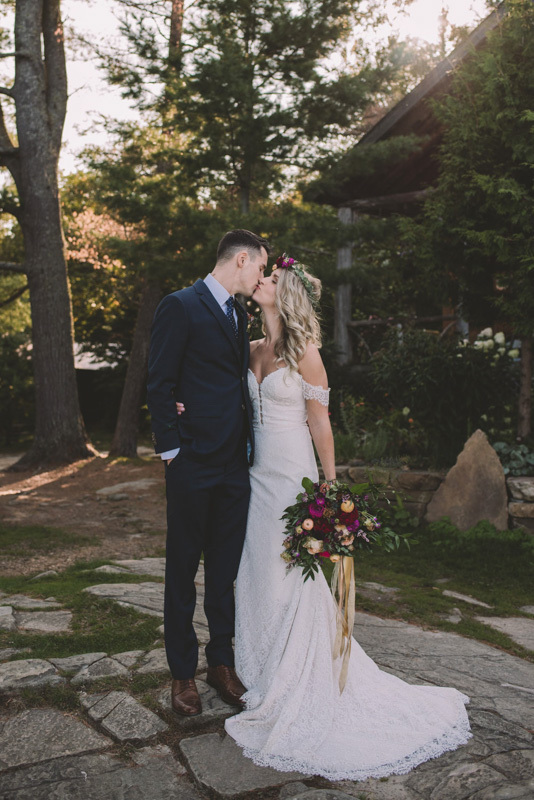 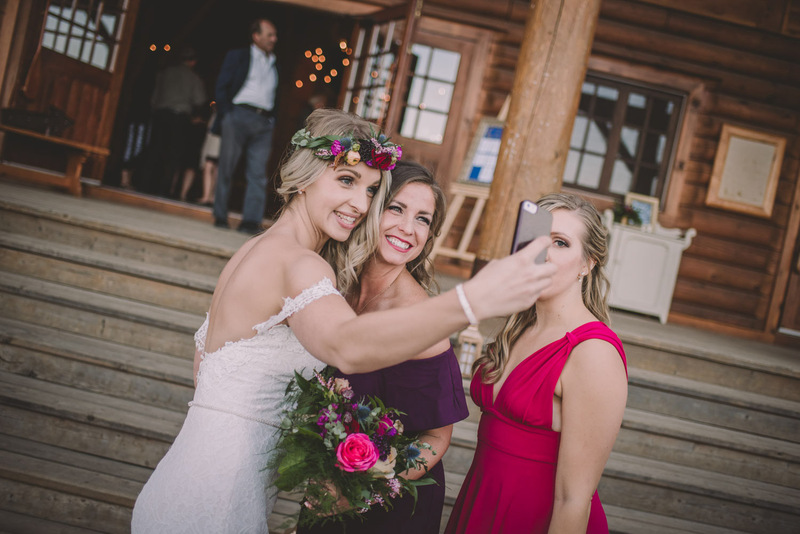 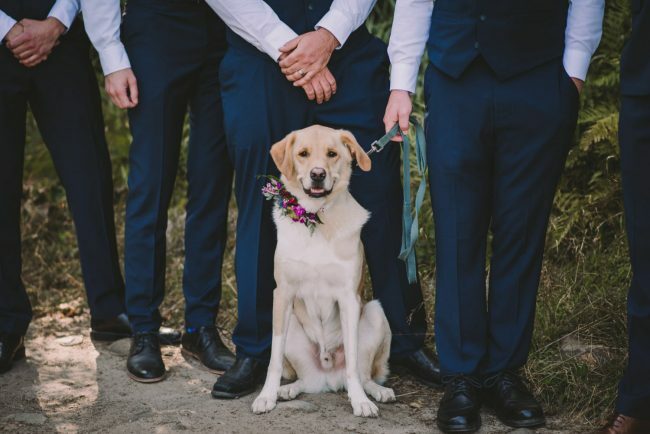 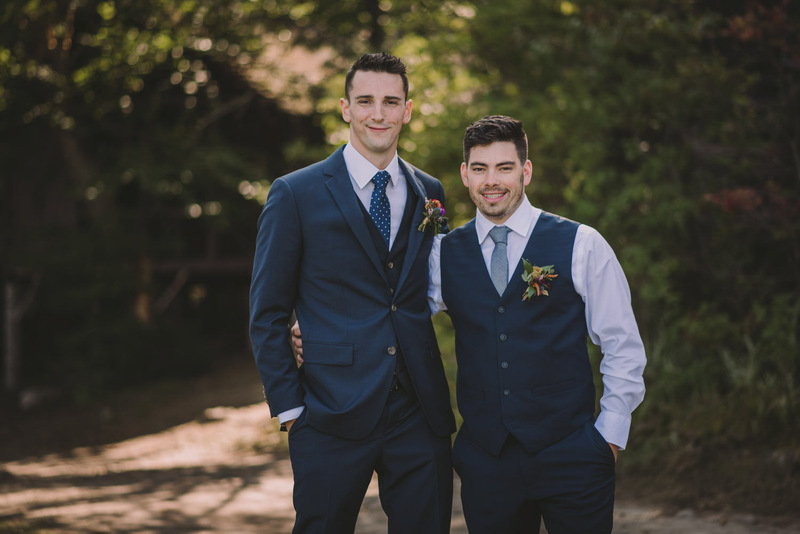 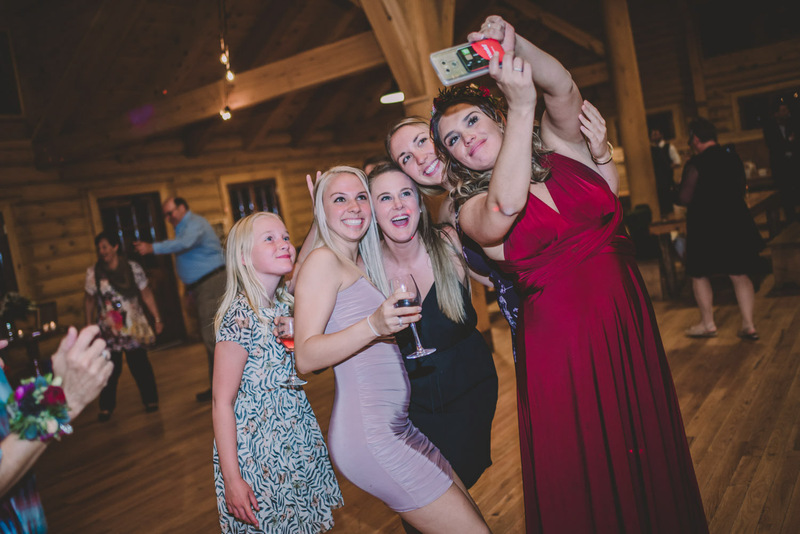 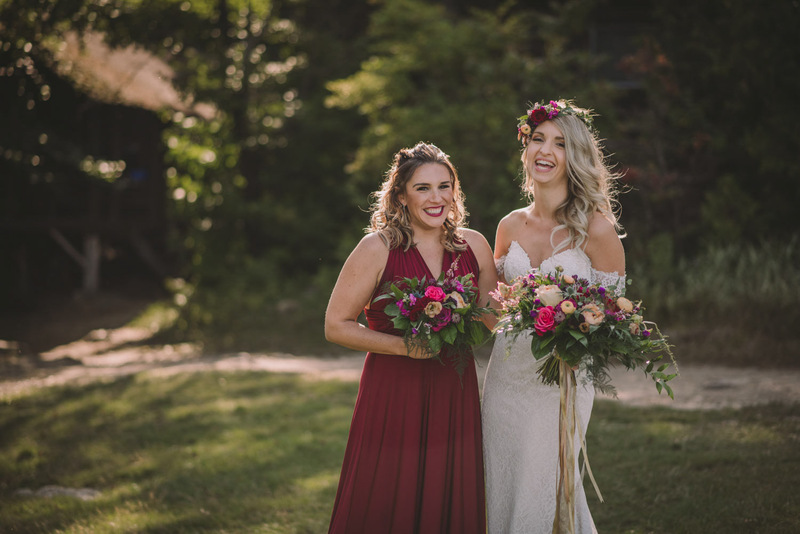 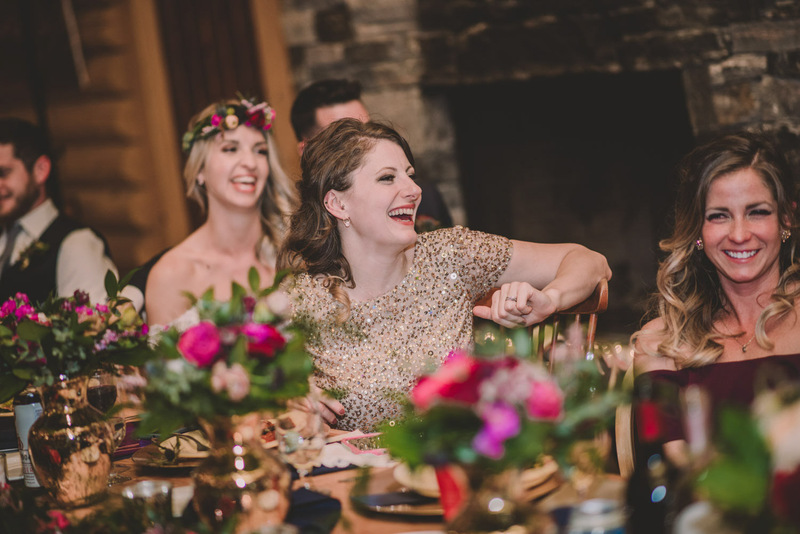 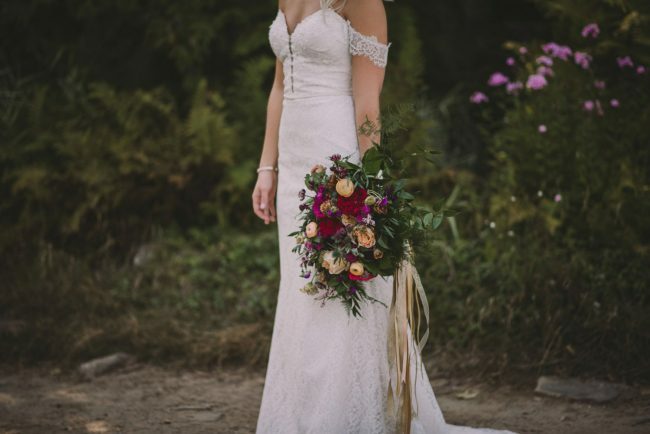 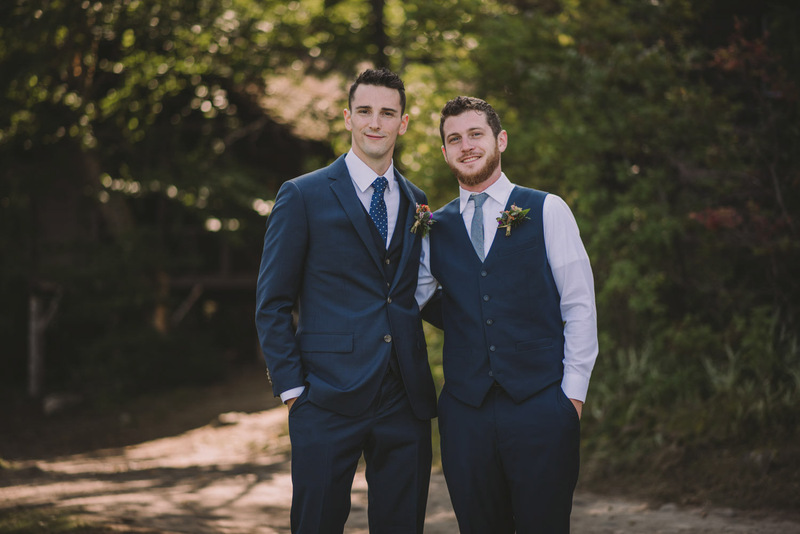 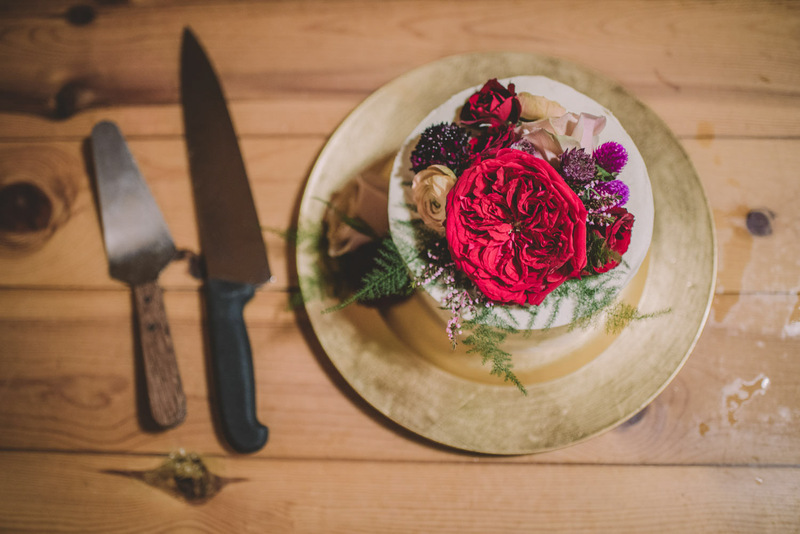 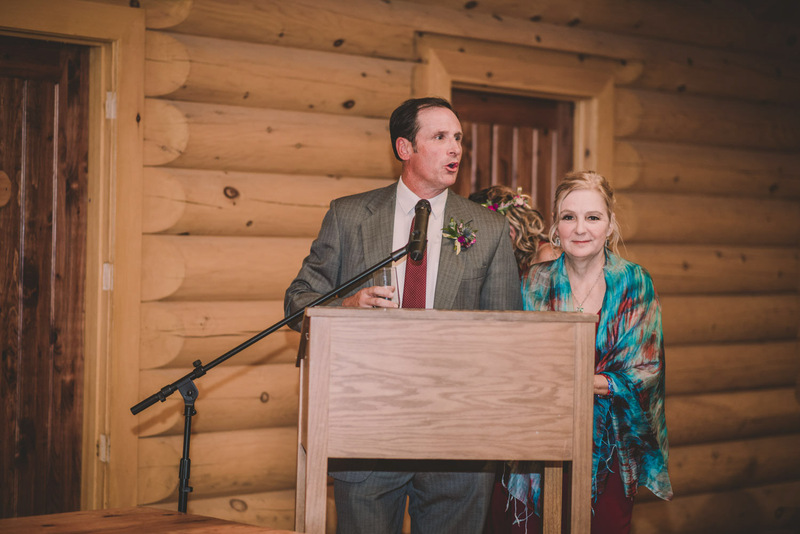 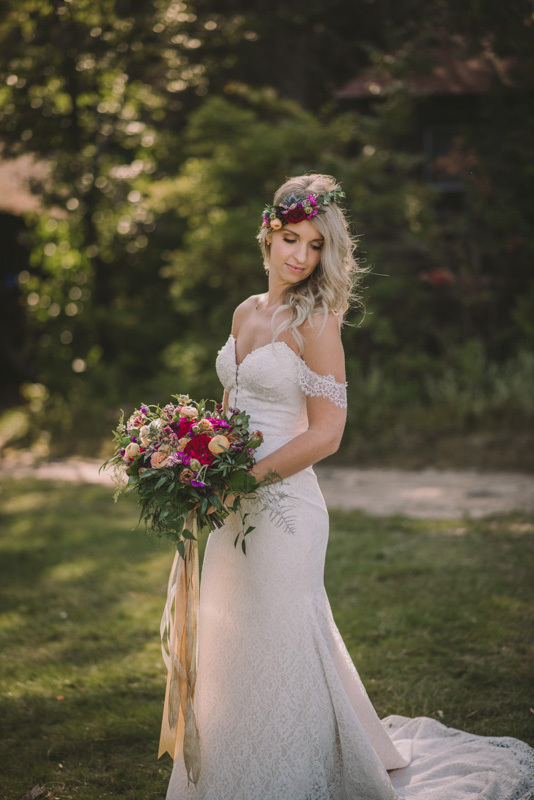 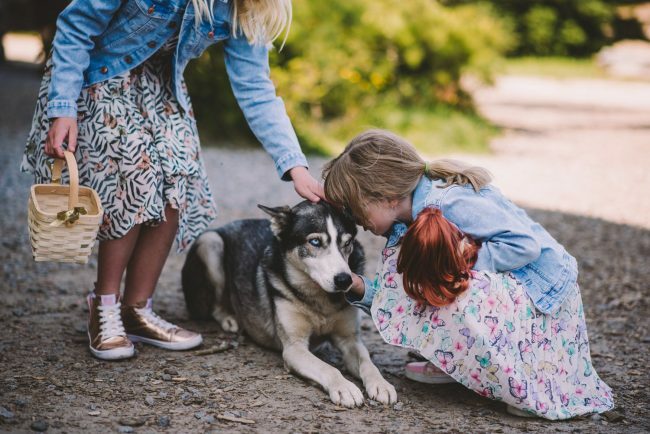 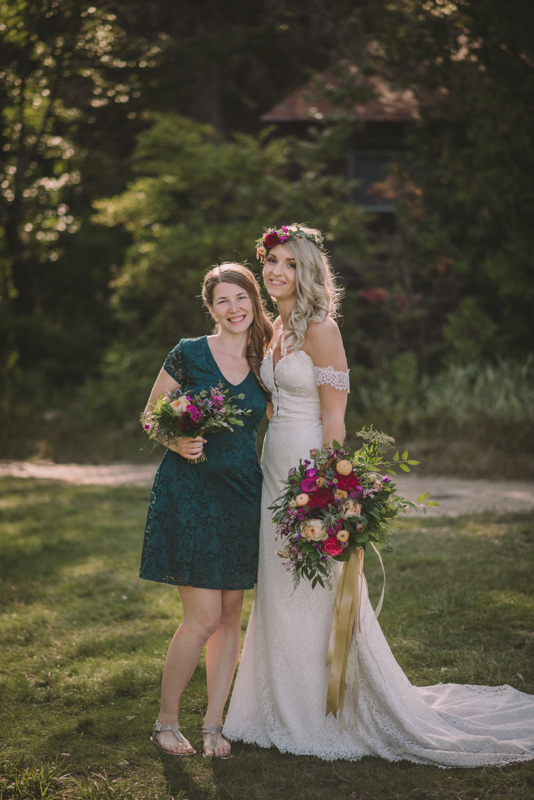 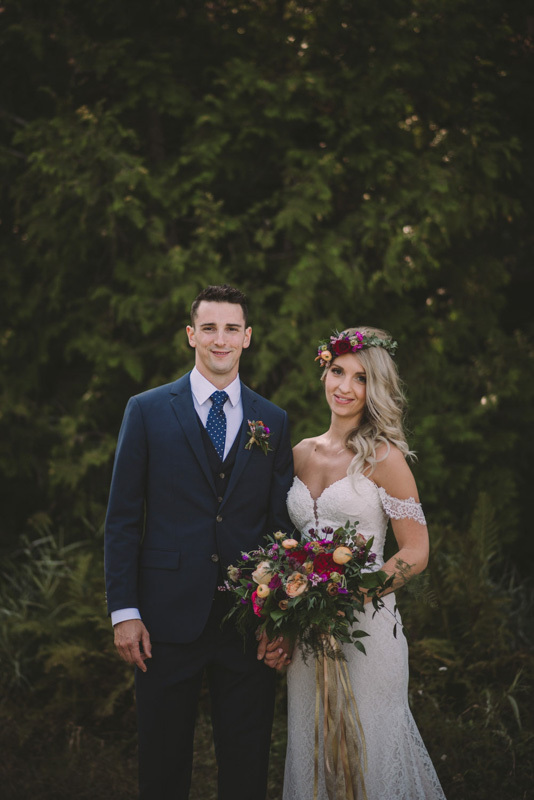 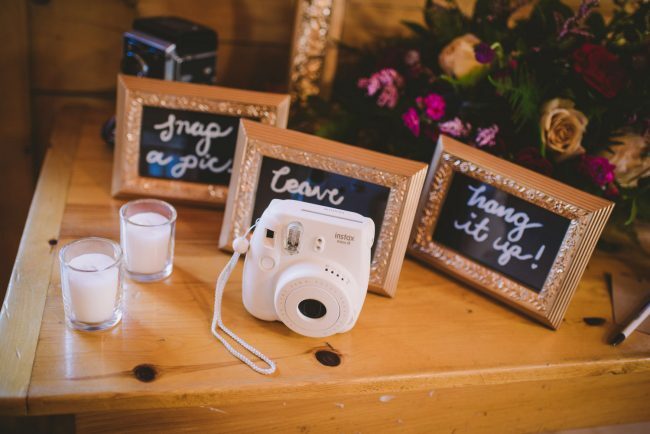 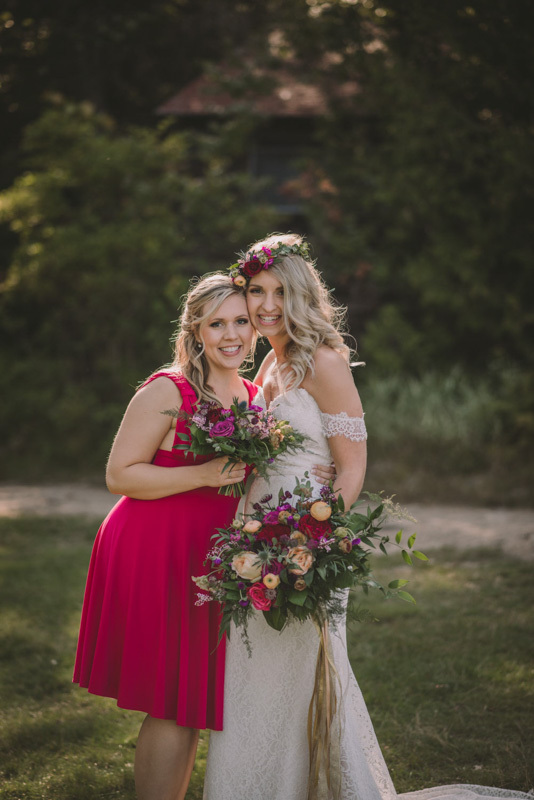 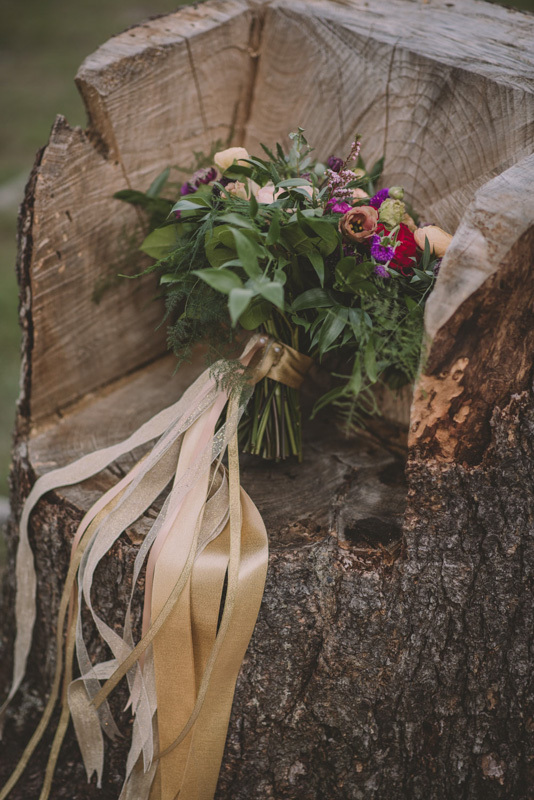 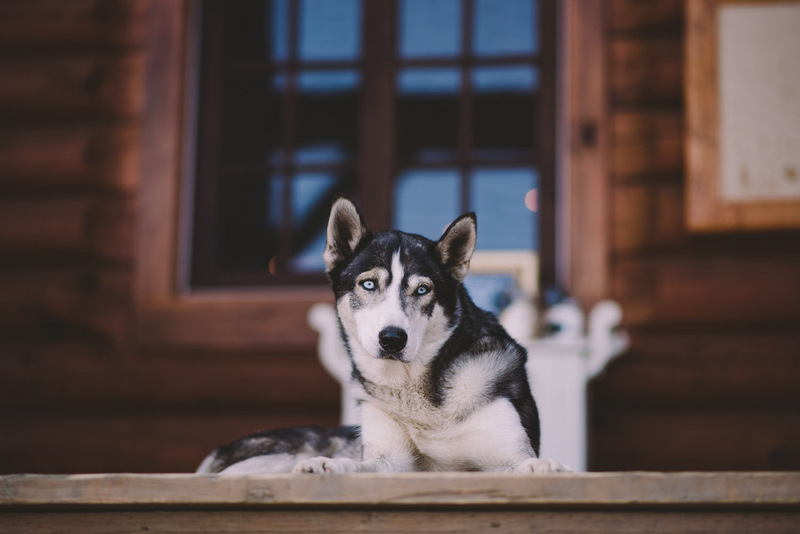 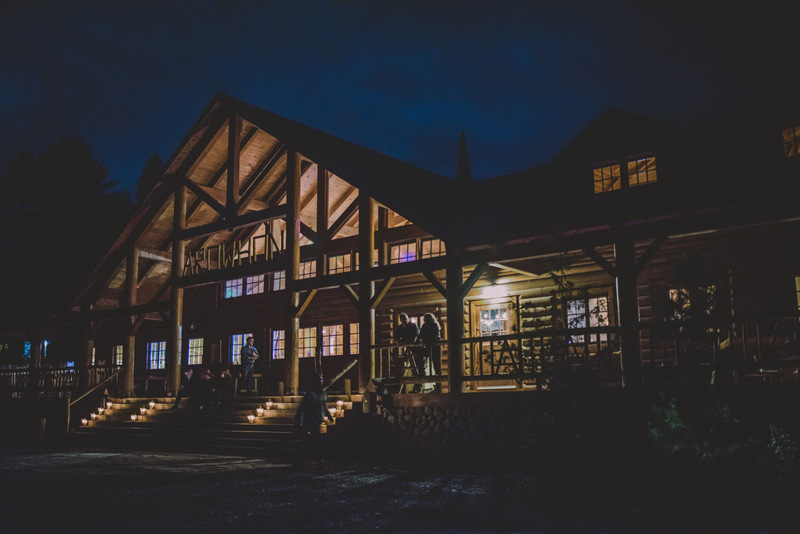 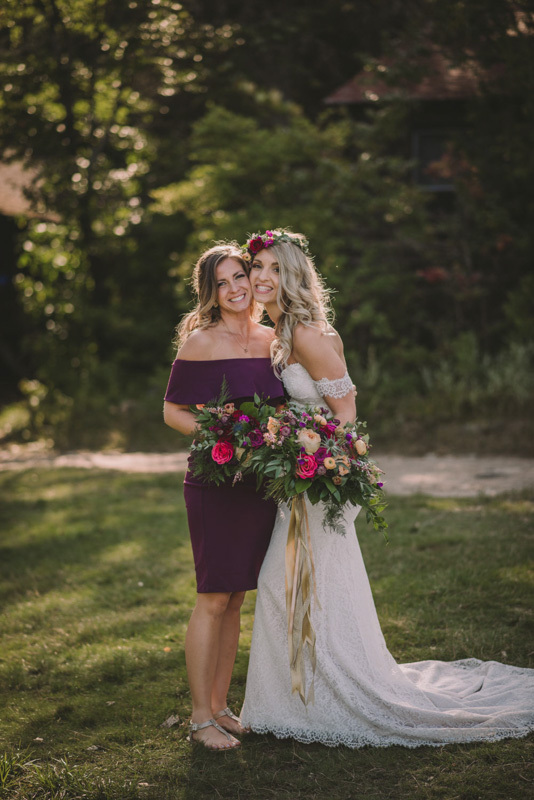 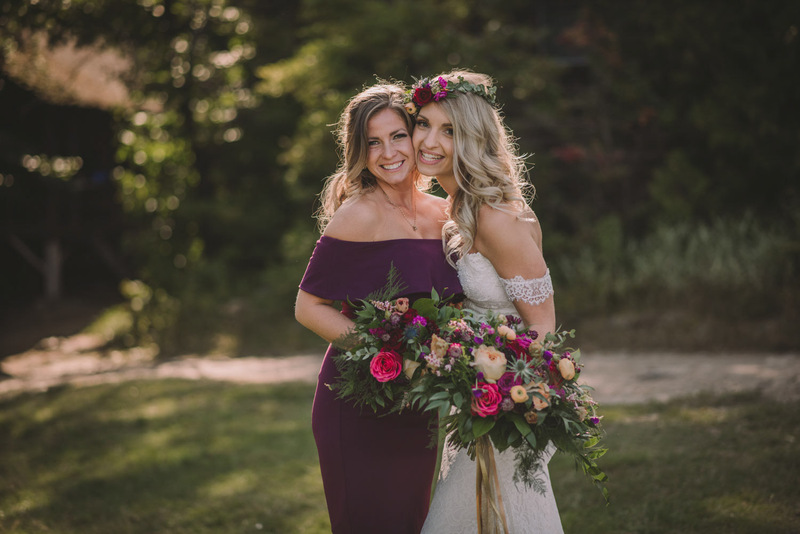 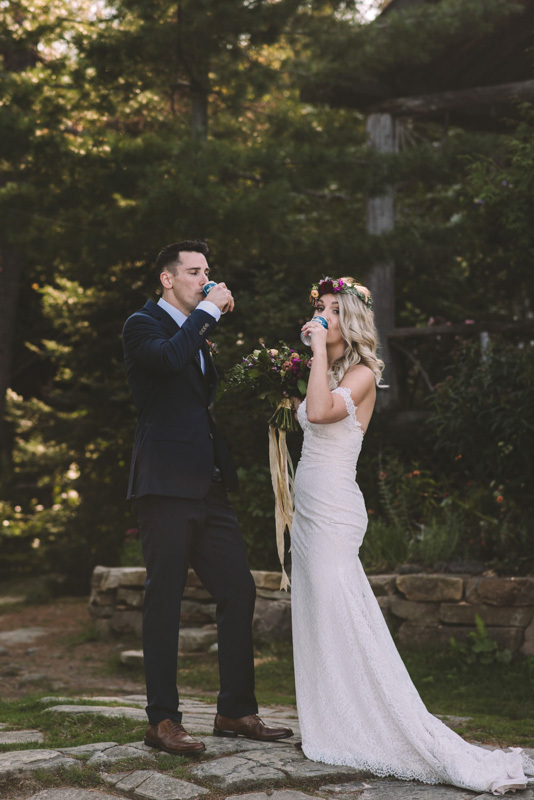 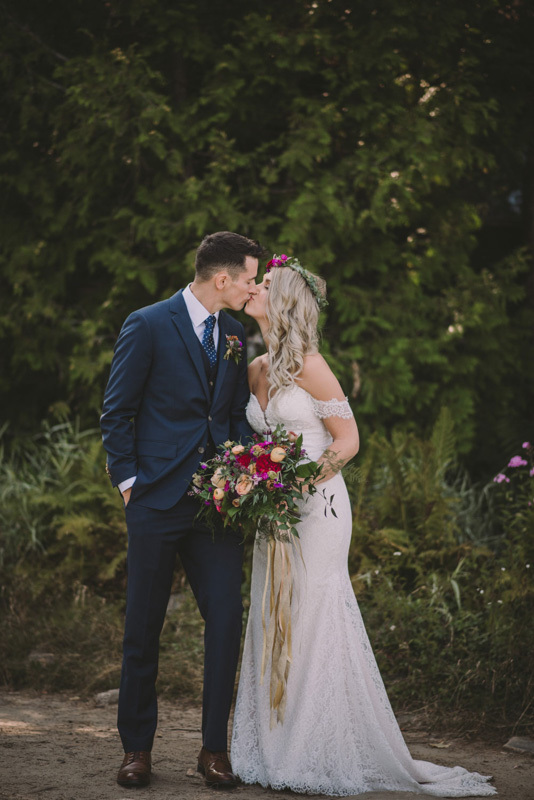 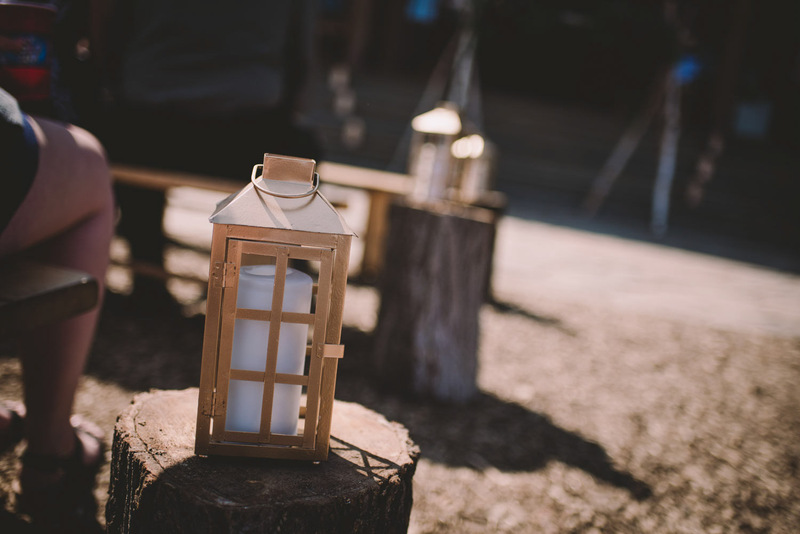 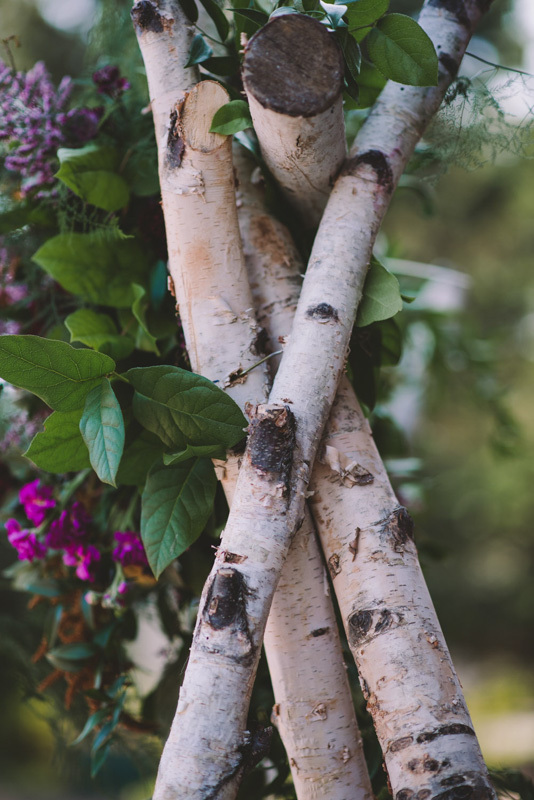 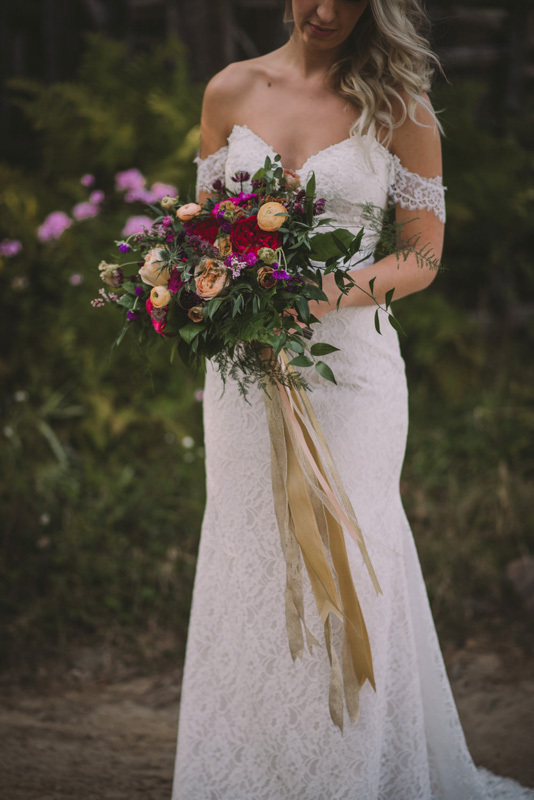 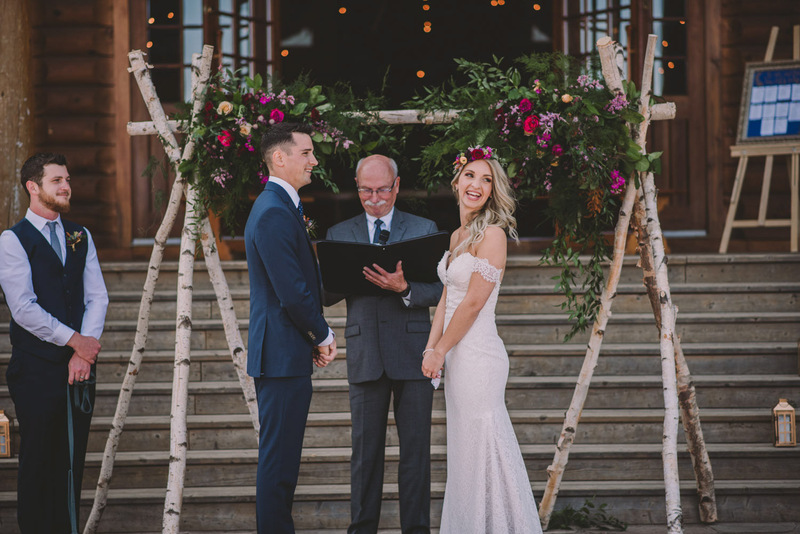 This wedding was truly up my alley – as my love for the outdoors, camping, and photography were merged into one spectacular event! 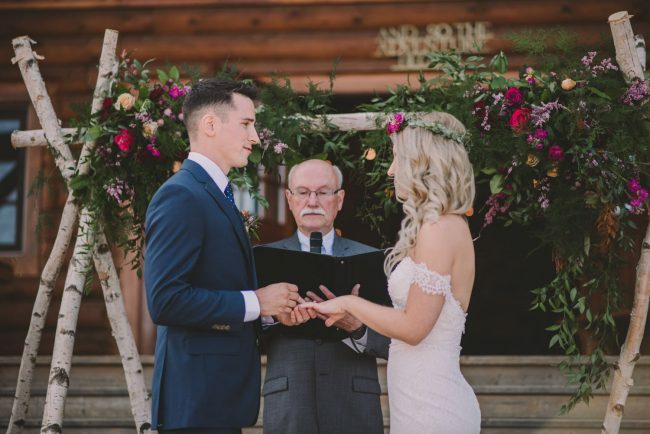 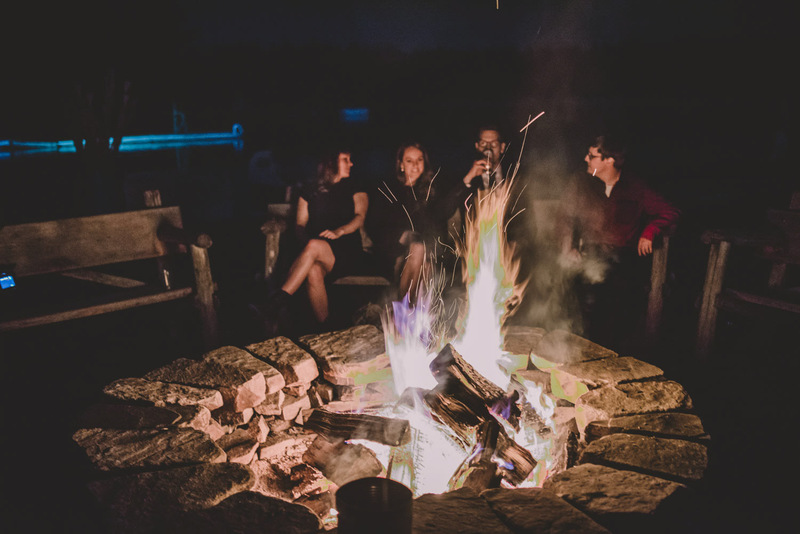 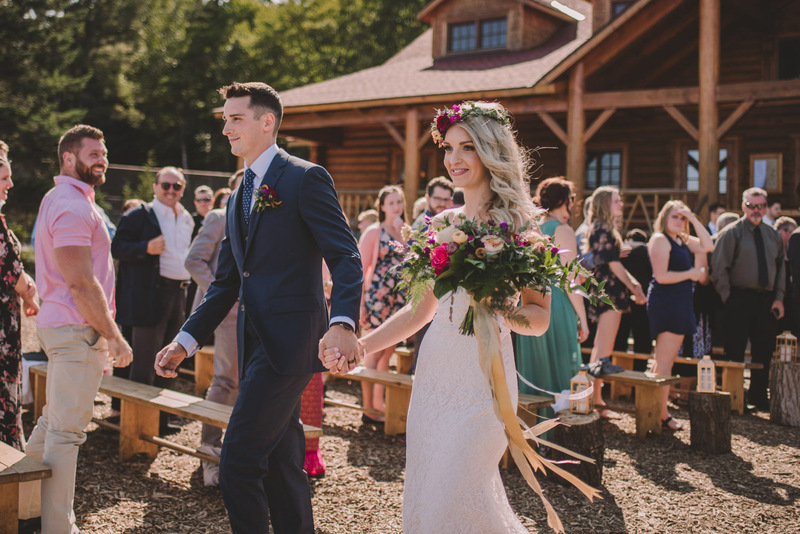 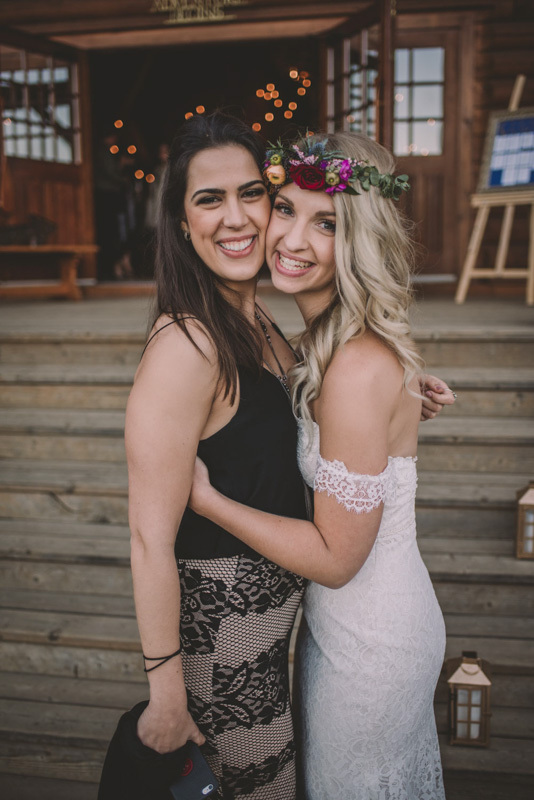 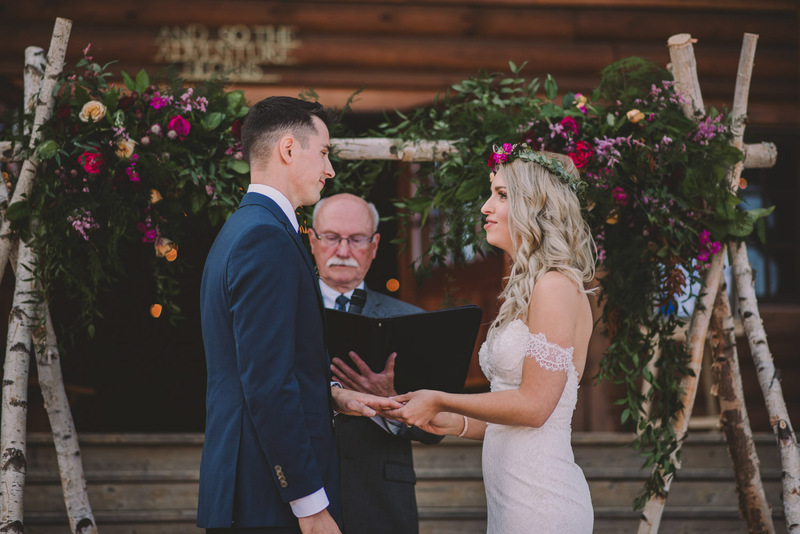 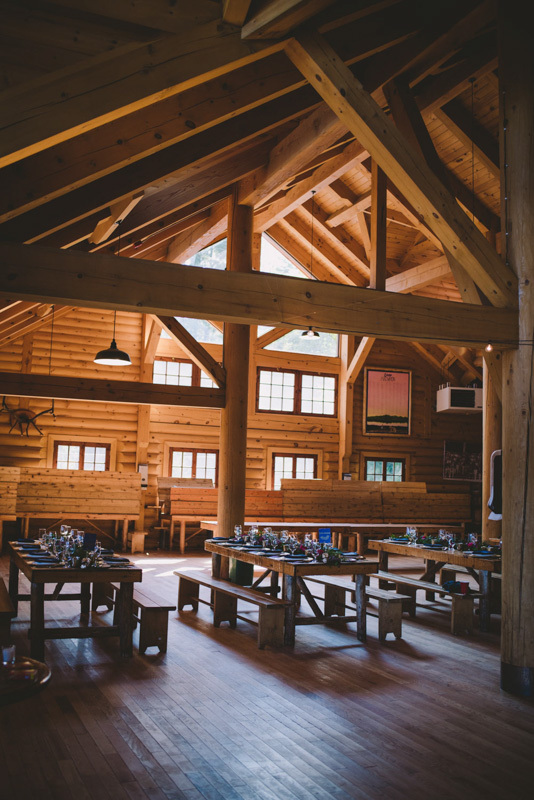 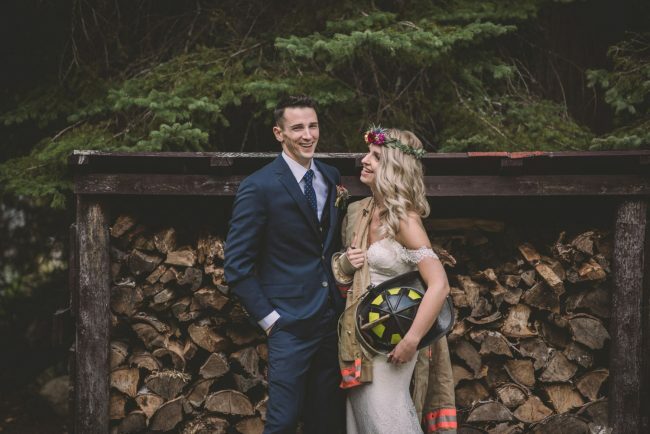 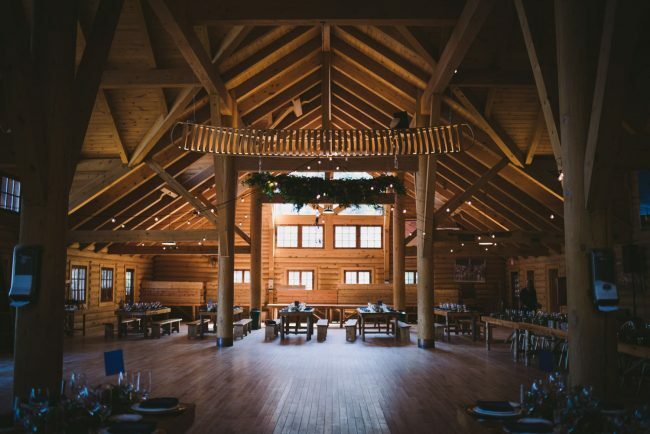 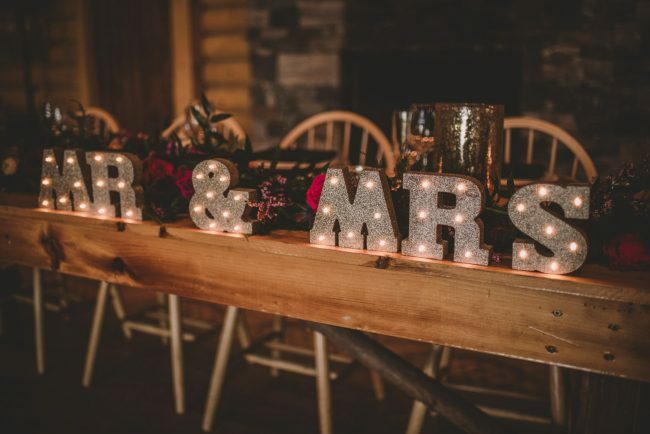 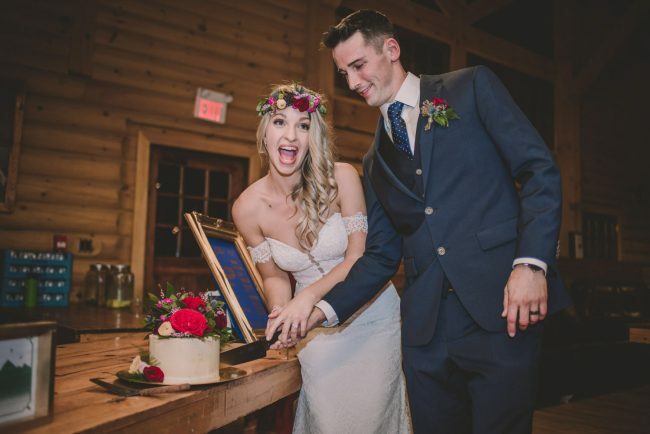 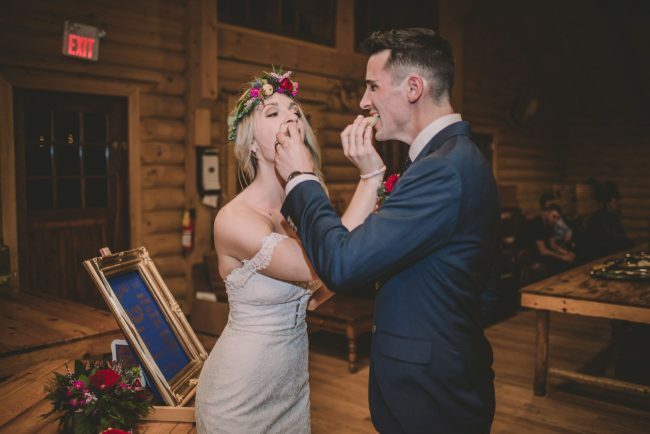 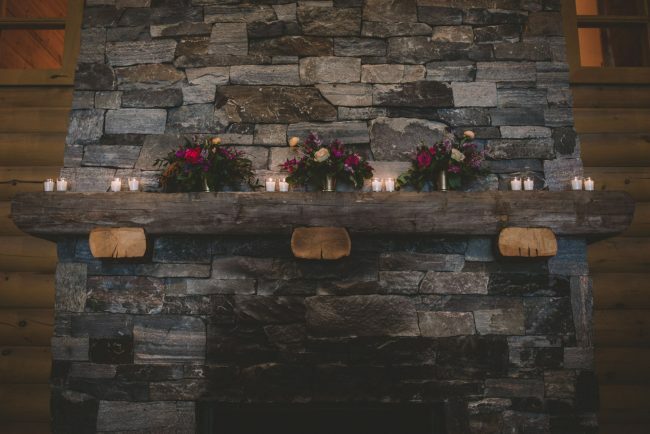 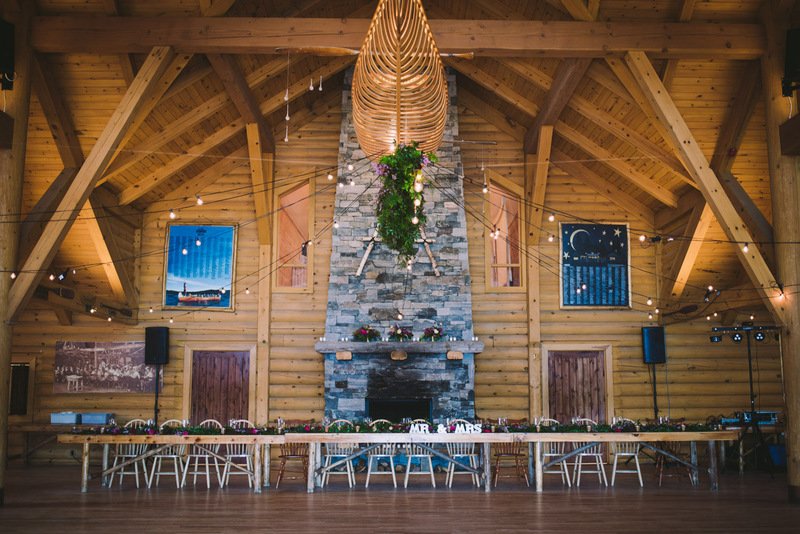 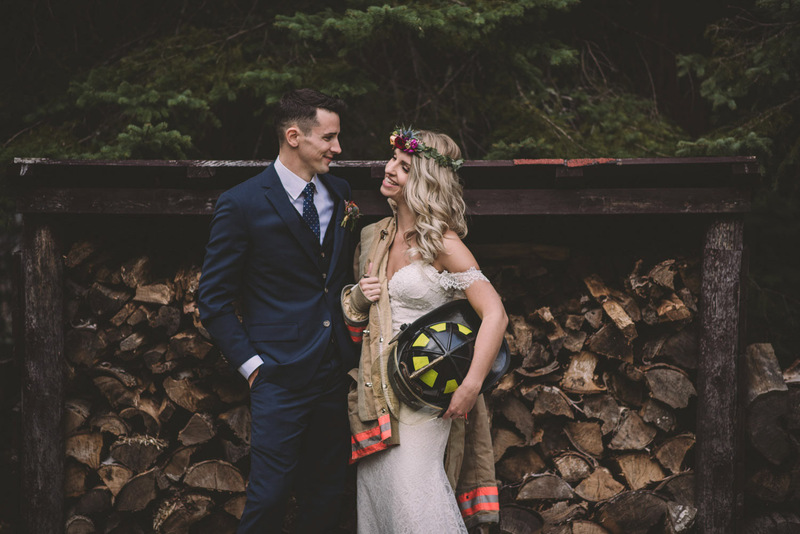 Their beautiful day started with a heart warming ceremony, followed by photography on the lake, a fantastic reception inside the main dining hall at the Camp, and then marshmallows roasted over a campfire! 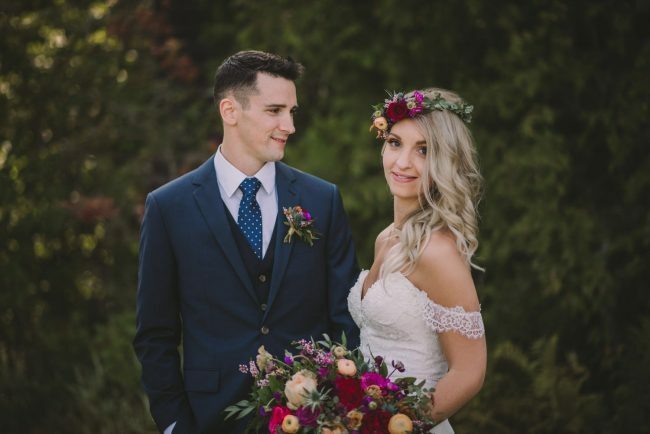 Wishing you both nothing but the best!